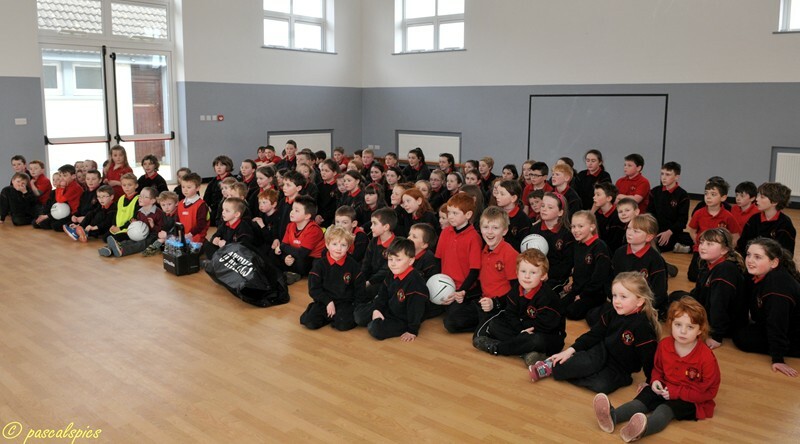 Scoil Mhuire, Carlanstown began its involvement with the Meath primary schools GAA board Cumann na mBunscol competitions with the arrival of Tony Kearney as the new headmaster of the school in 1985, Tony is a passionate man about the GAA and is also passionate about what the GAA means to local communities and to the Irish culture in general. 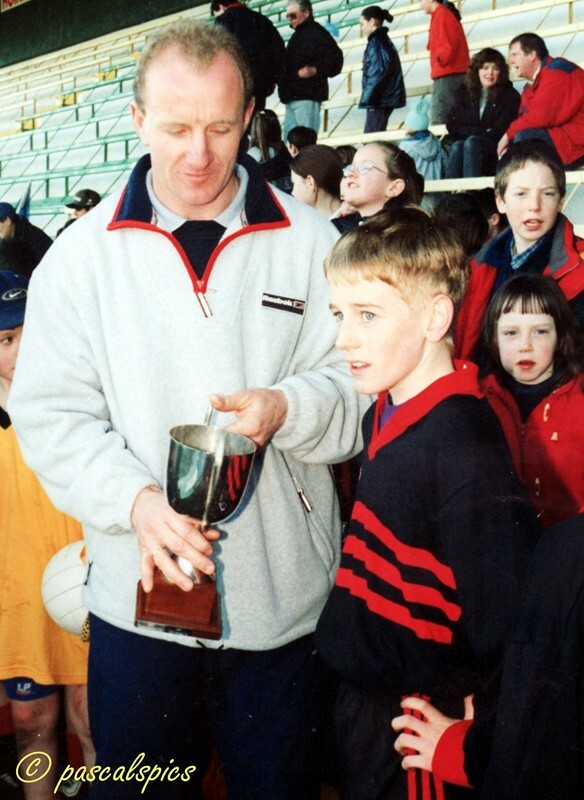 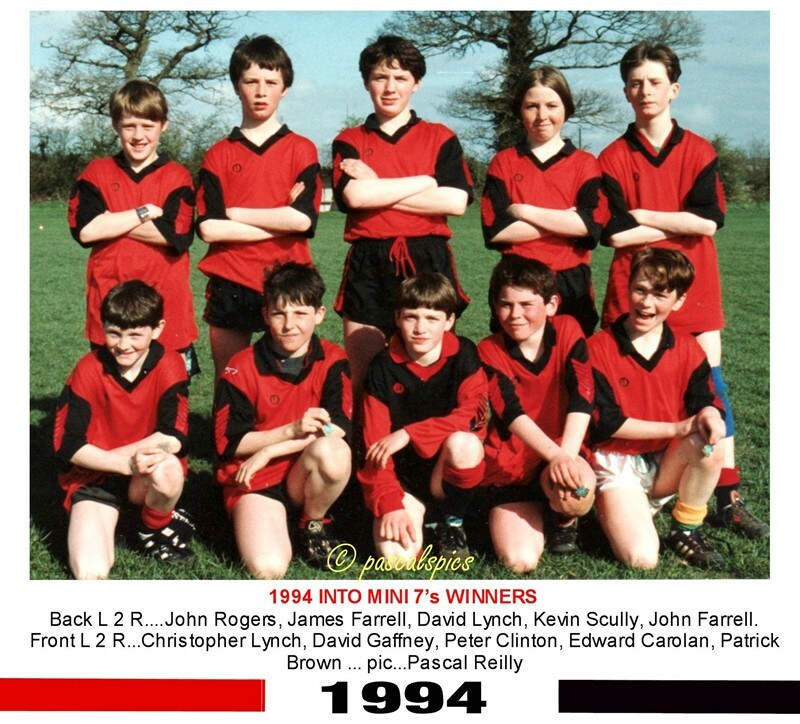 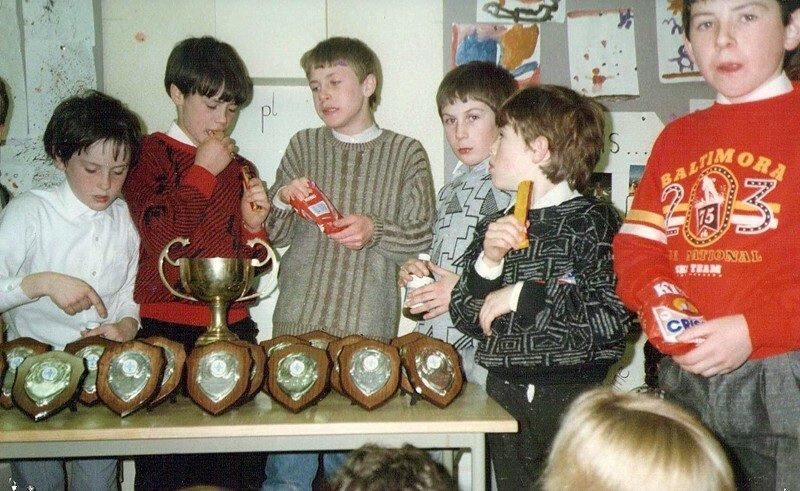 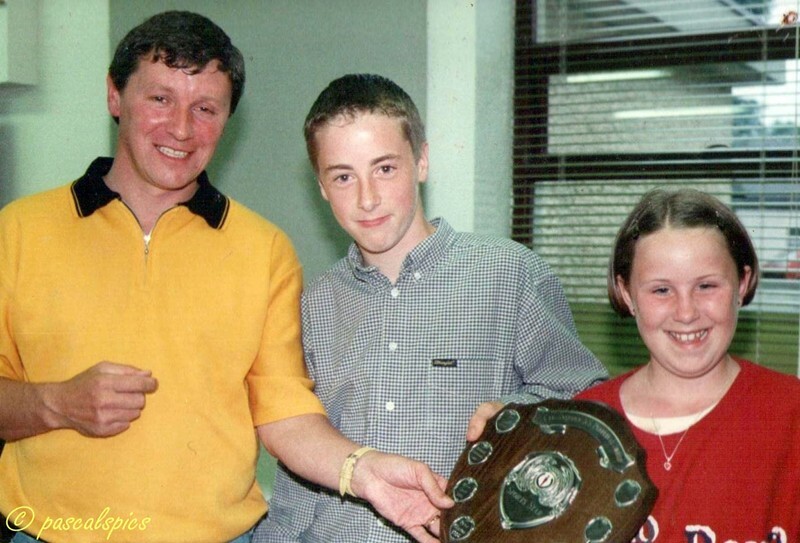 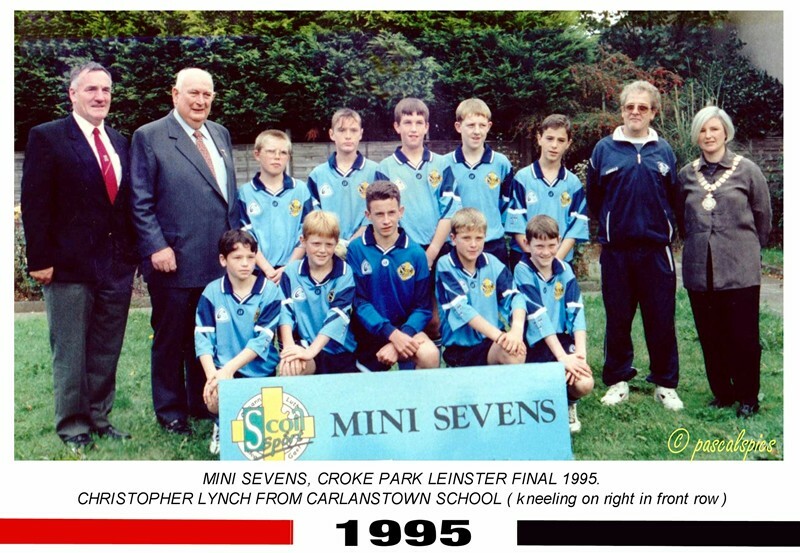 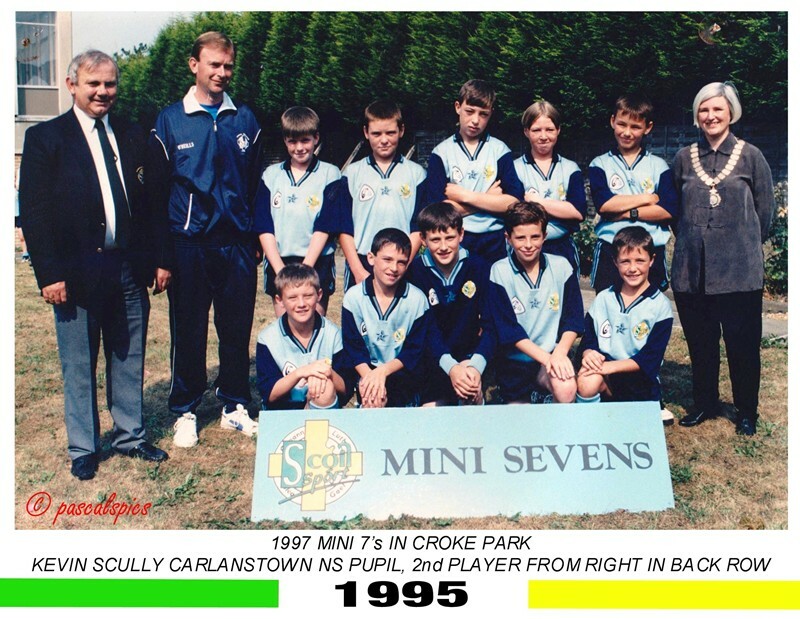 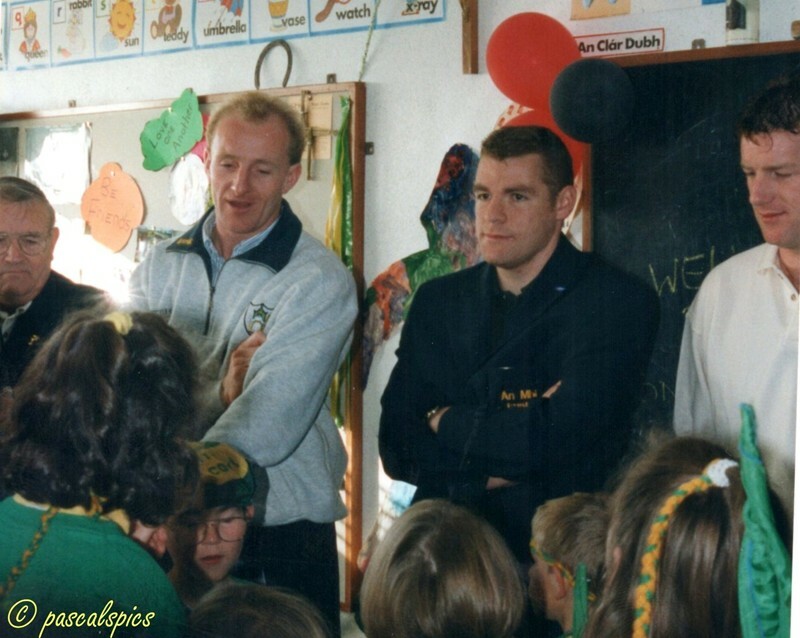 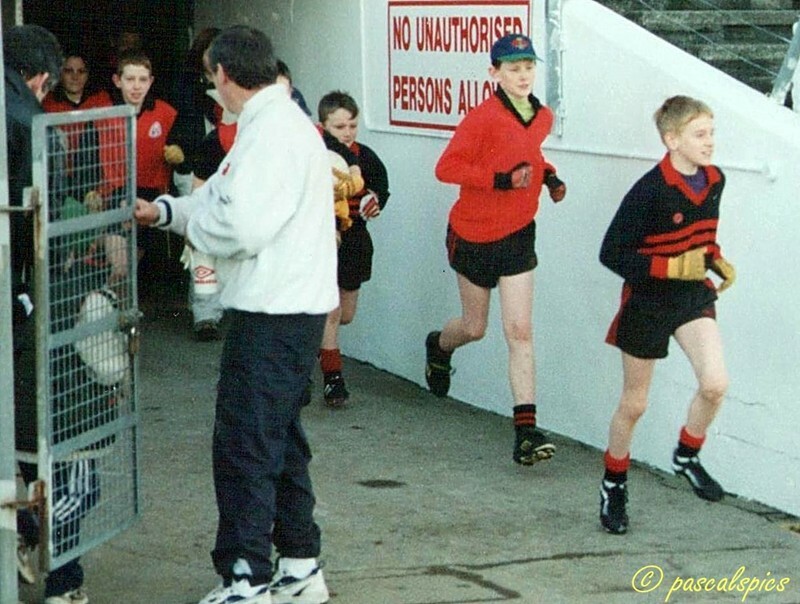 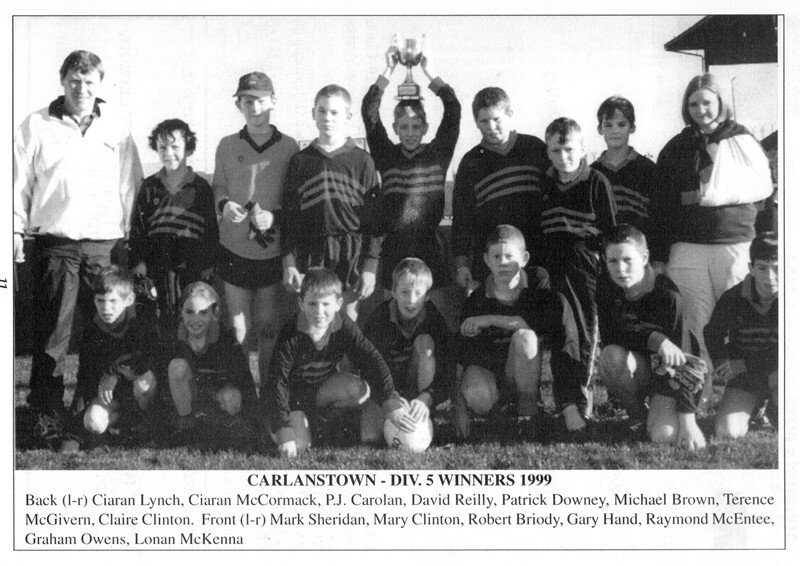 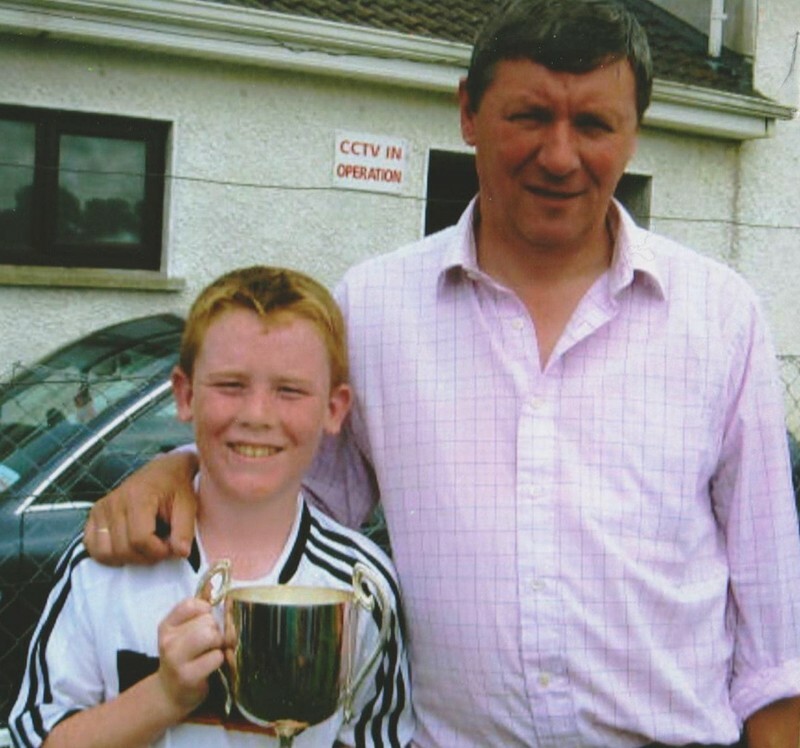 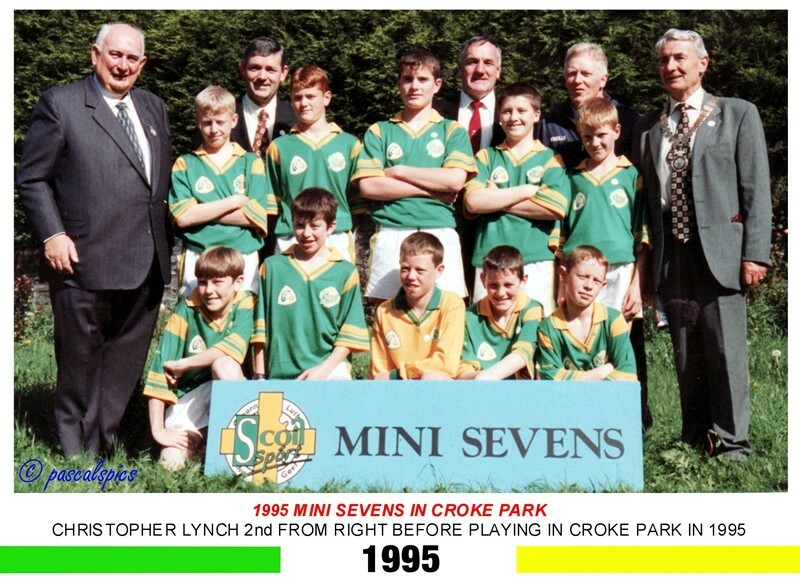 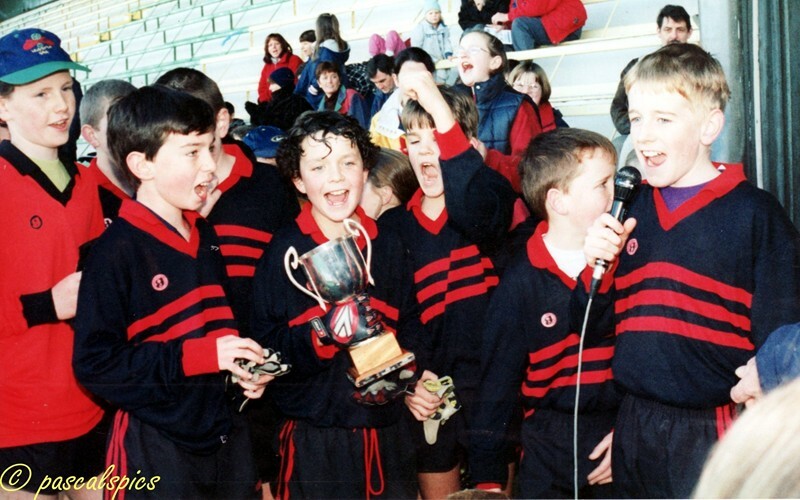 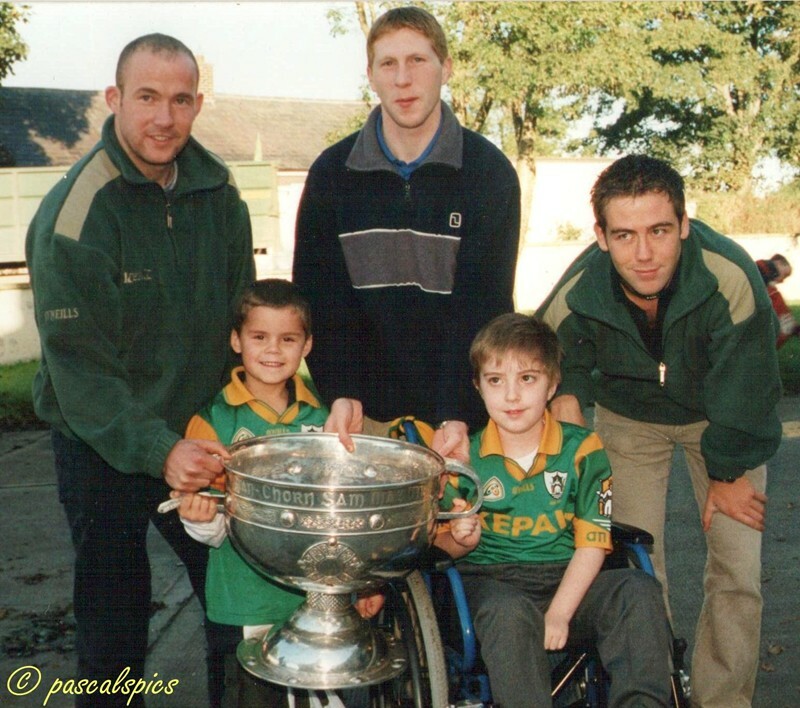 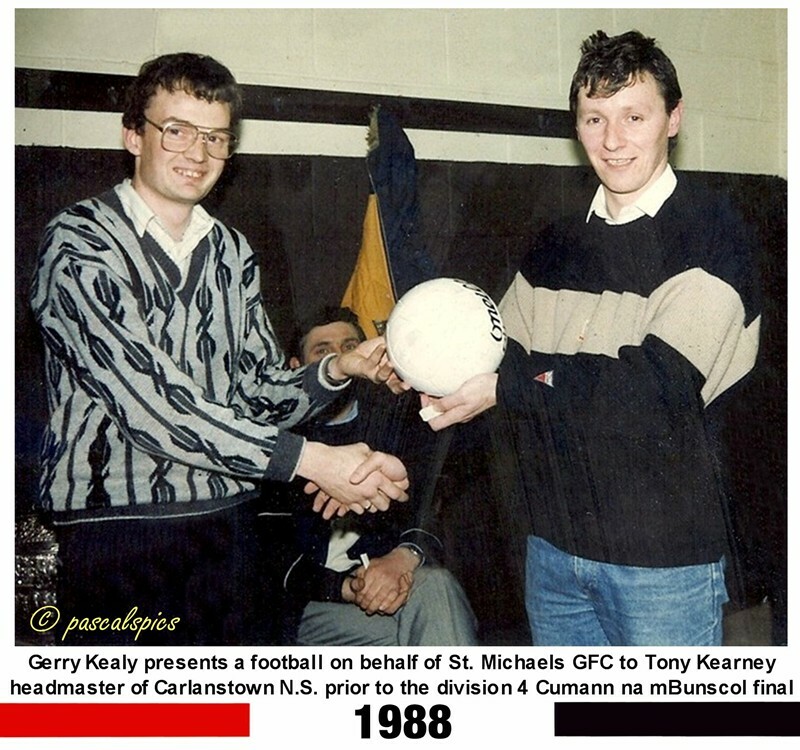 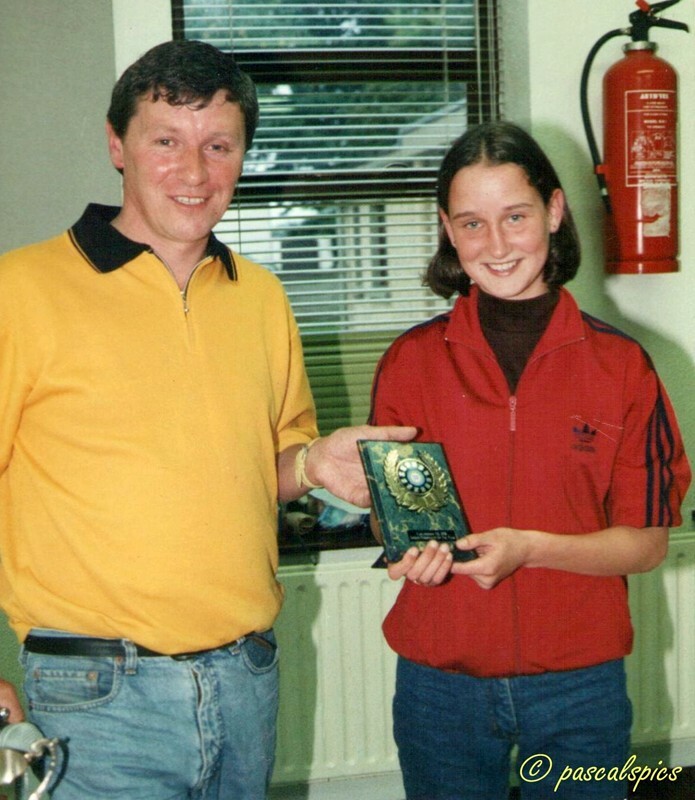 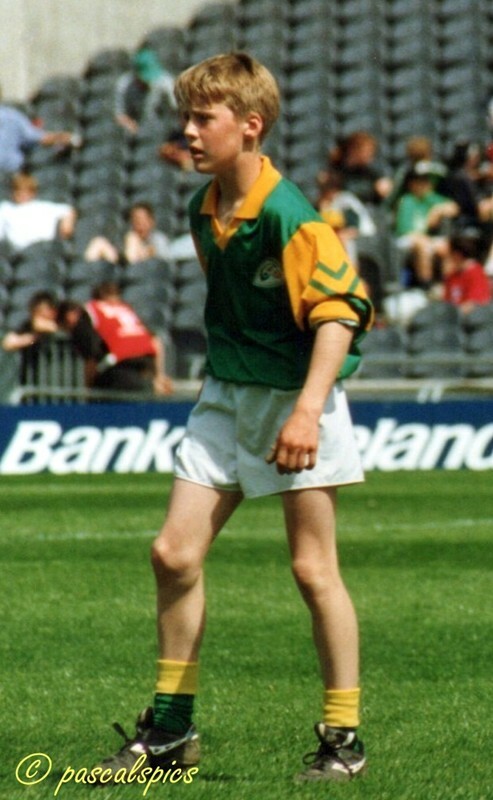 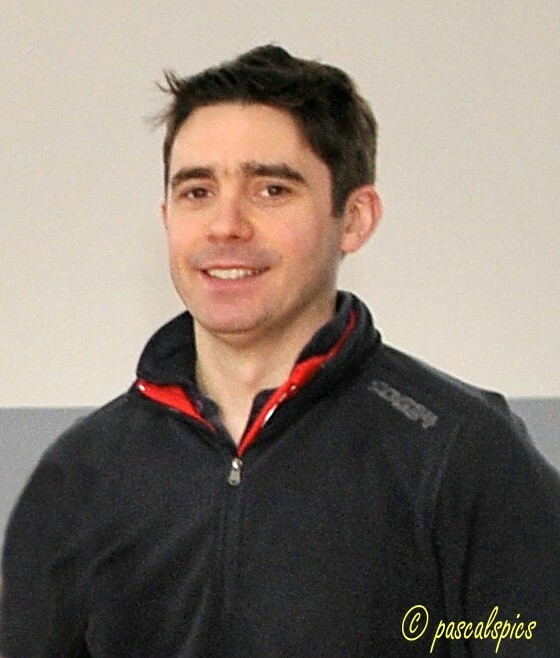 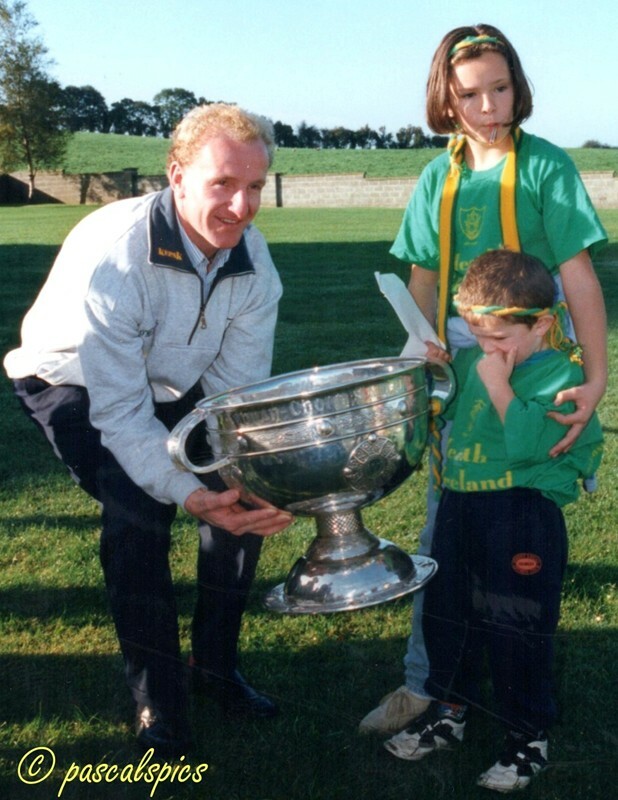 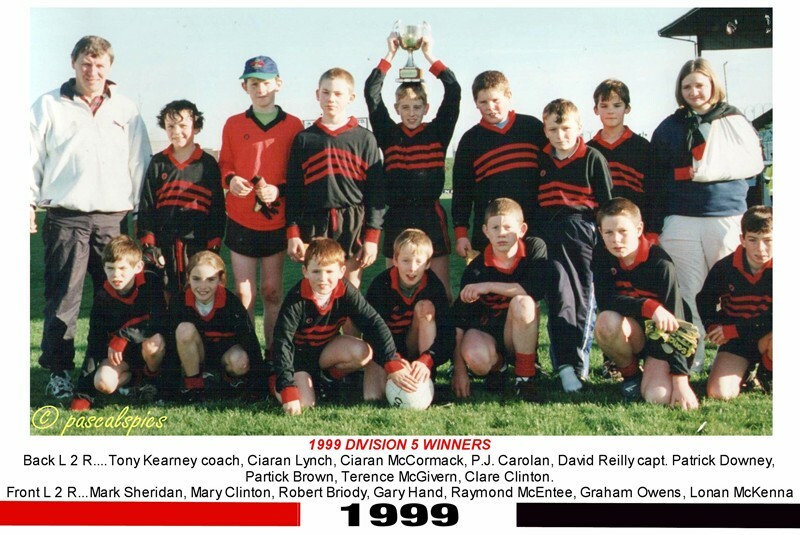 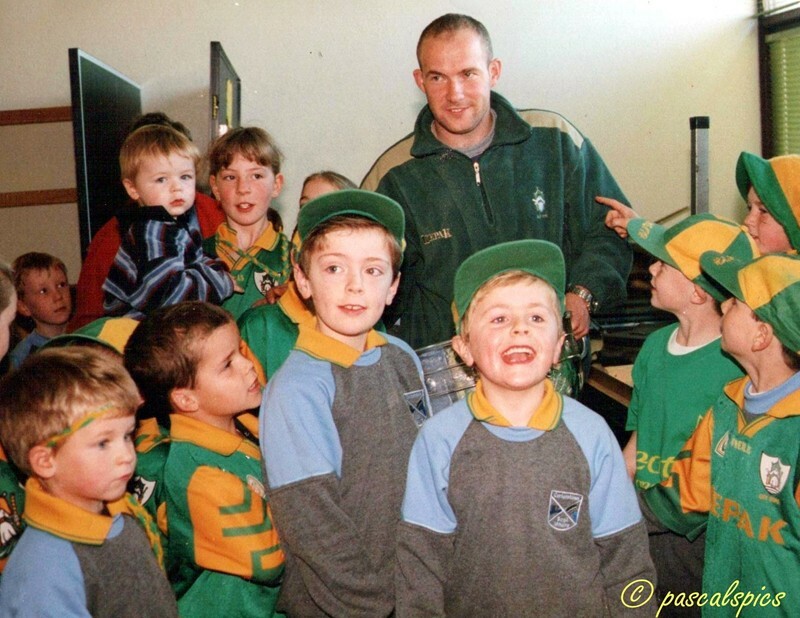 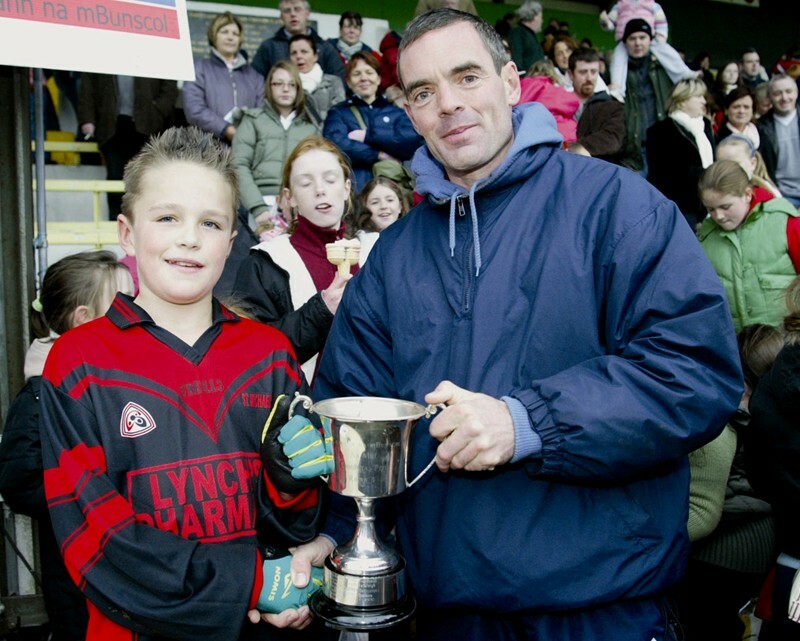 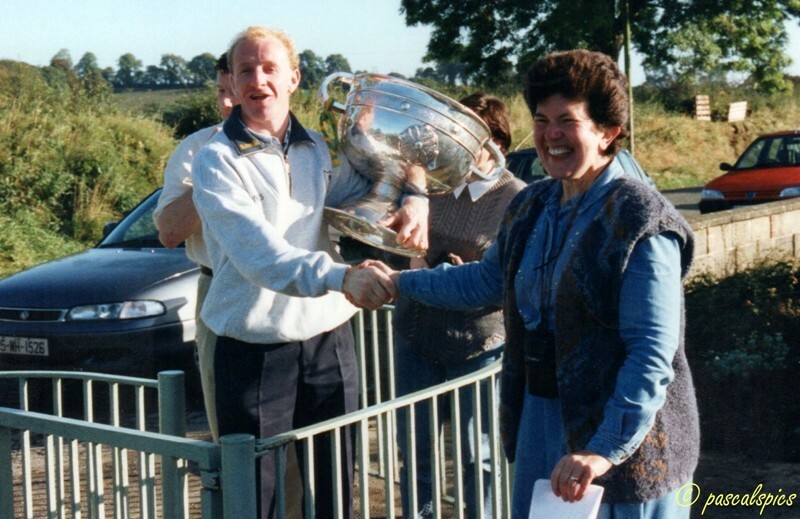 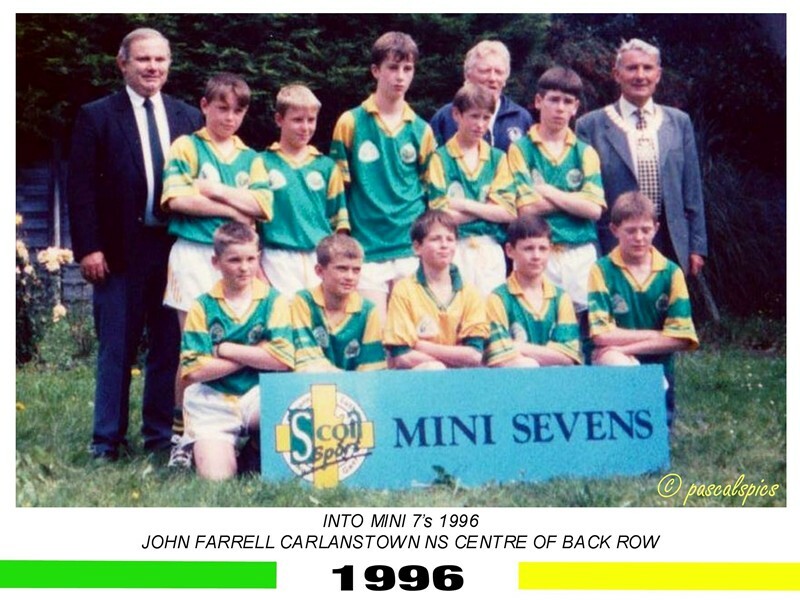 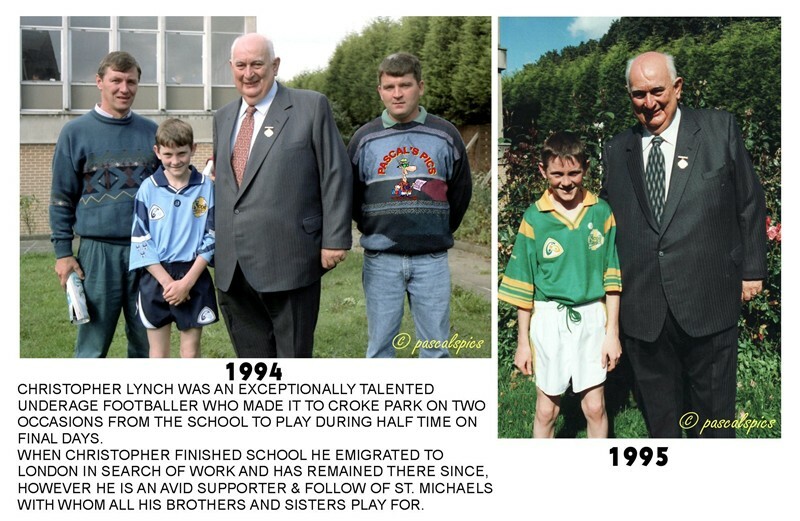 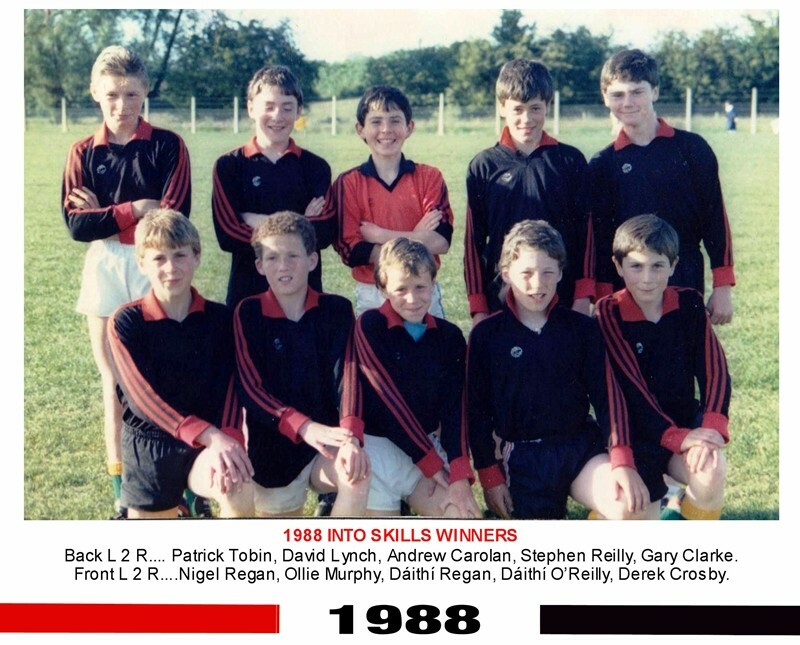 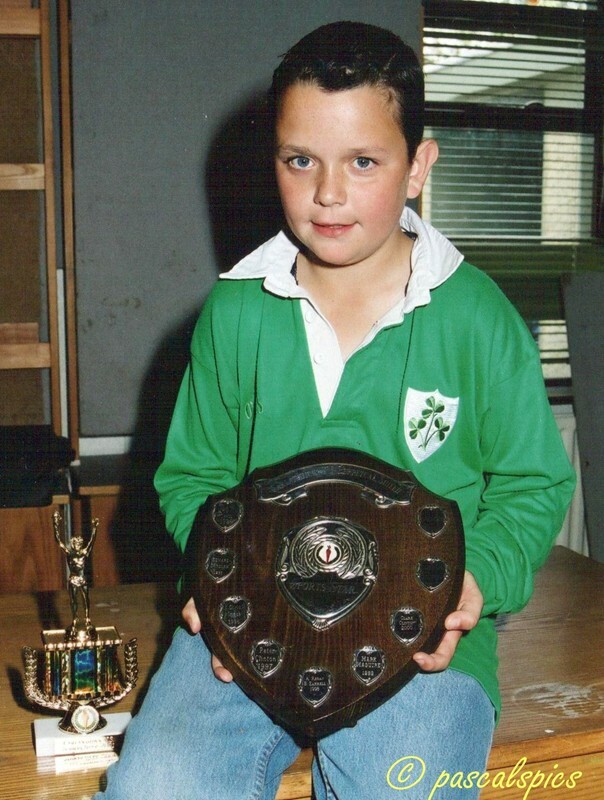 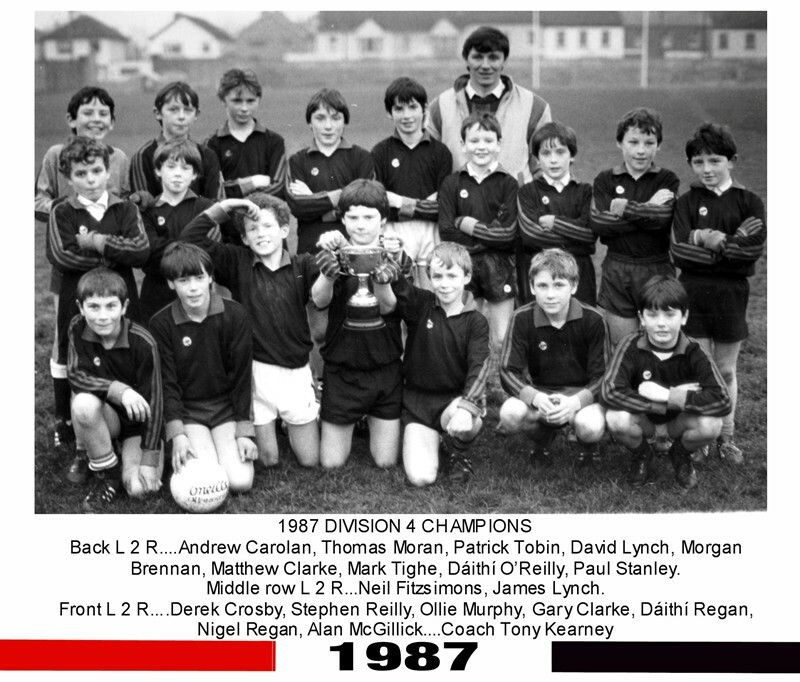 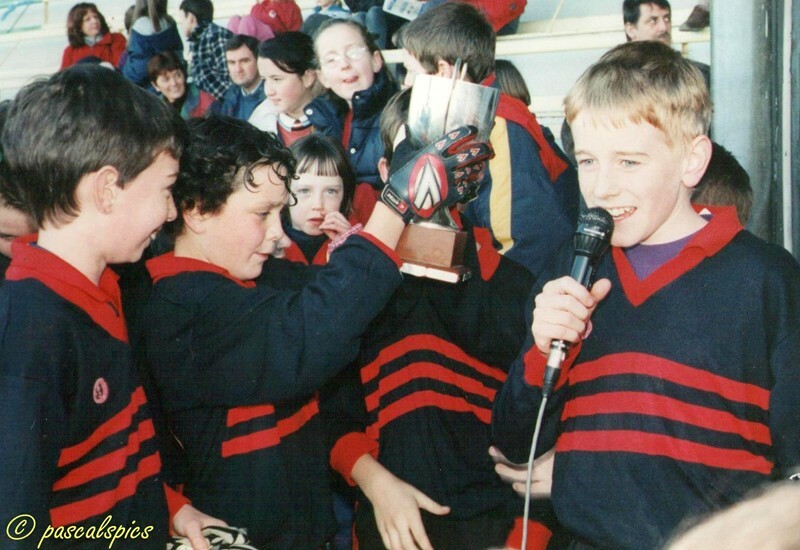 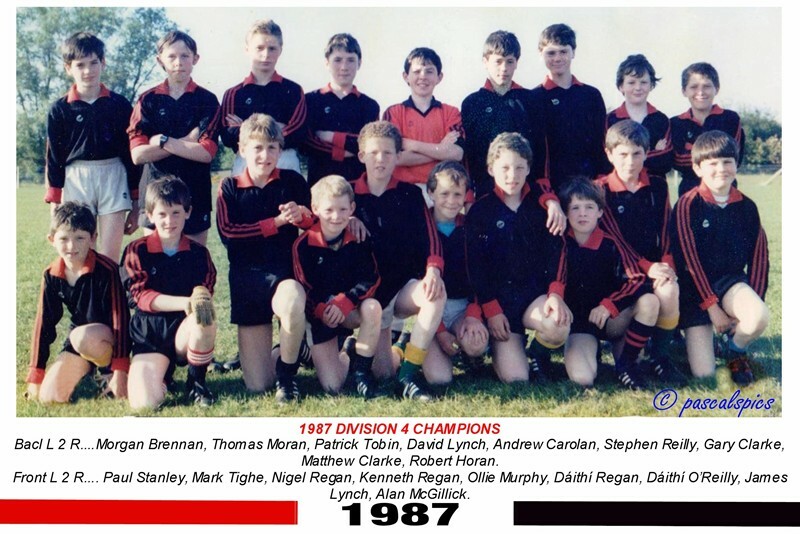 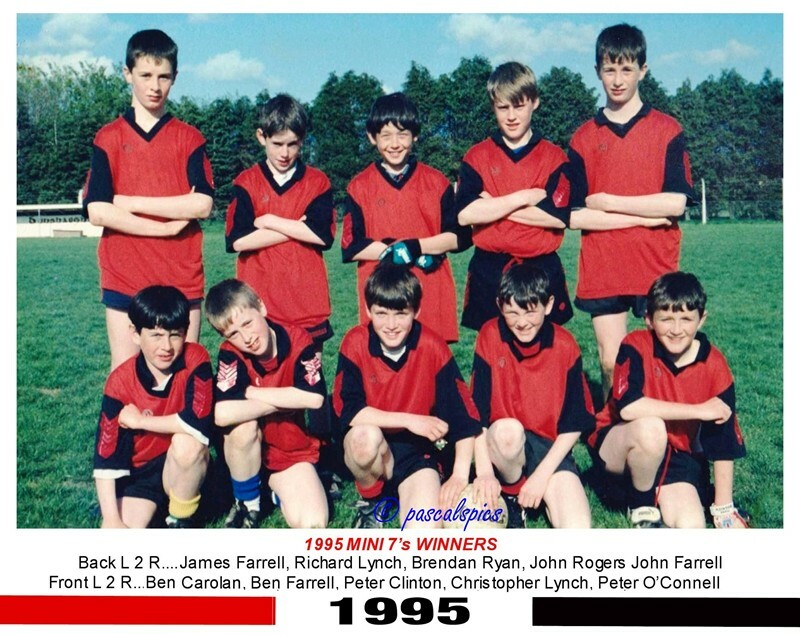 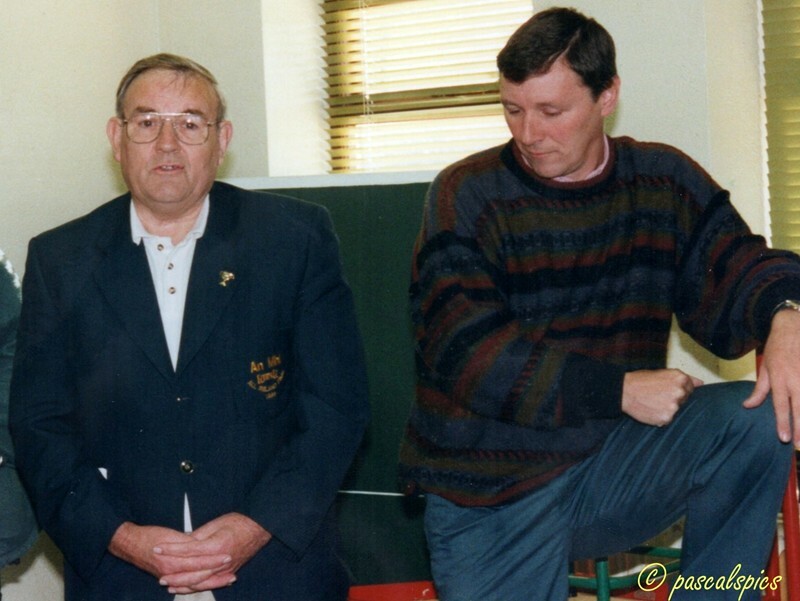 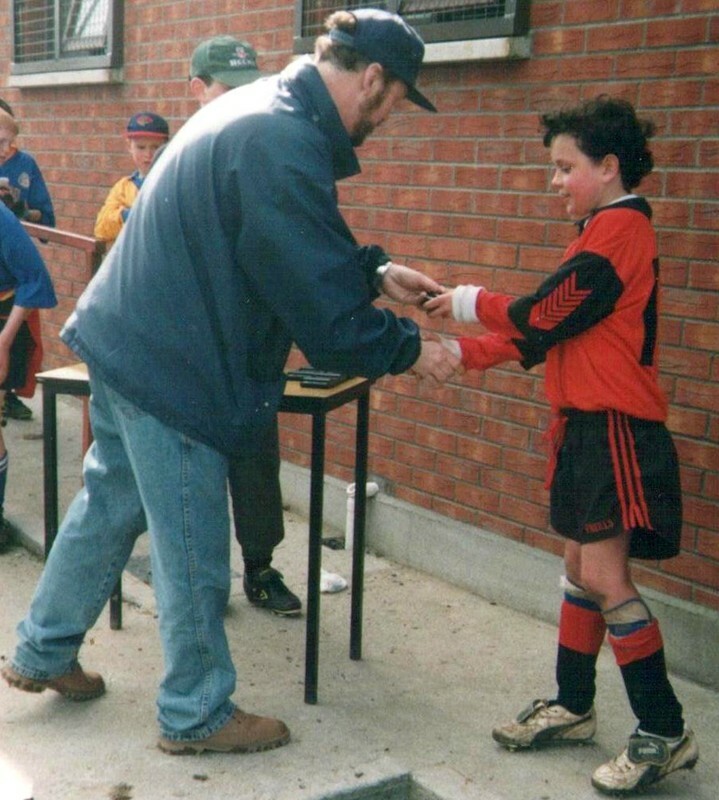 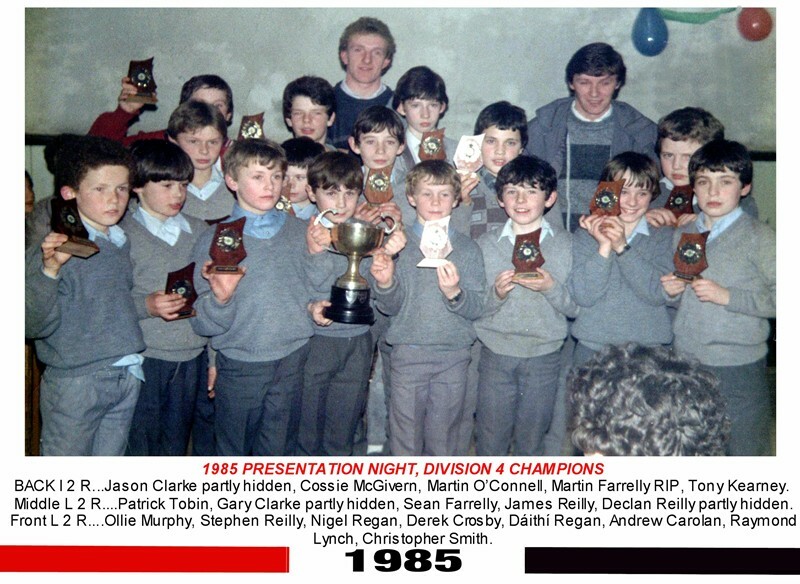 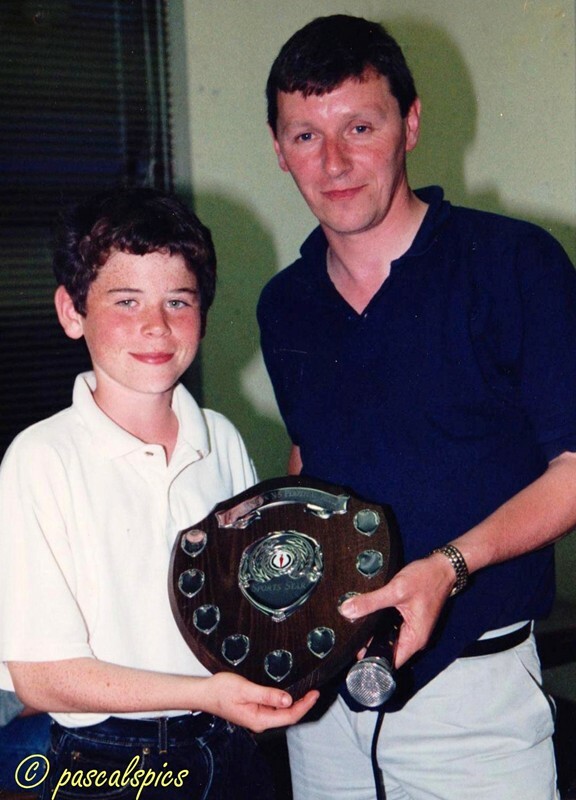 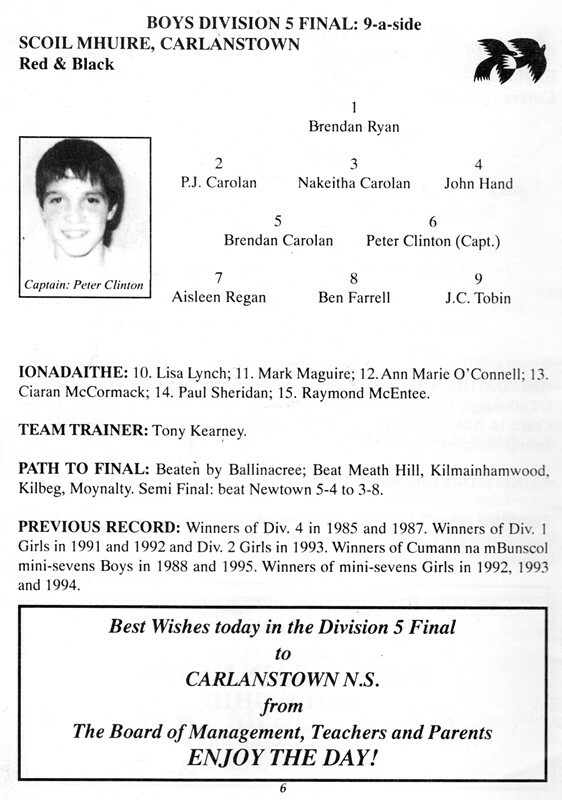 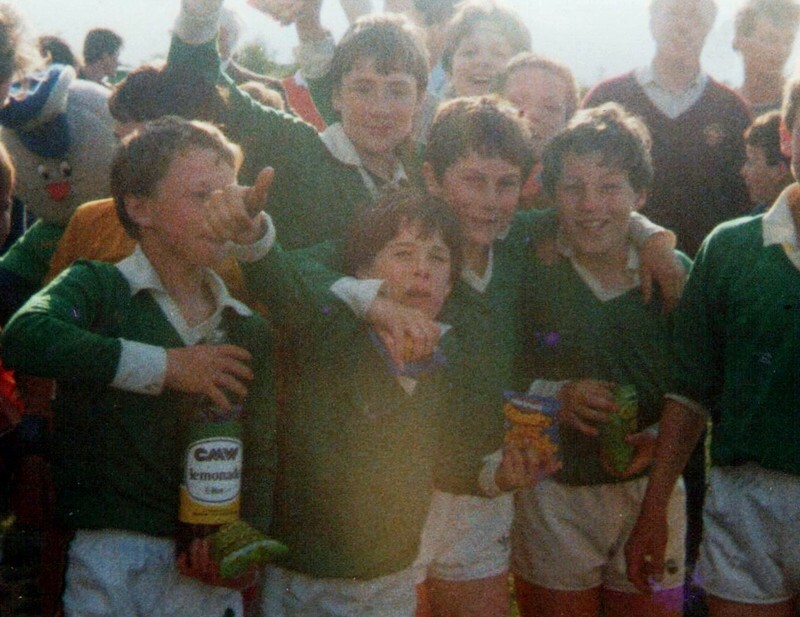 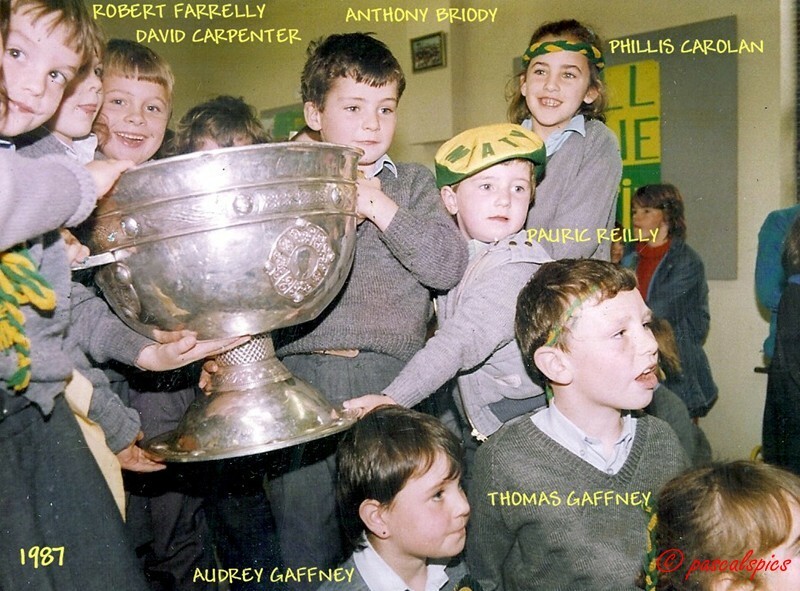 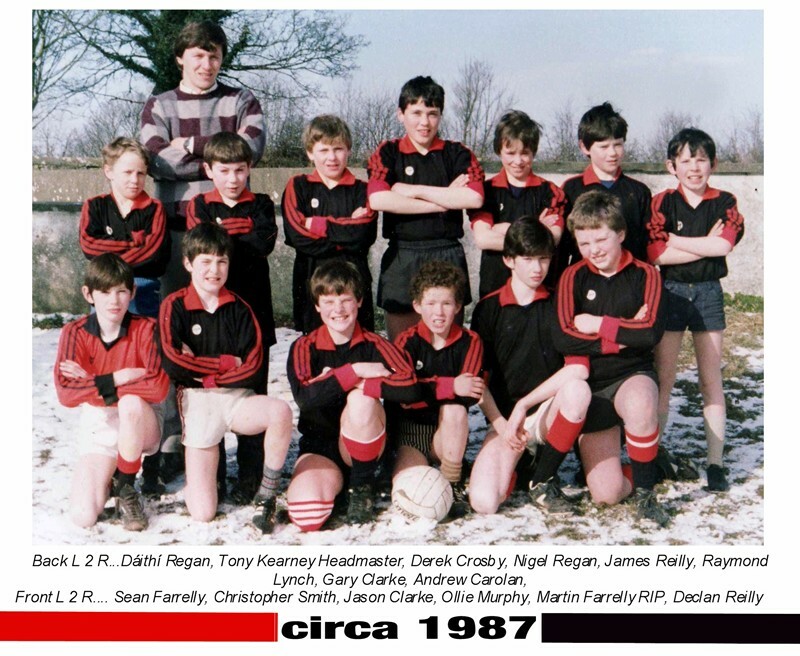 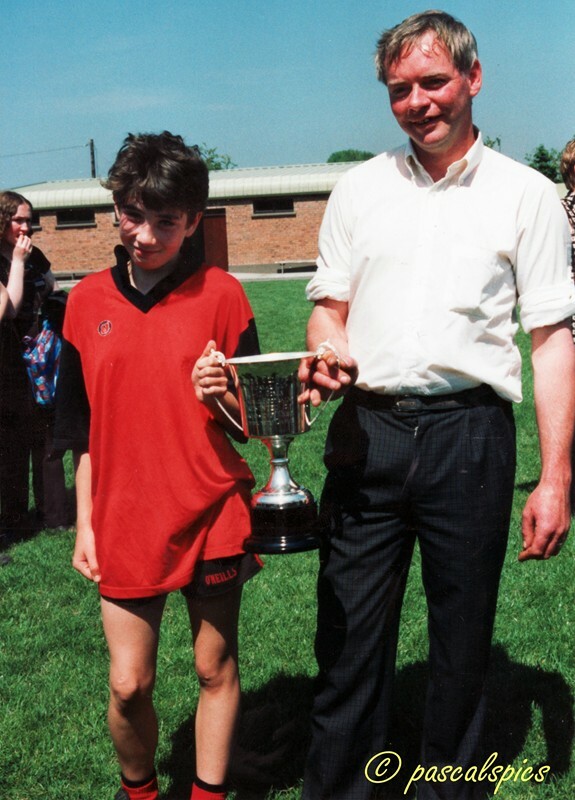 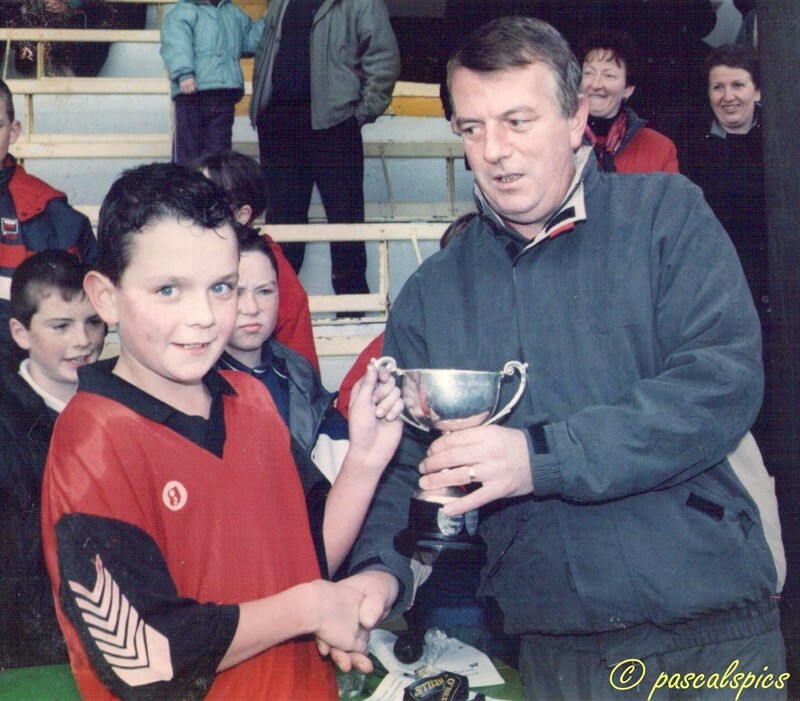 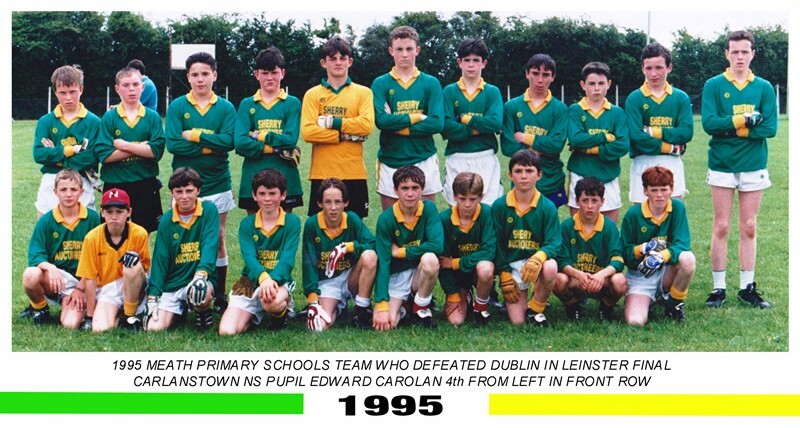 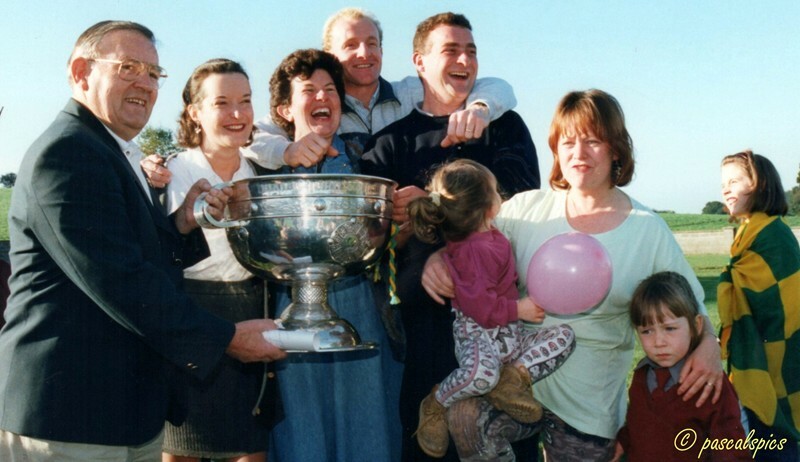 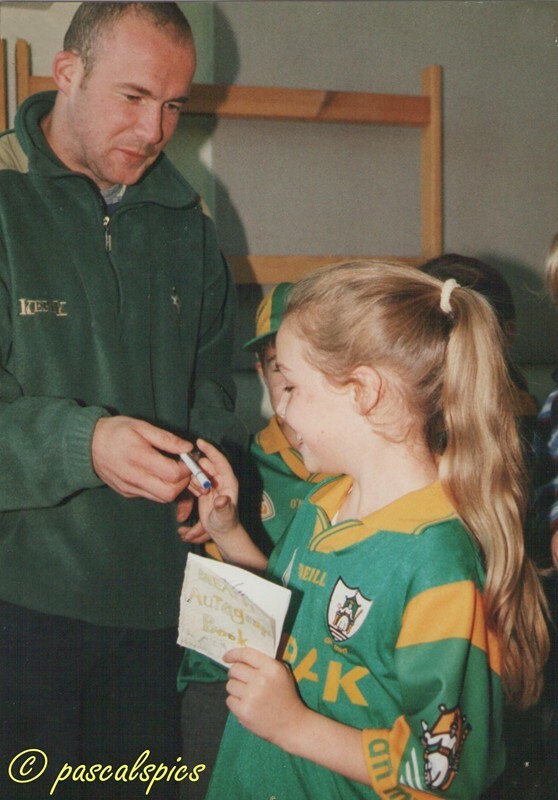 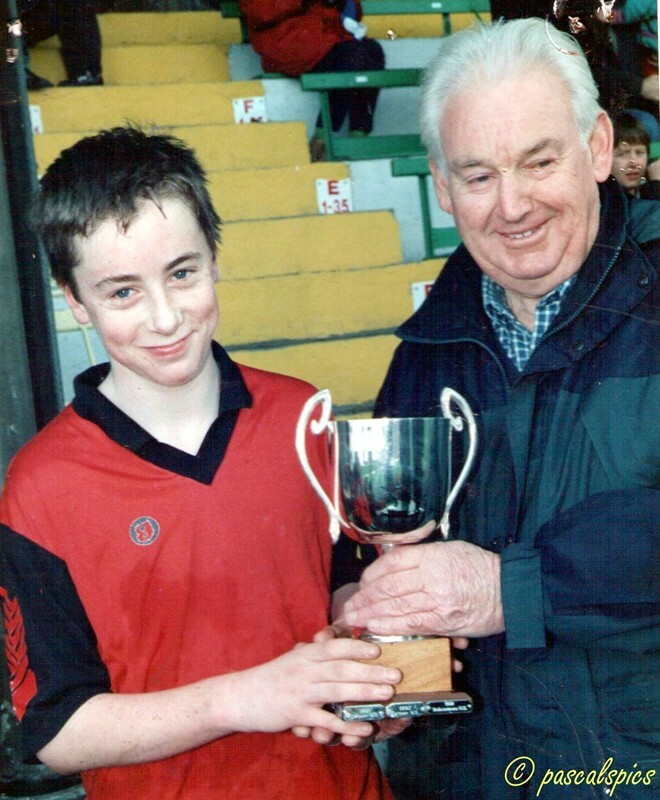 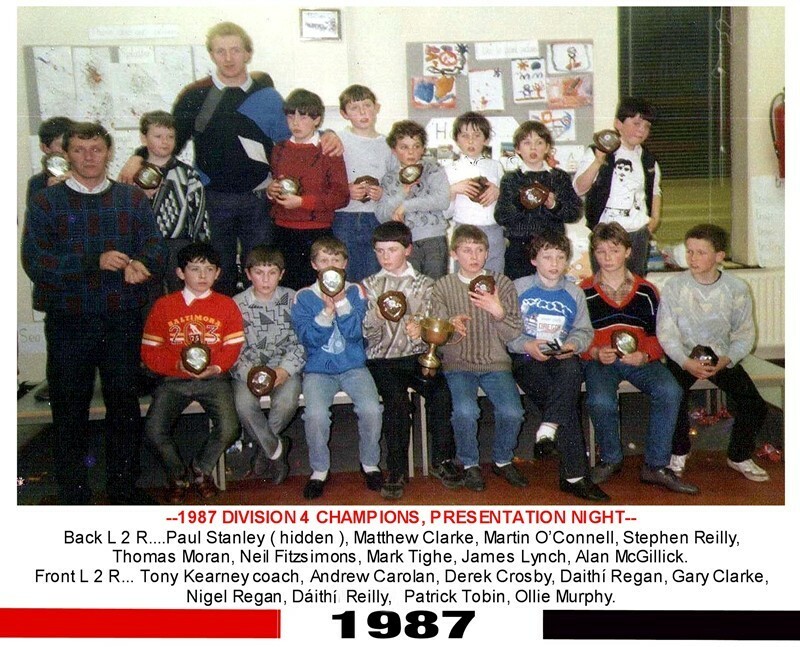 He has won many honours in coaching club teams to county, Leinster and All Ireland honours in different counties and it all began in his first year in the school when they won their first title, the division 4 competition in 1985. 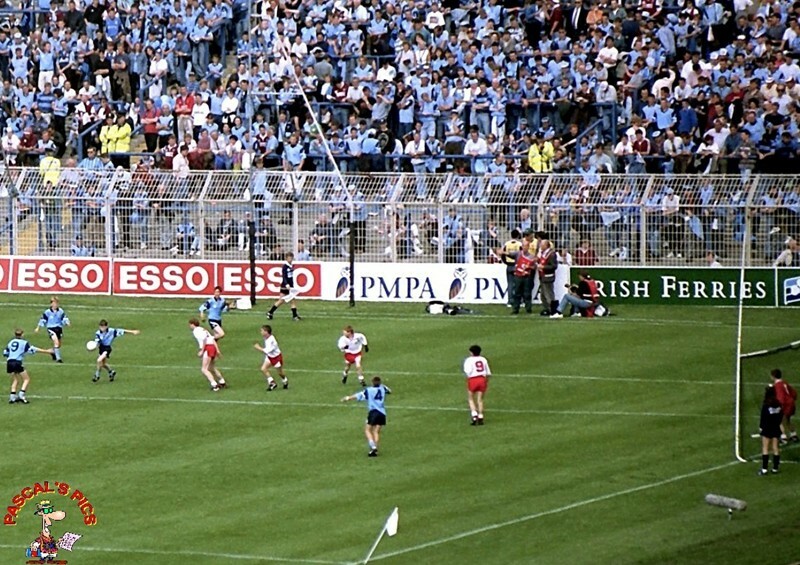 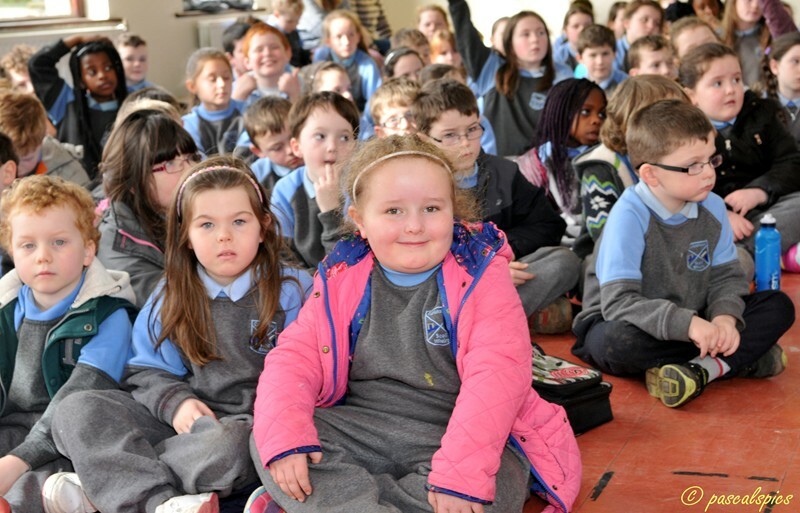 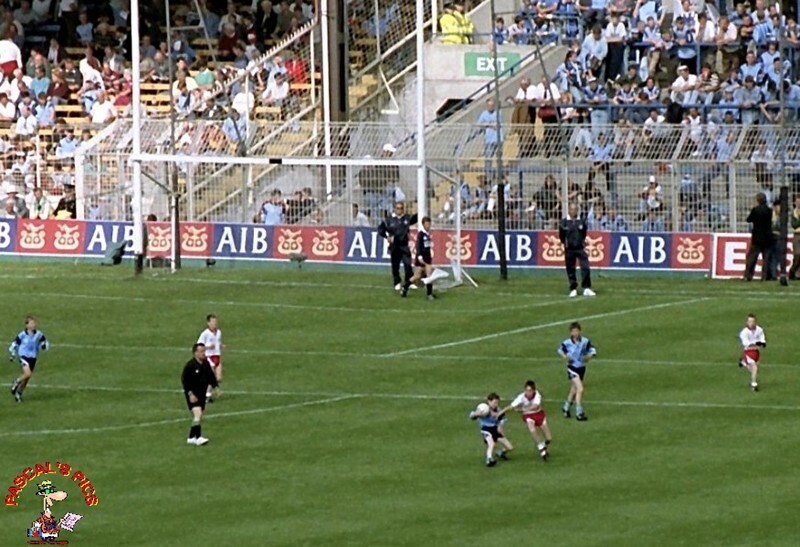 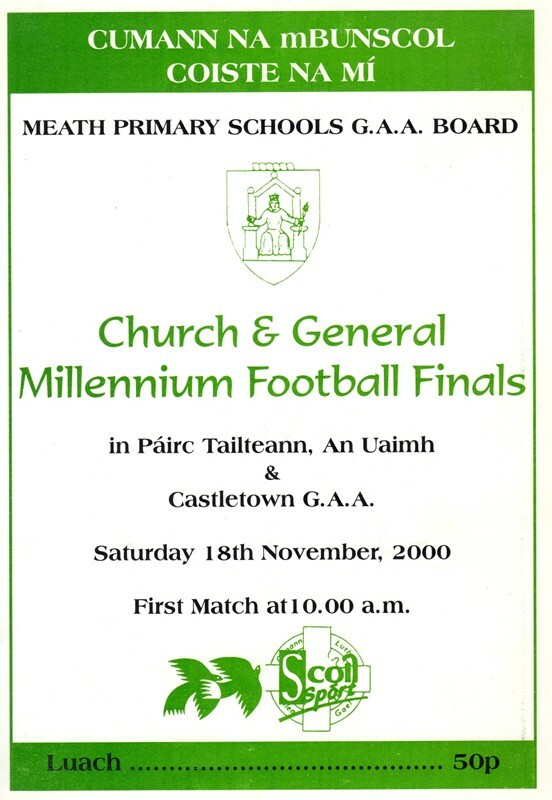 The competitions are played on a league basis during the school year and the finals are held in the last two weeks of November in Pairc Tailteann in Navan. 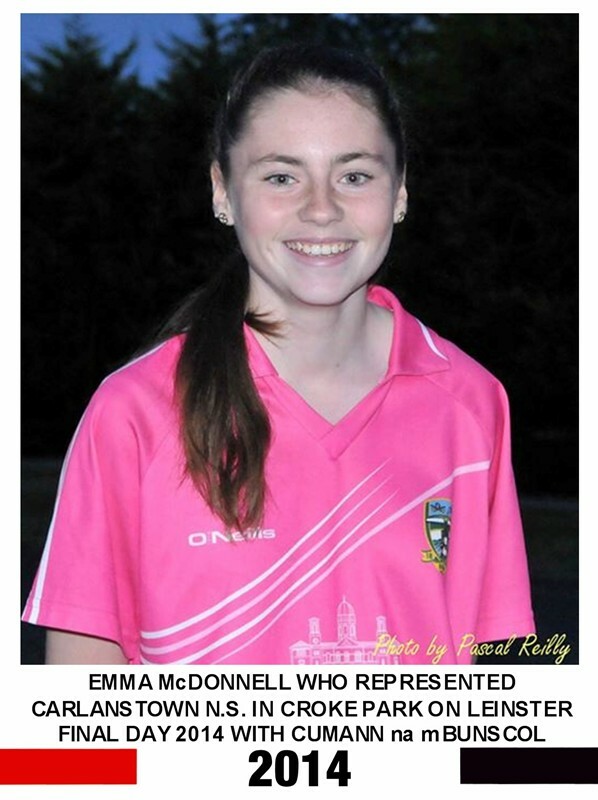 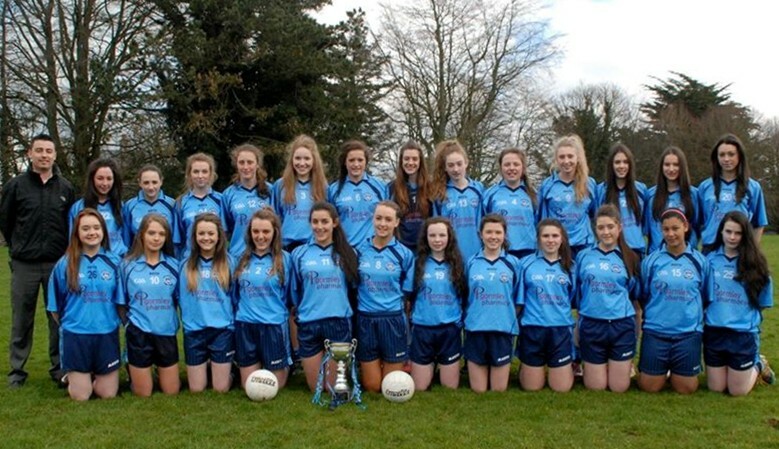 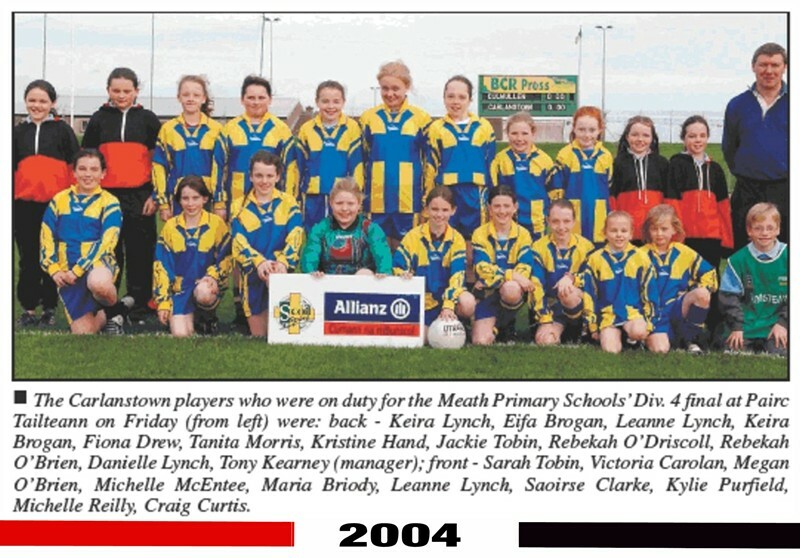 You will see from the teams featured in the photographs that a great majority of the players went on to represent our club St. Michaels and their county at different levels in both men’s and ladies grades, some drop off as they do after leaving national school but thankfully those are in the minority. 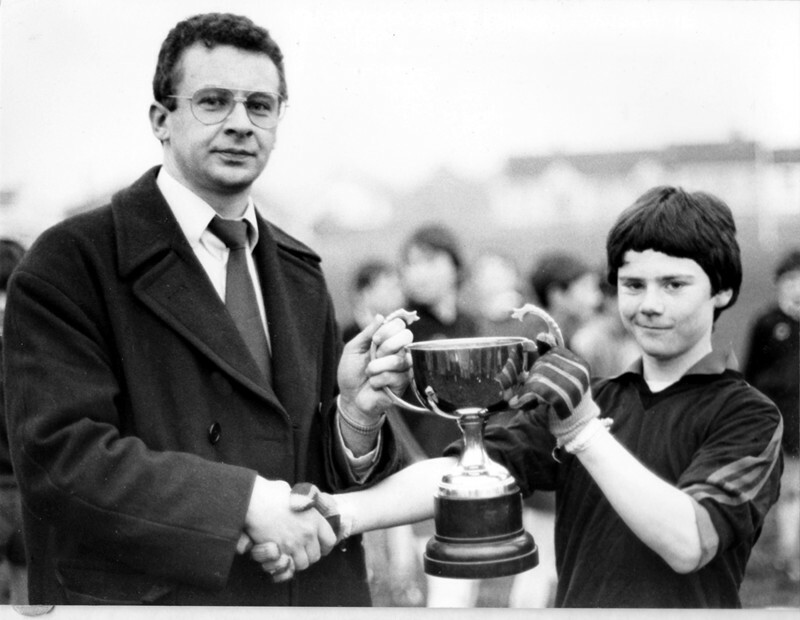 We thank Tony for his work in developing his pupils into fine footballers in their early years which in turn benefited our club. 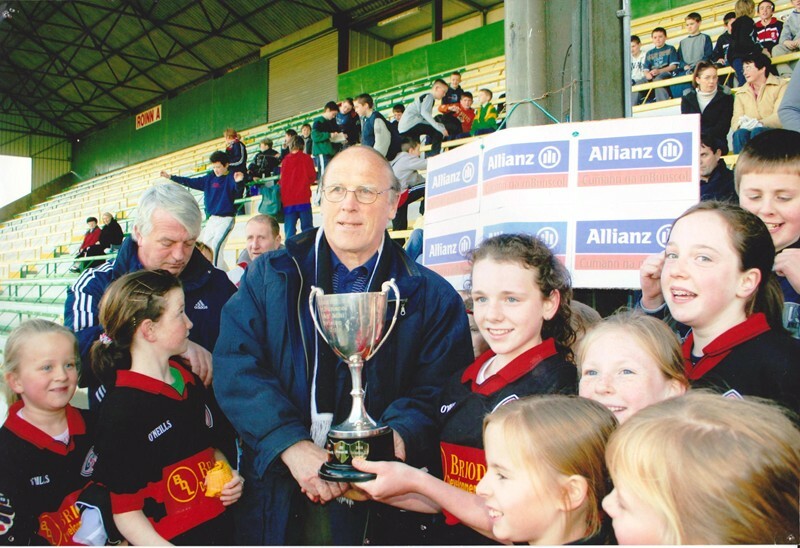 Tom Halpin, Jim O’Reilly, Jimmy Farrelly, Justin Stafford and Sinéad McCormack are but a few of many men and women who have devoted their time and effort into coaching and promoting Gaelic football in Kilbeg National School down the years, their efforts have also been rewarded with lots of excellent footballers donning the red and black jerseys of St. Michaels and the green and gold of Meath in both the men and ladies grades. 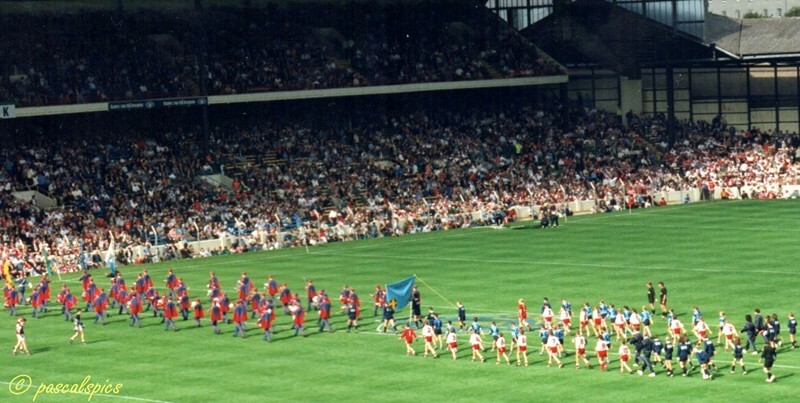 We thank those men and women for all their time and effort down the years. 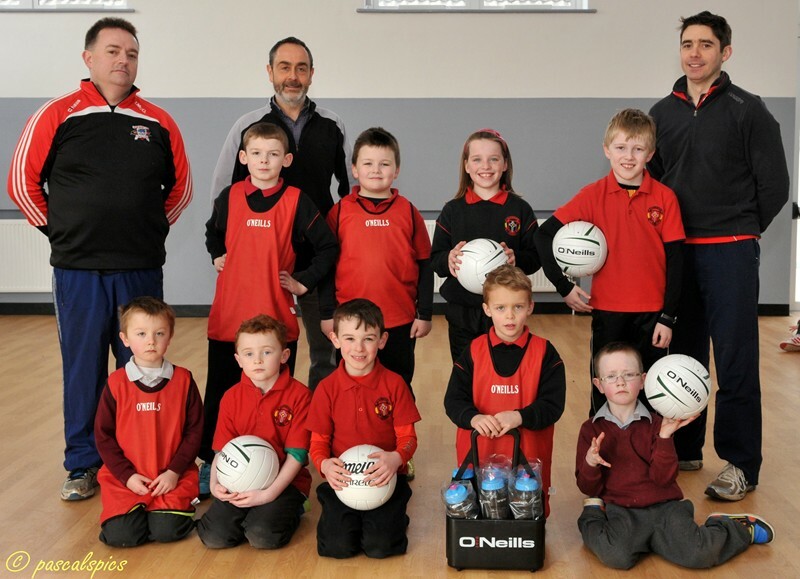 For the past number of years St. Michaels GFC have been part of the GAA’s Club School Link Programme where individuals from within the club are appointed to coach the children in both Carlanstown and Kilbeg national schools in the skills of GAA for two hours per week. 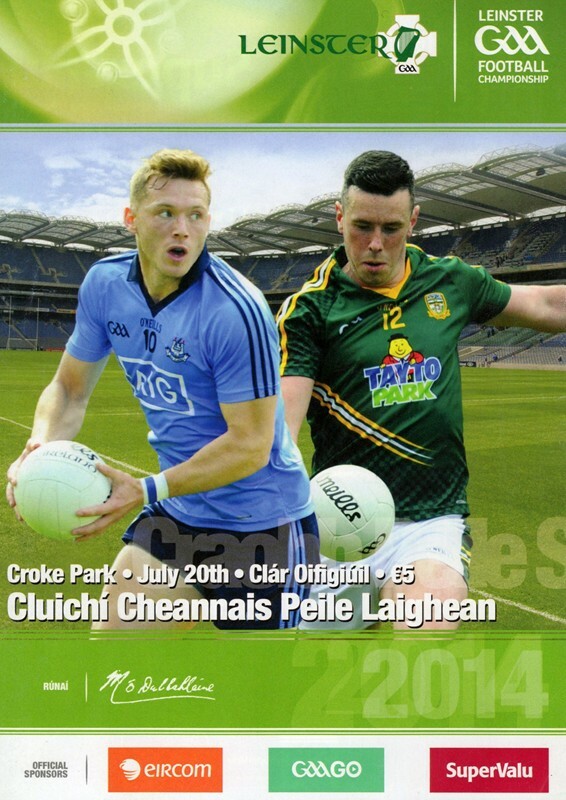 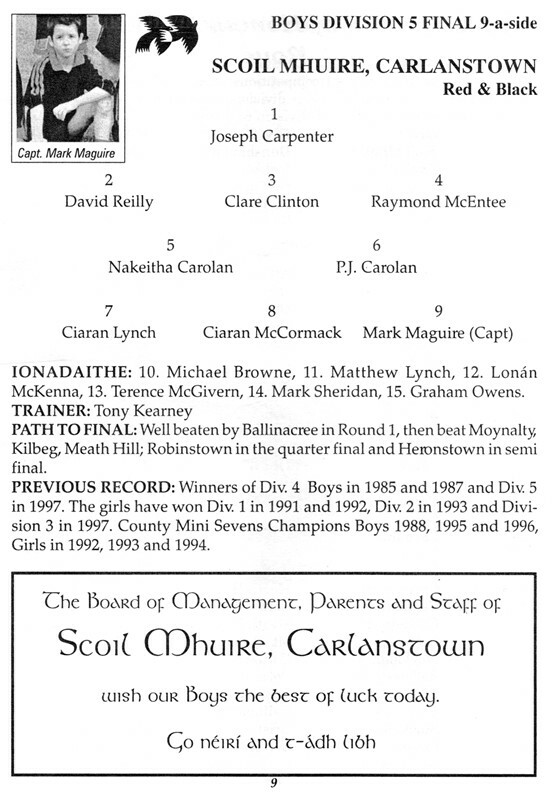 The 2015 coaches are Sean Gaffney junior in Kilbeg and Thomas McQuaid in Carlanstown. 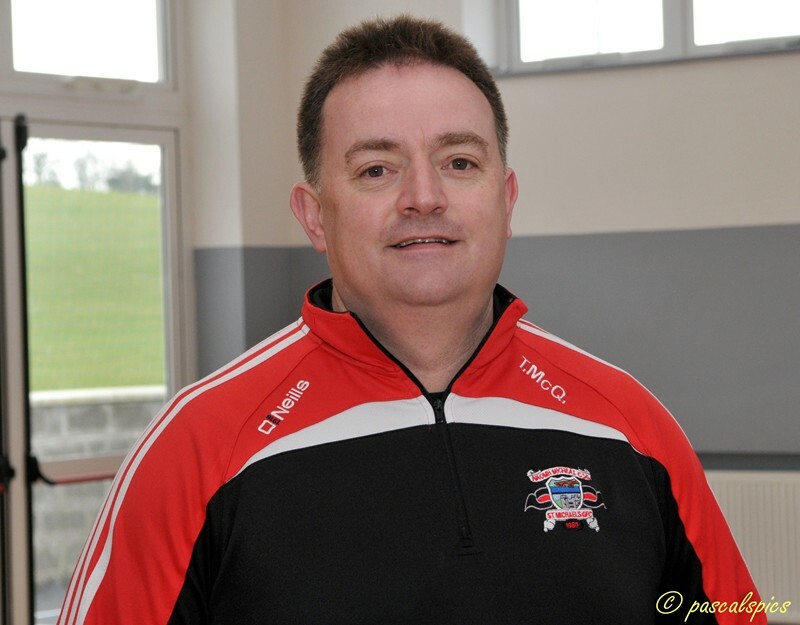 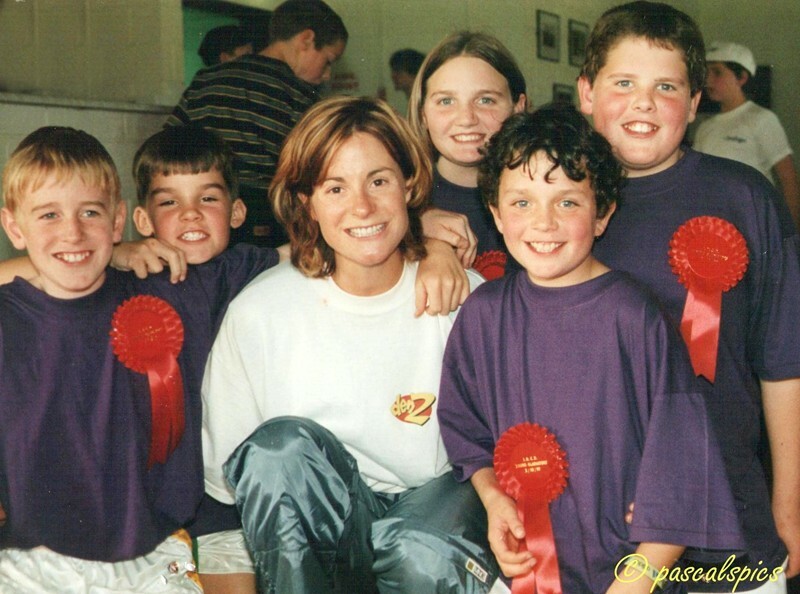 All our club coaches are Garda vetted and have obtained the Foundation Award Course certificate and the Code of Best Practice Course certificate. 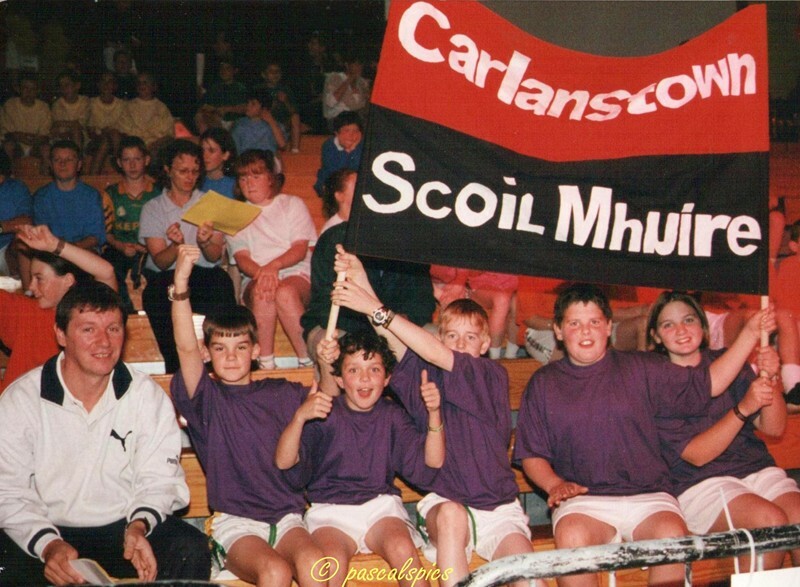 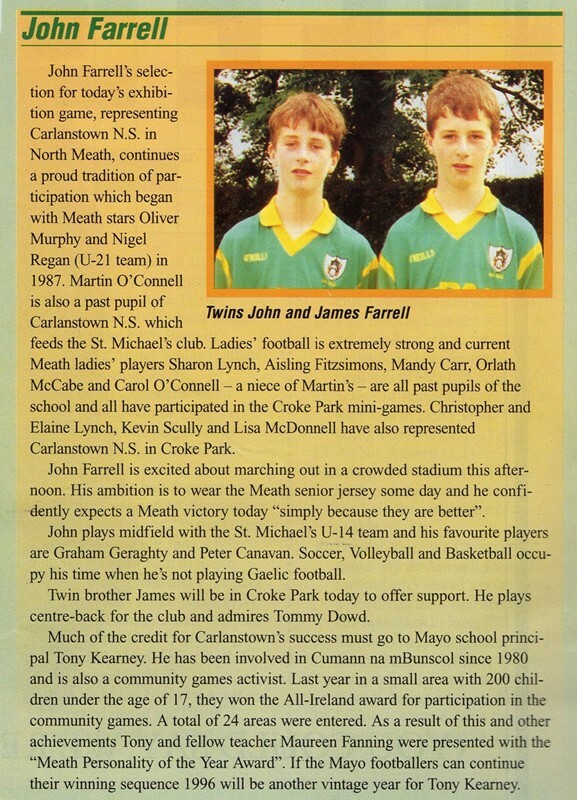 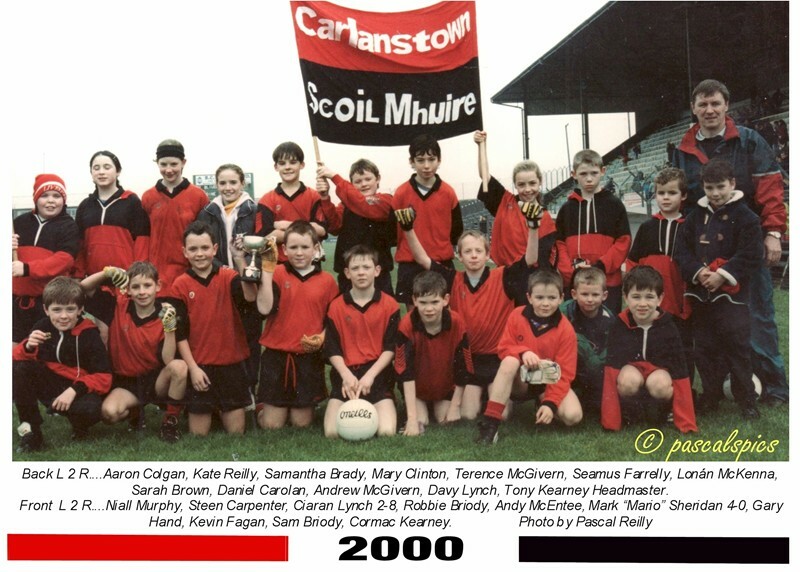 Through my links with Carlanstown National School having spent 8 long years there as a child, and having our own two children educated there and my involvement in the school through being a member of its Parents Association for many years, I have amassed a fair selection of photos from the schools involvement with Cumman na mBunscol, Coiste na Mí. 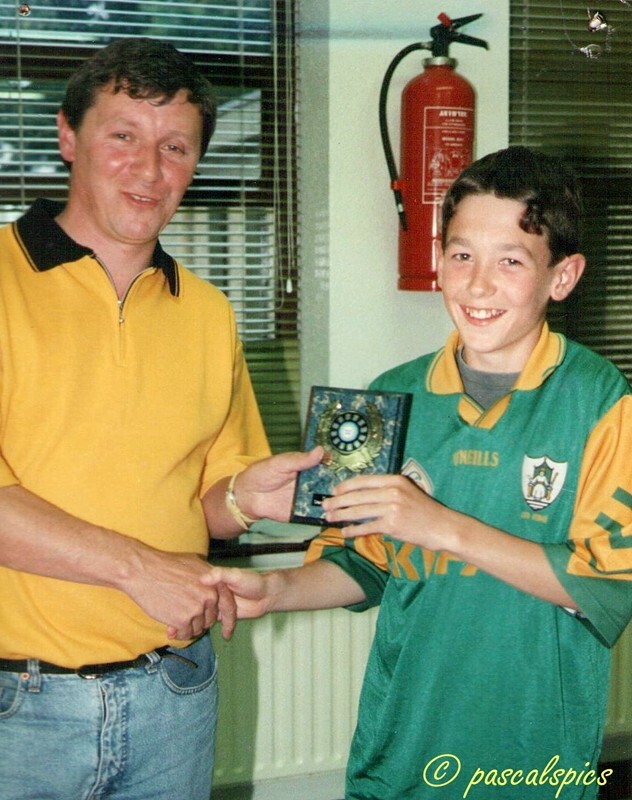 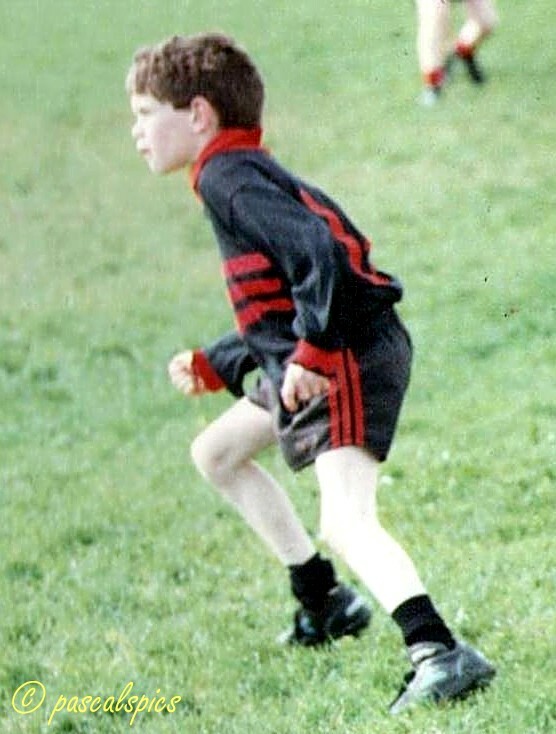 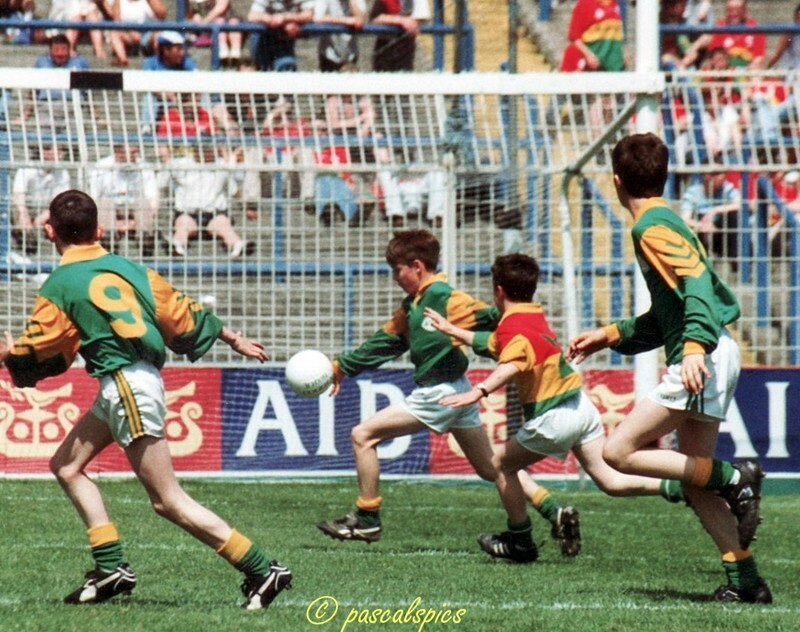 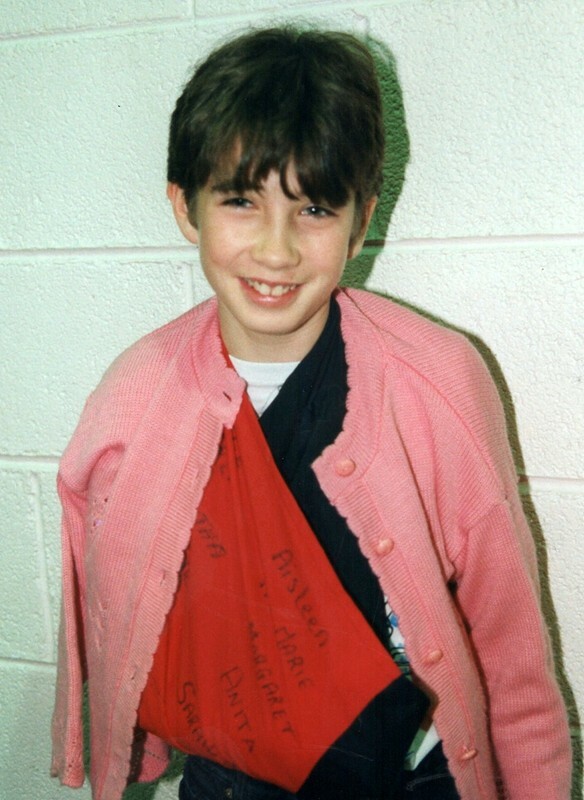 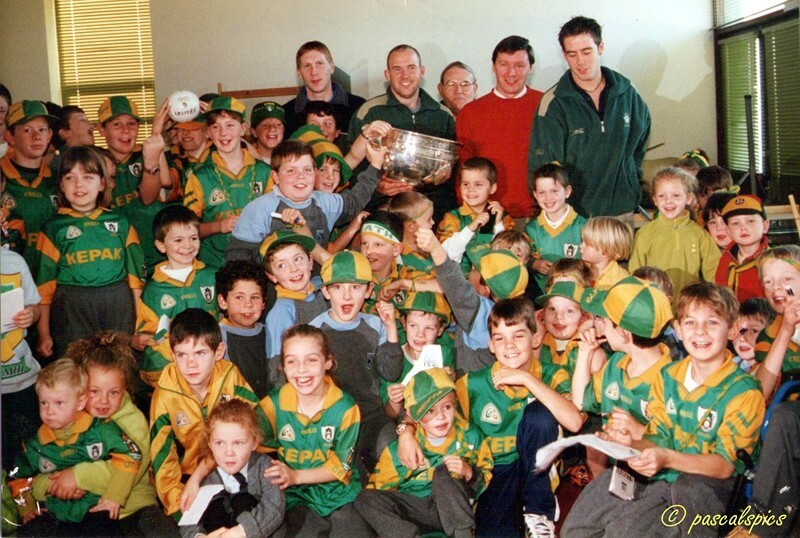 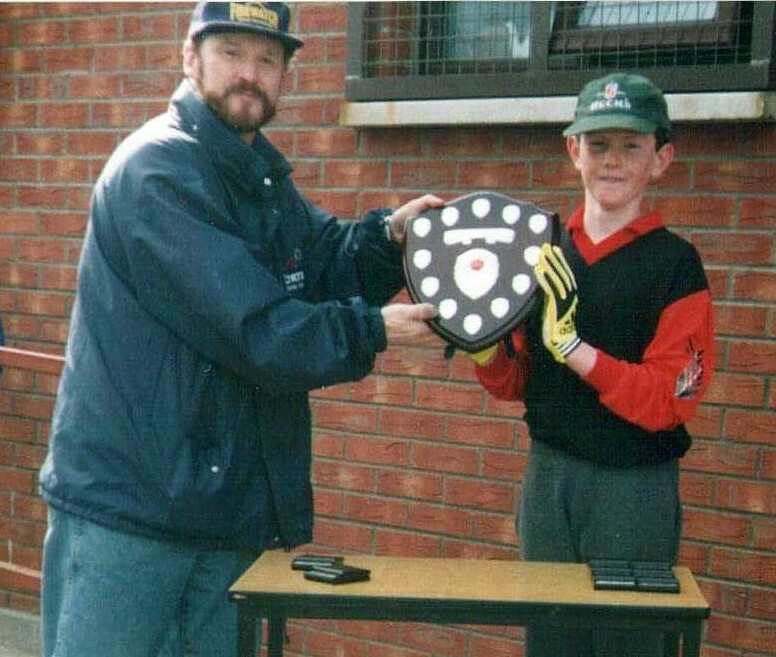 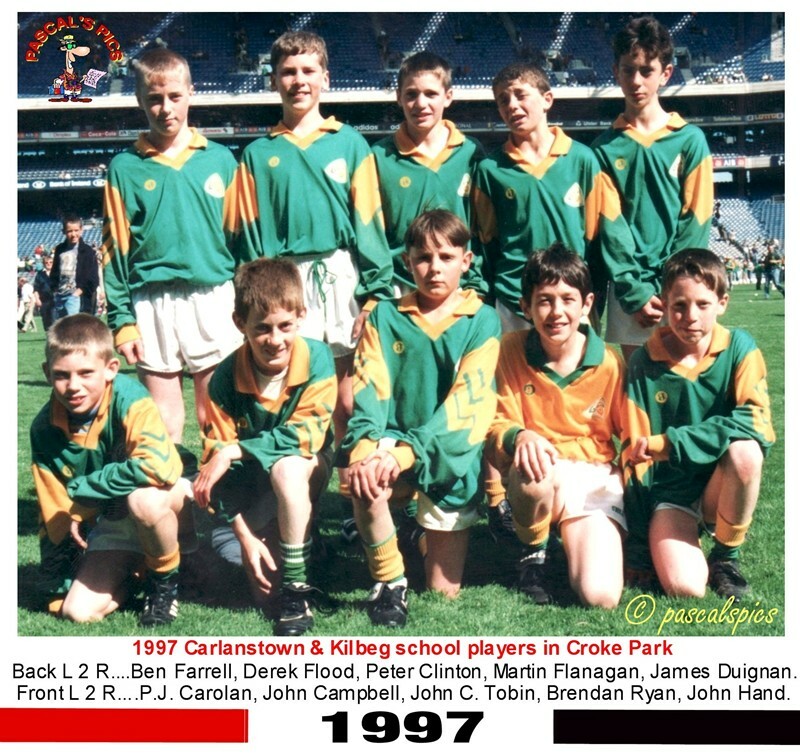 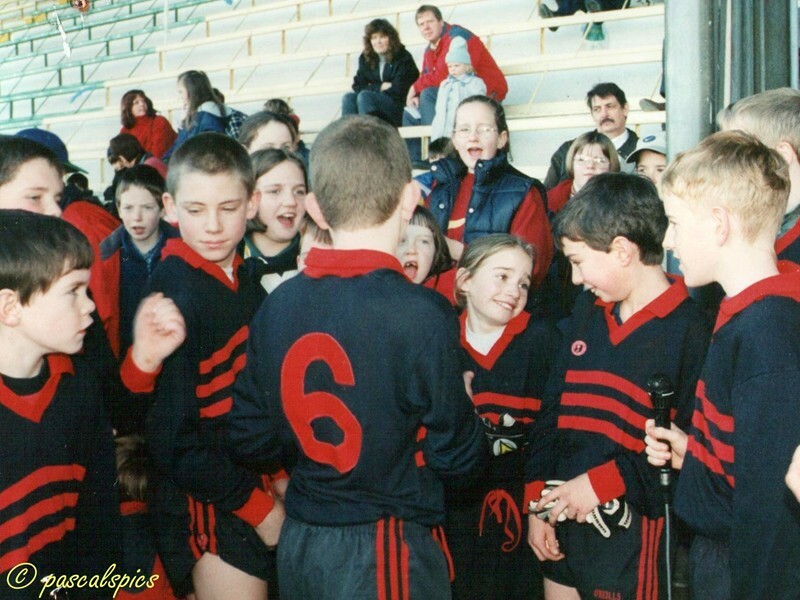 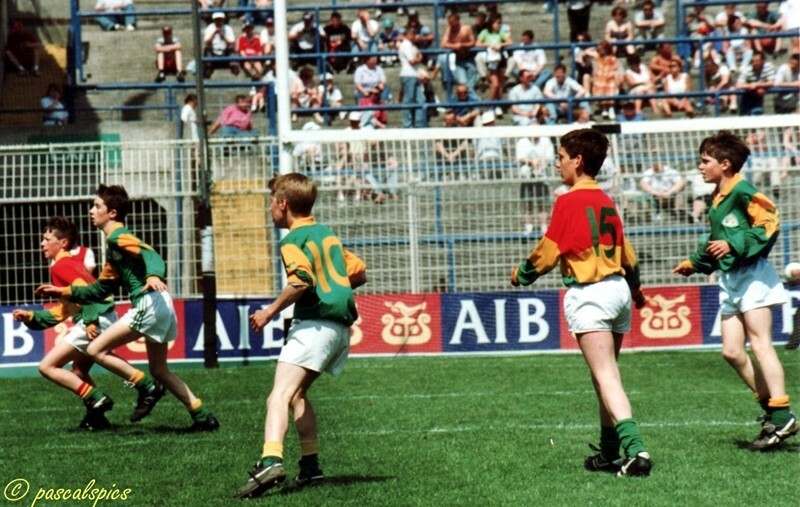 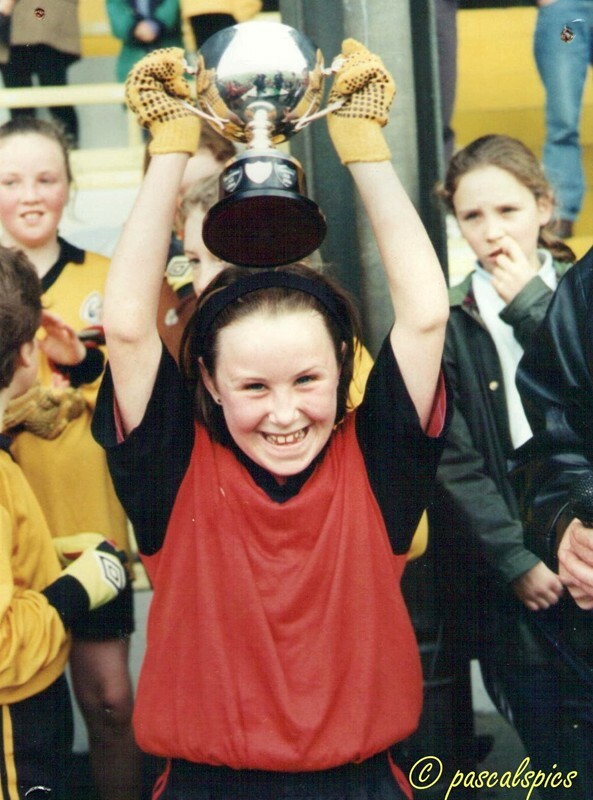 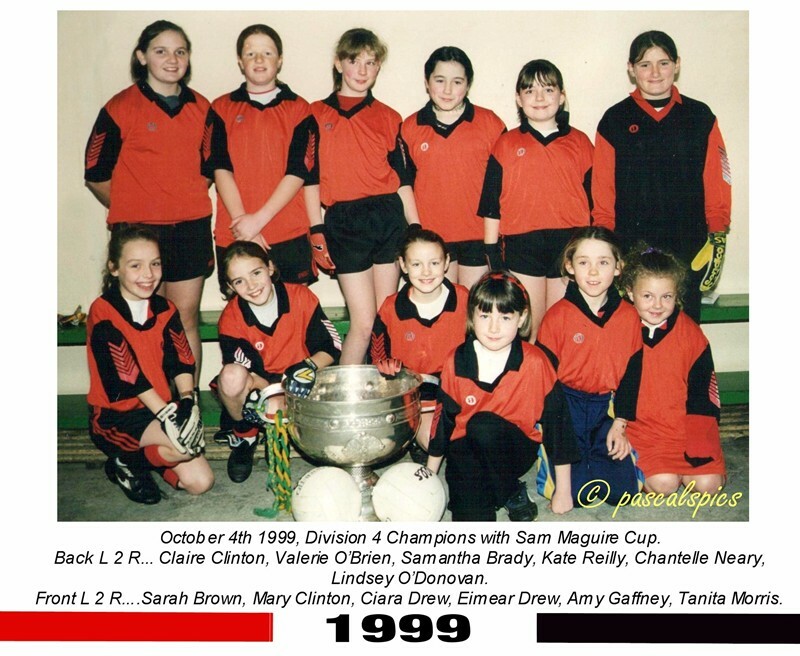 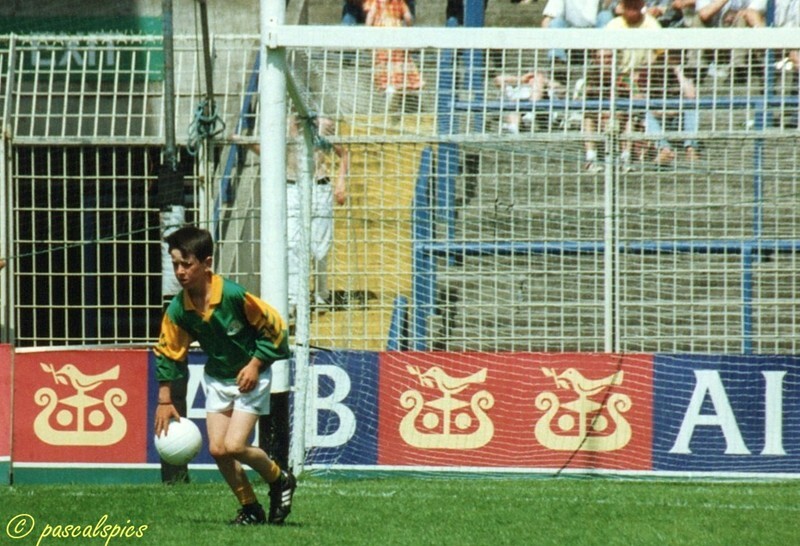 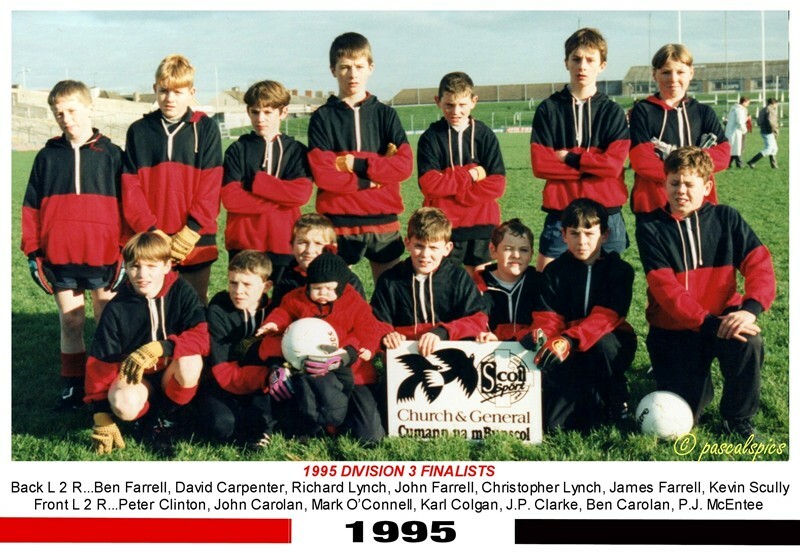 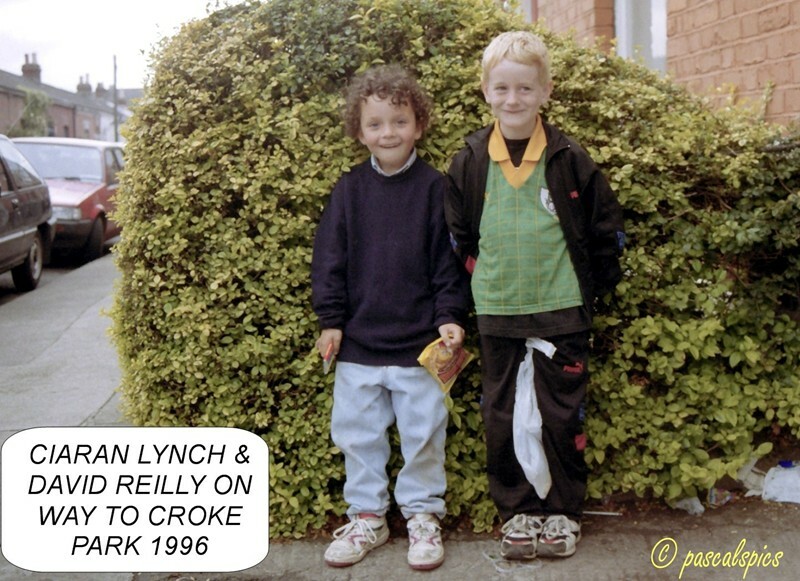 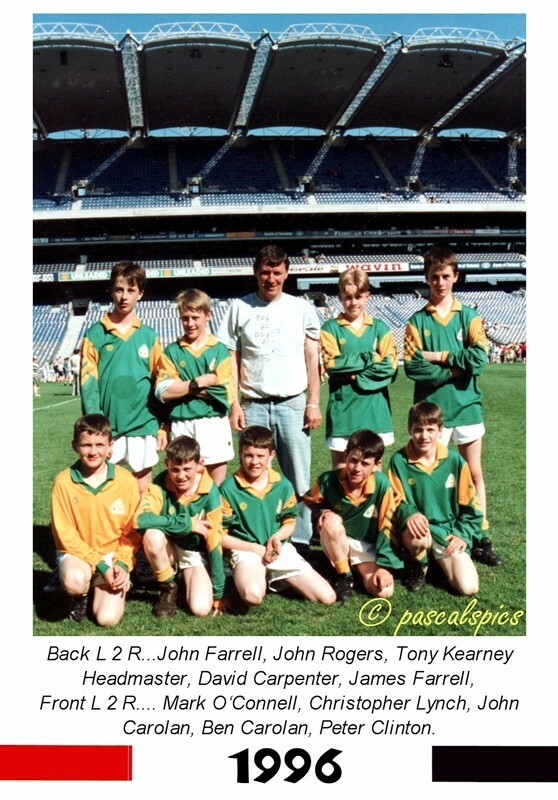 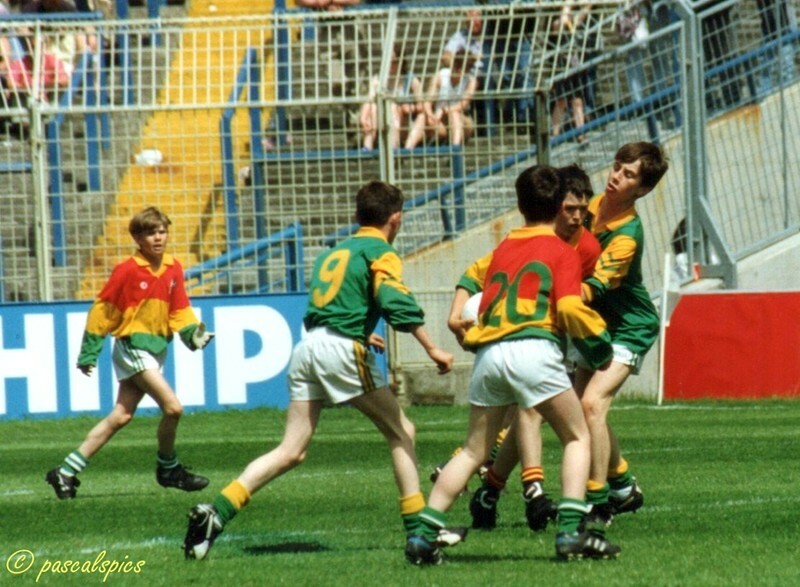 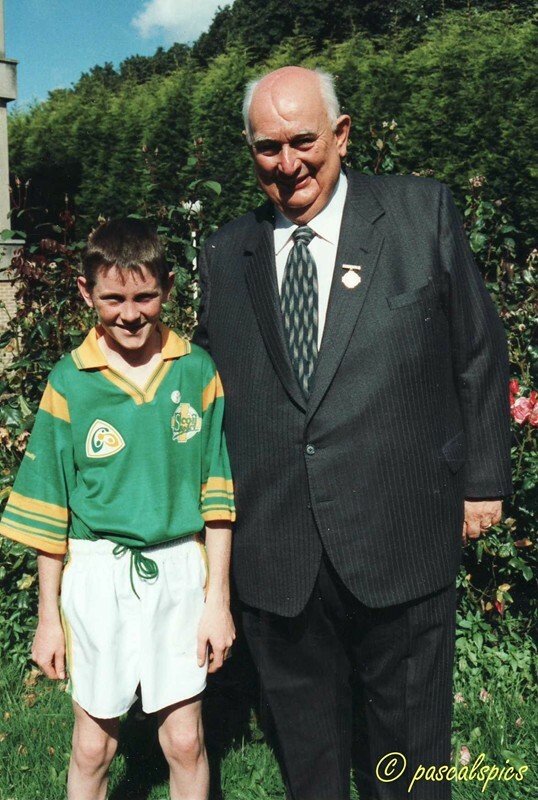 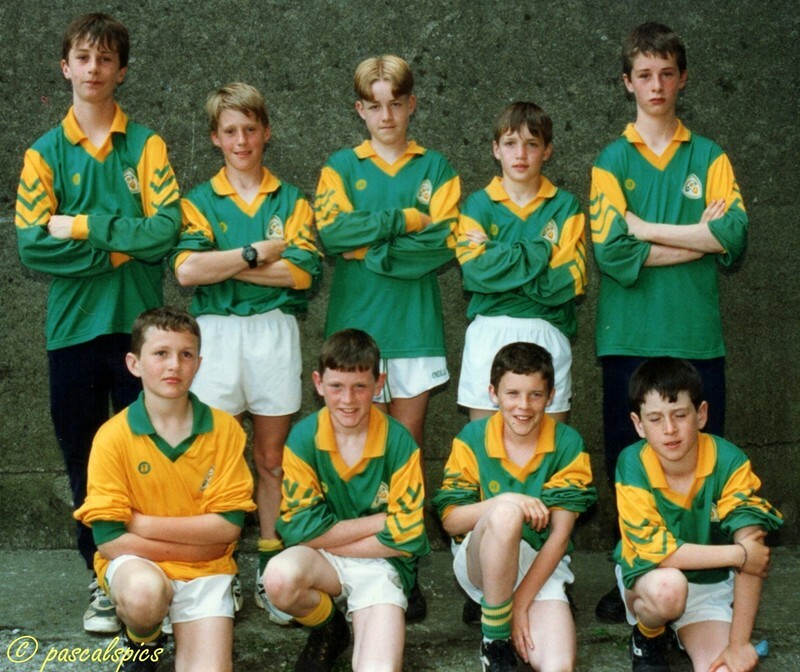 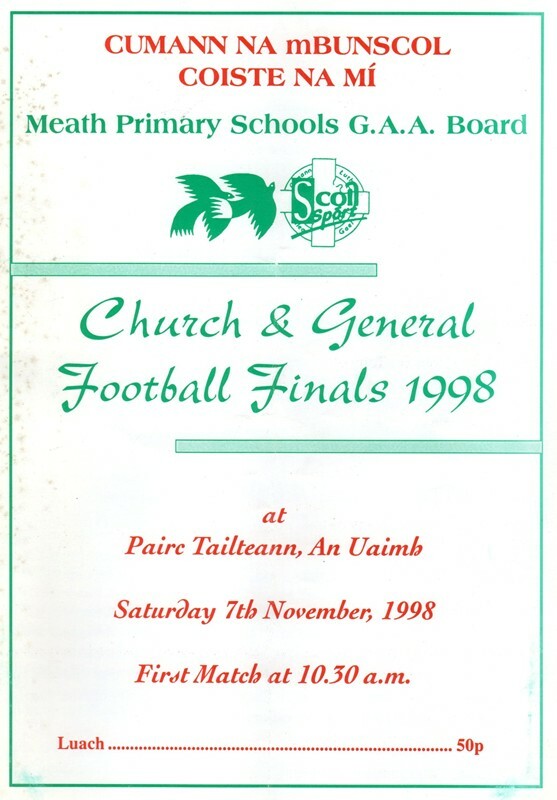 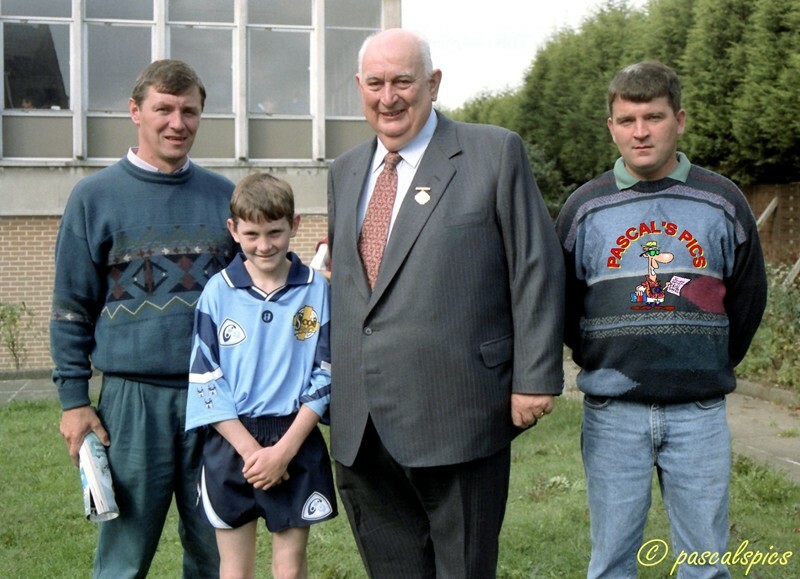 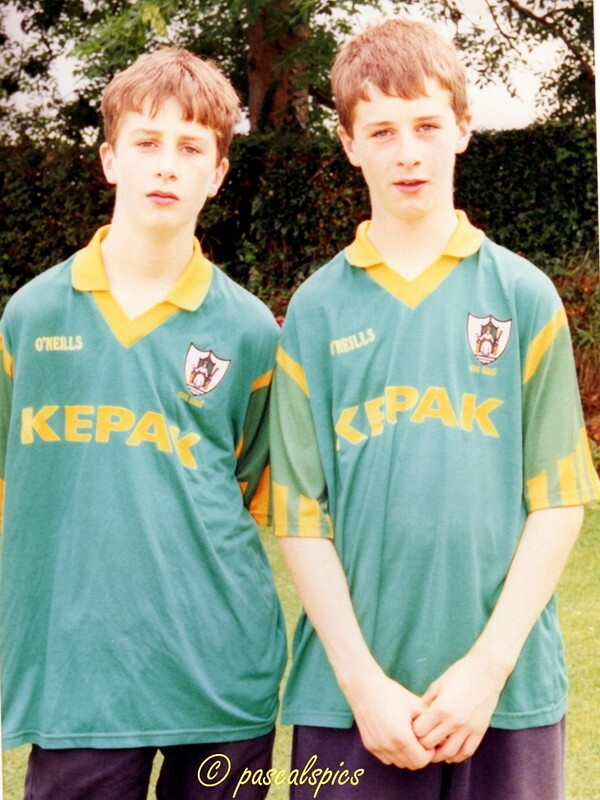 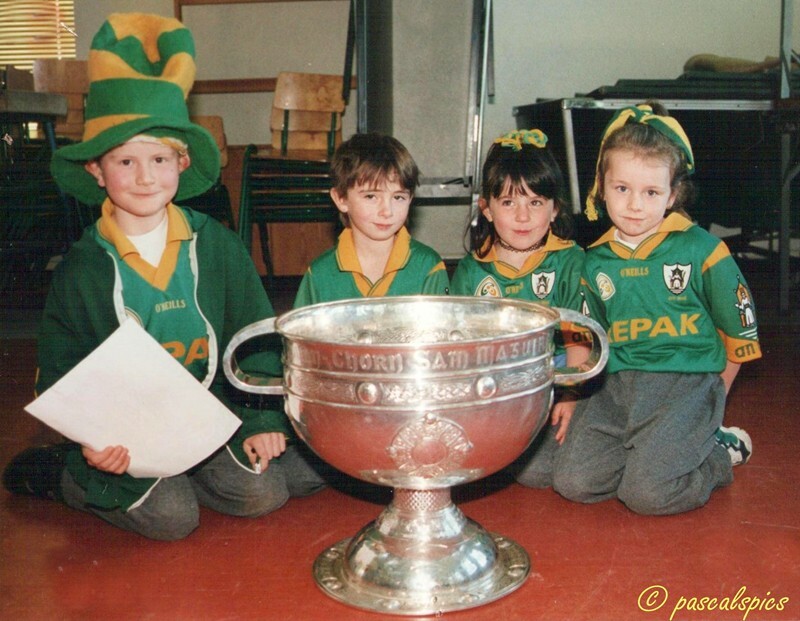 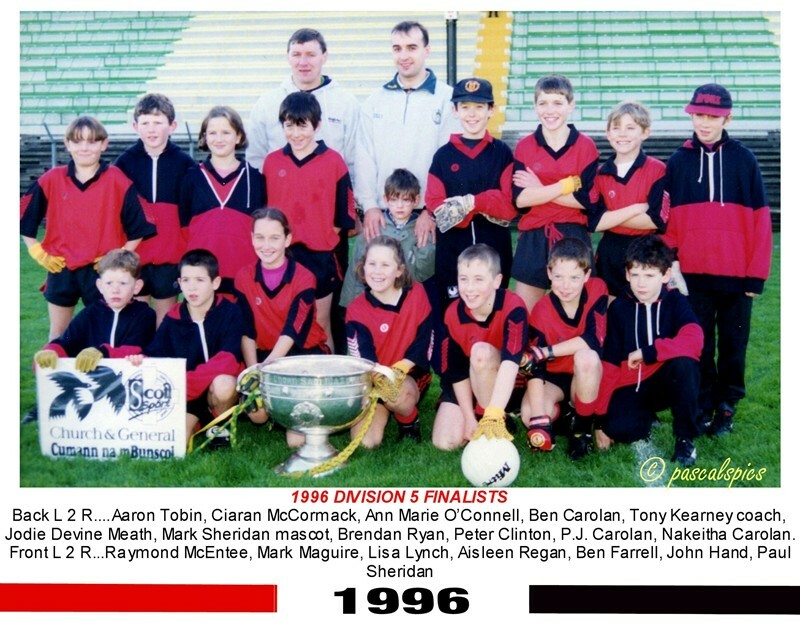 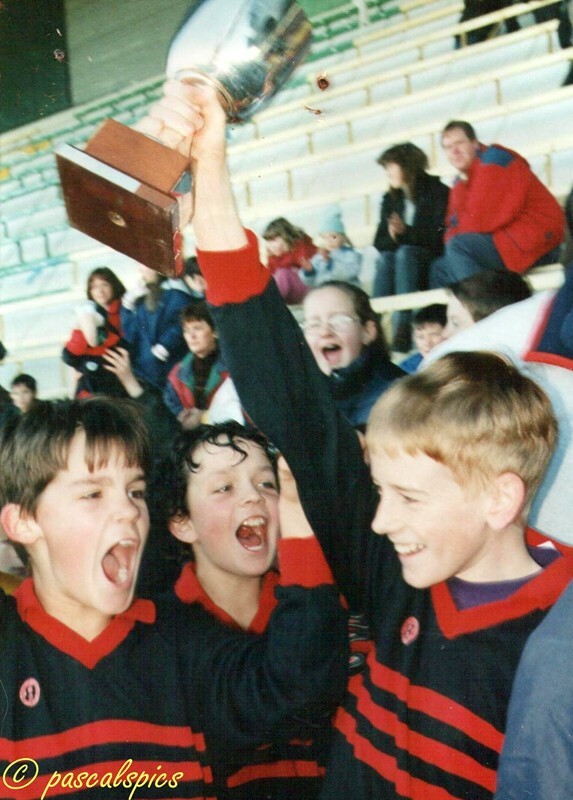 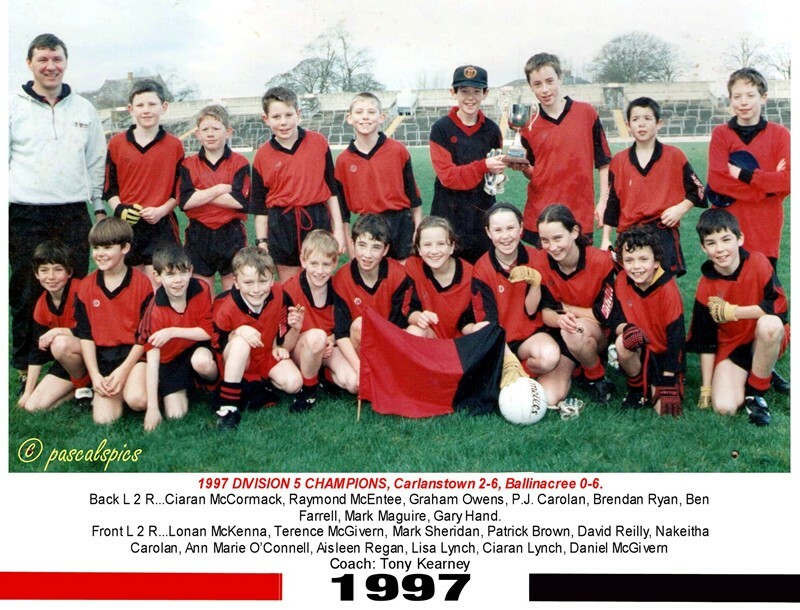 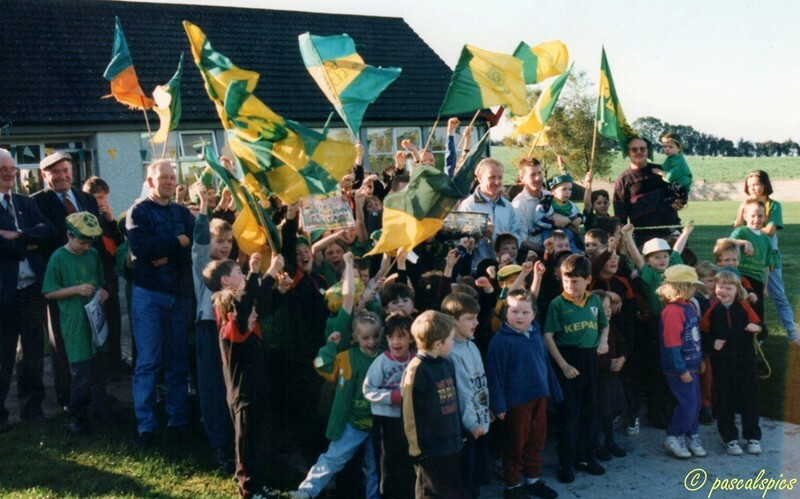 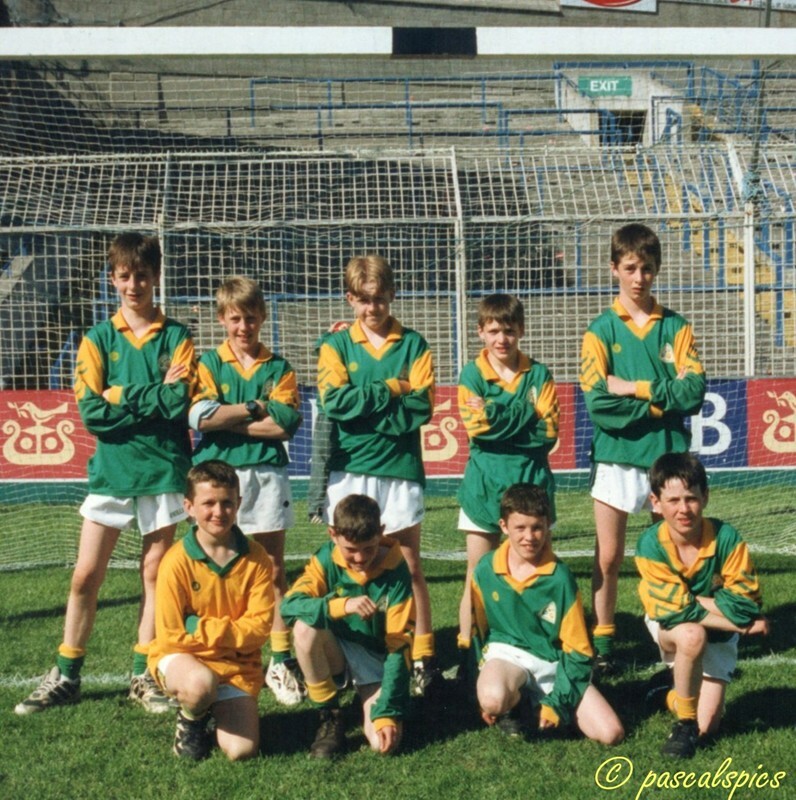 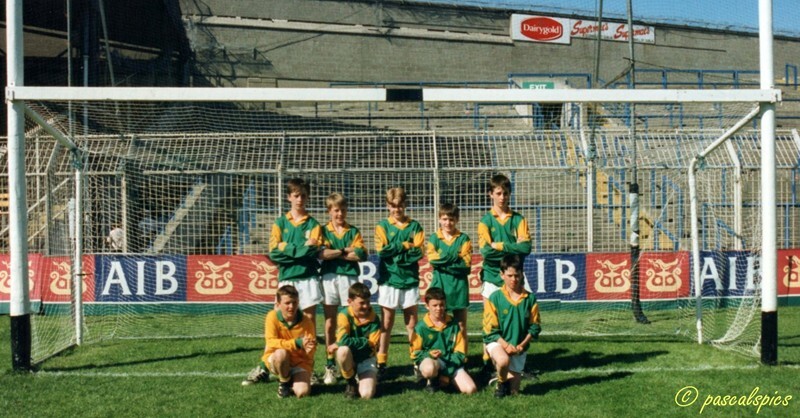 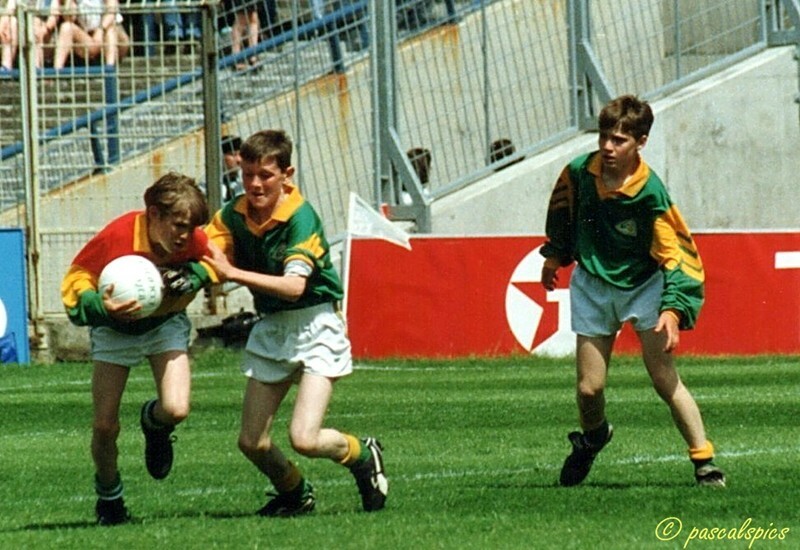 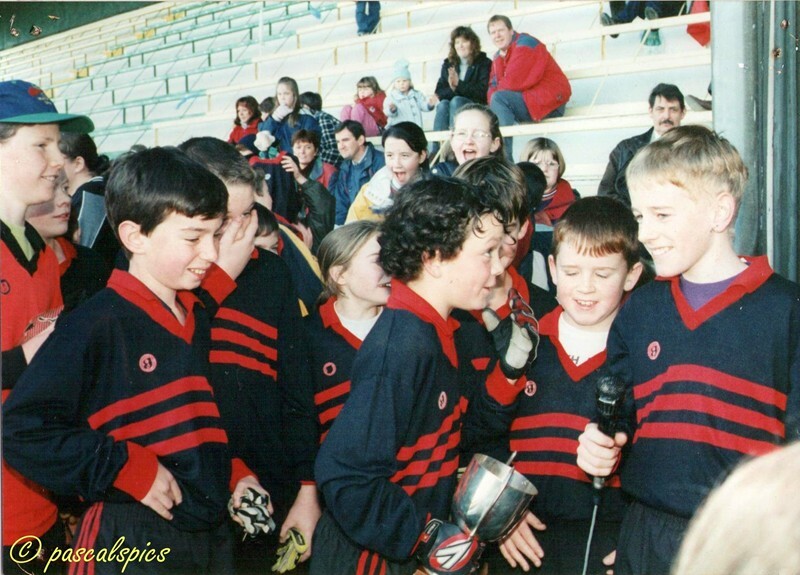 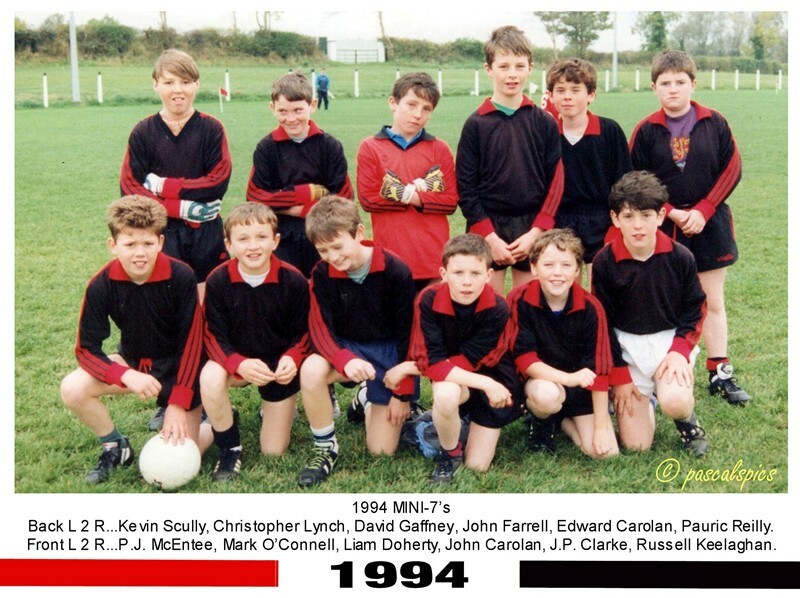 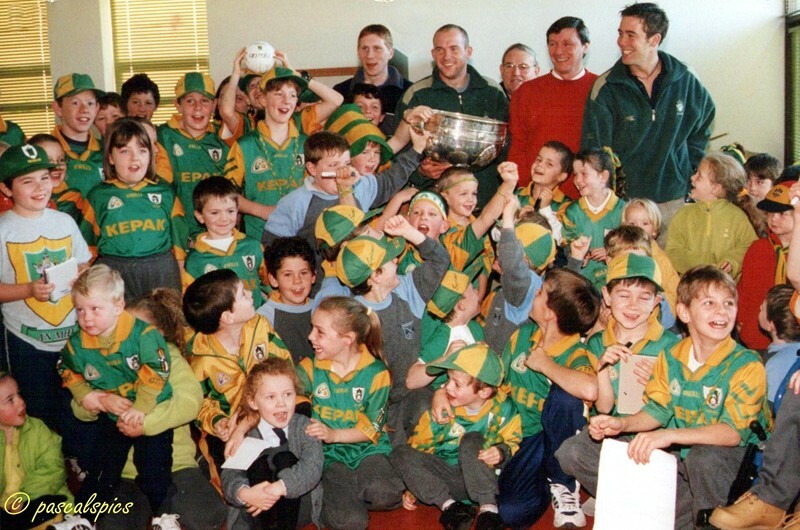 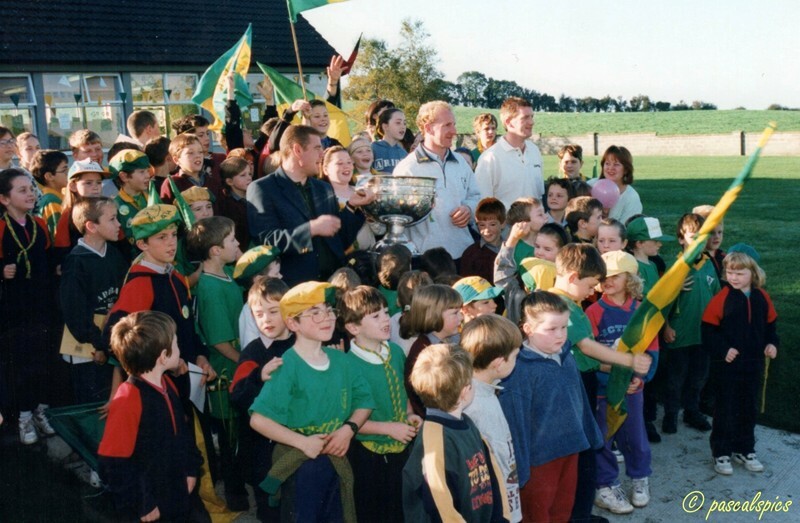 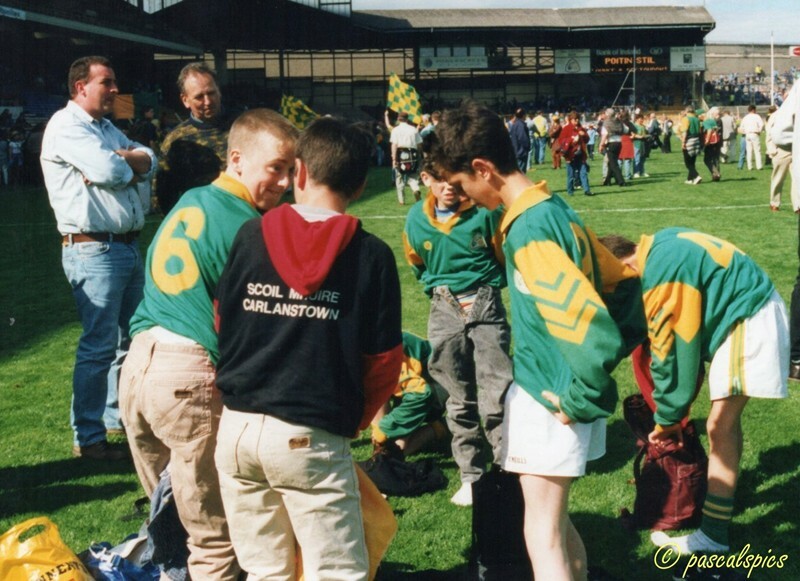 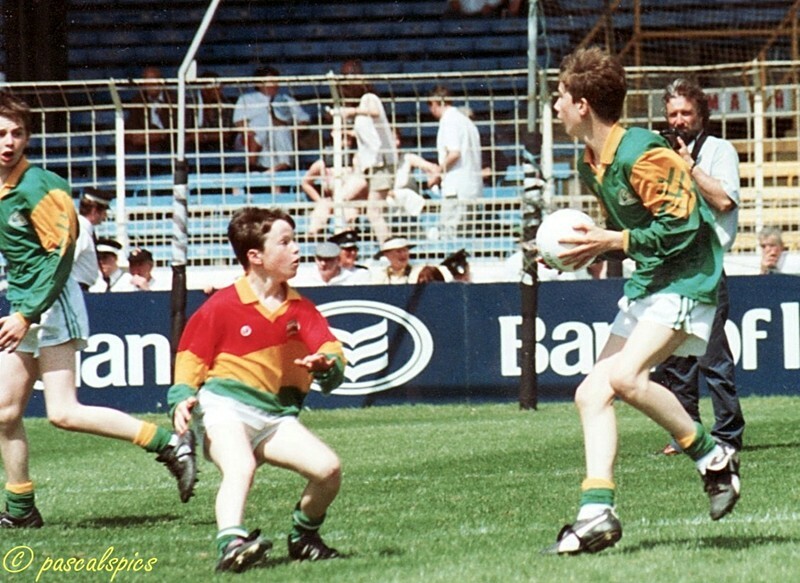 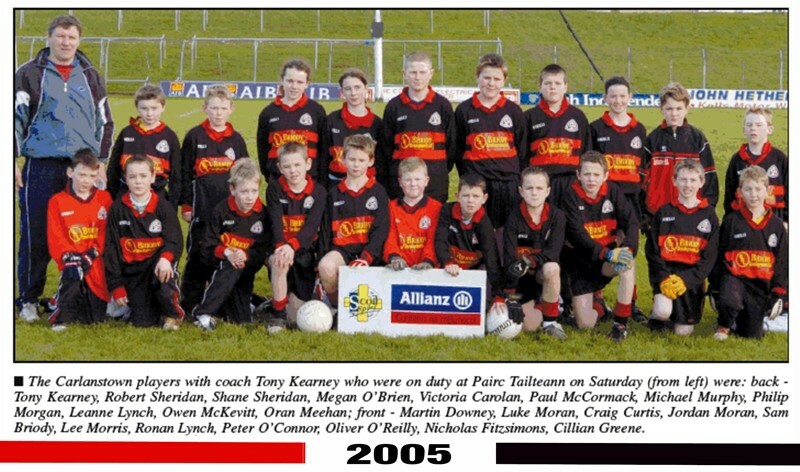 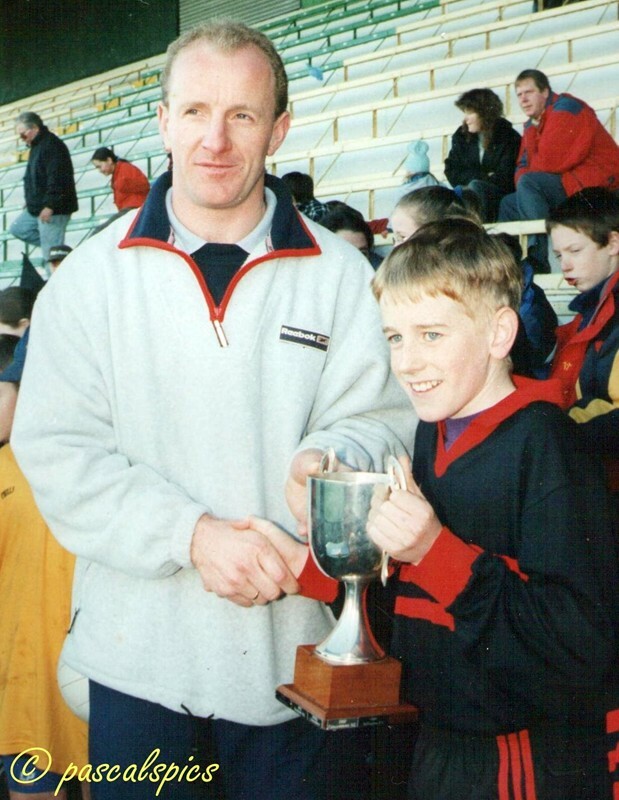 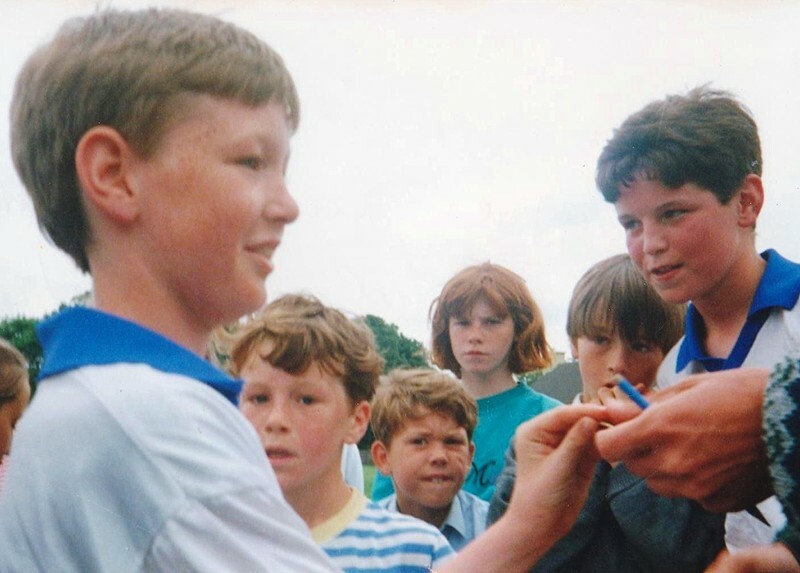 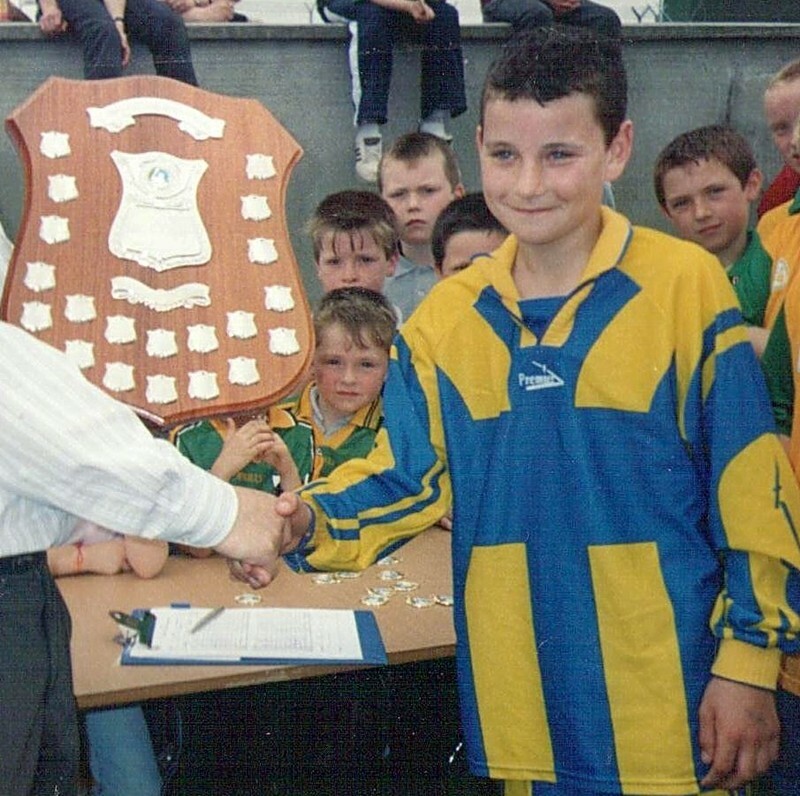 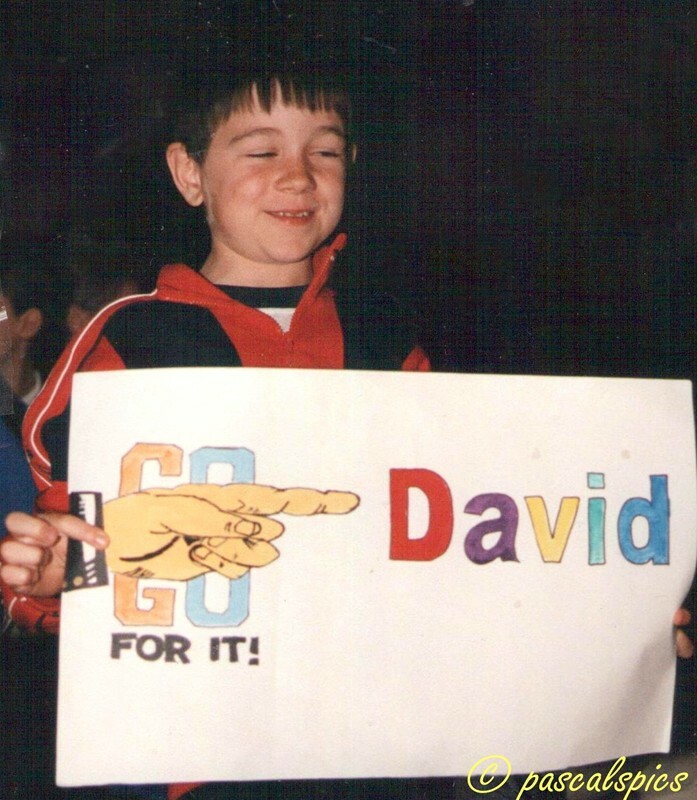 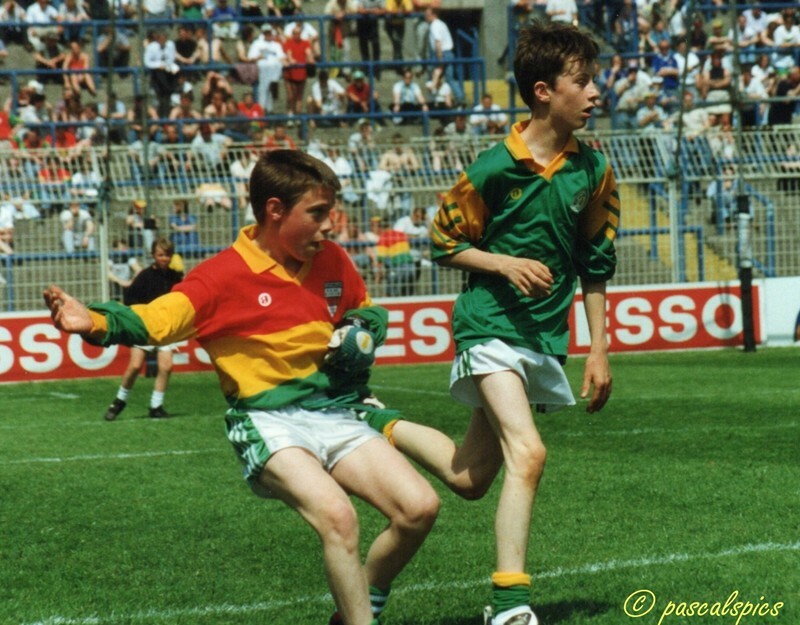 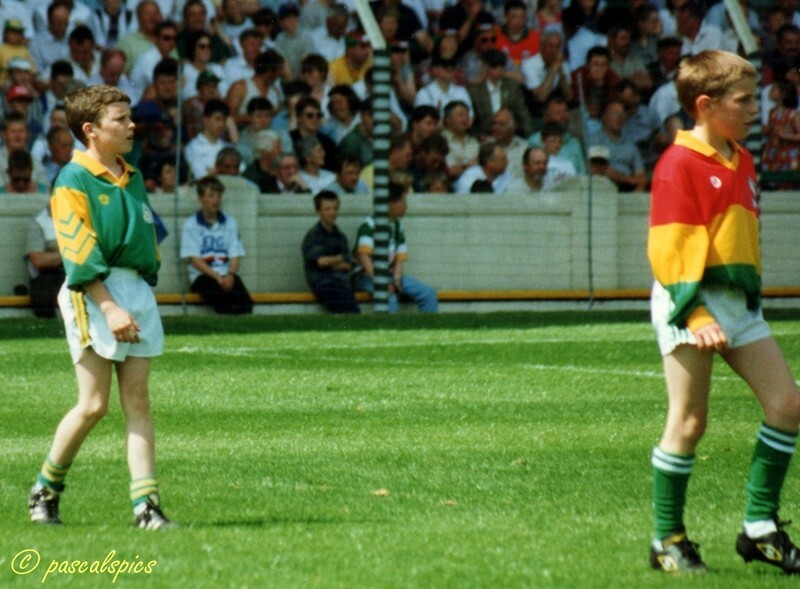 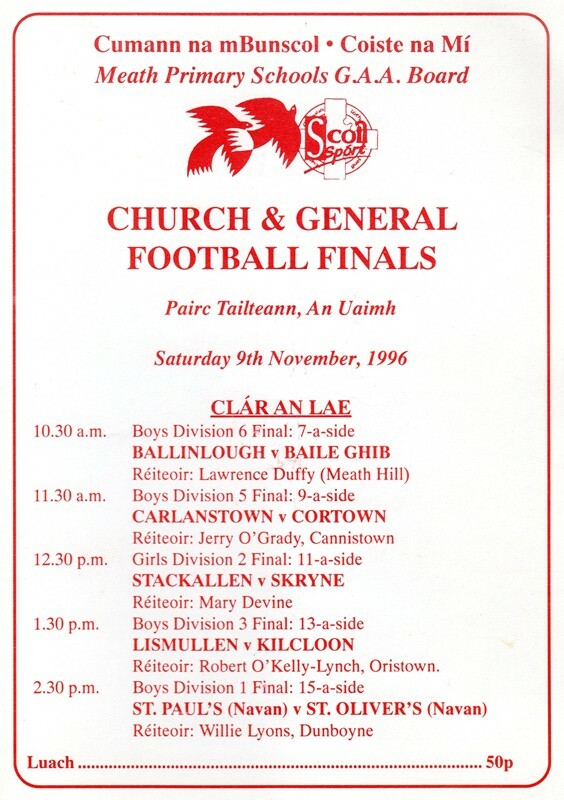 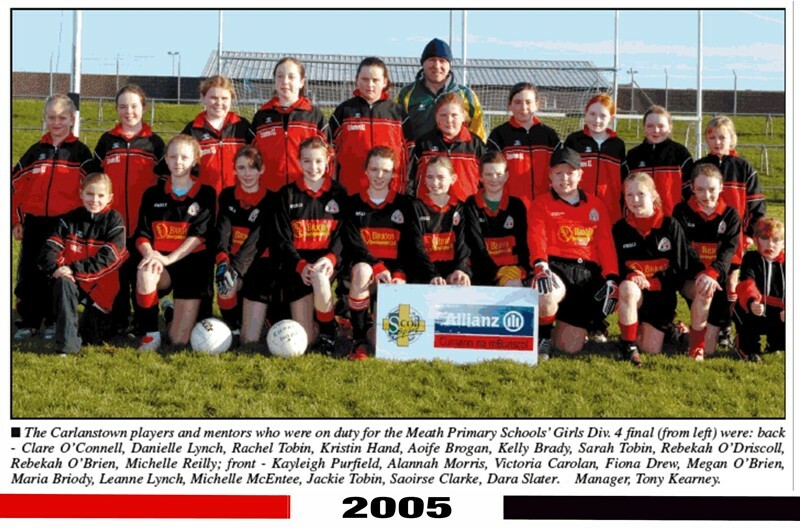 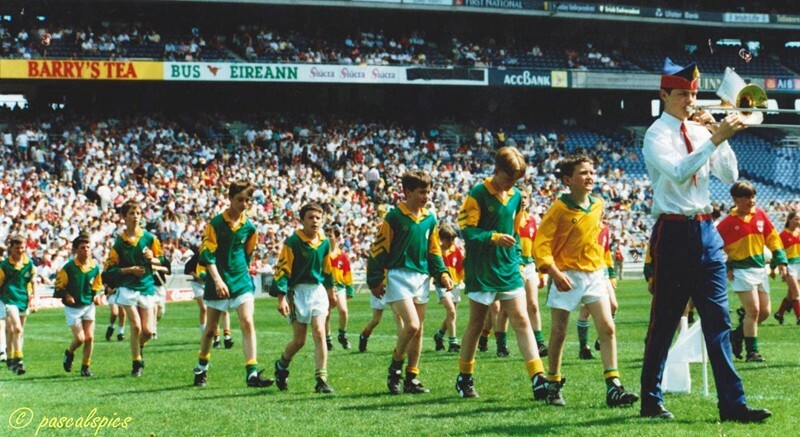 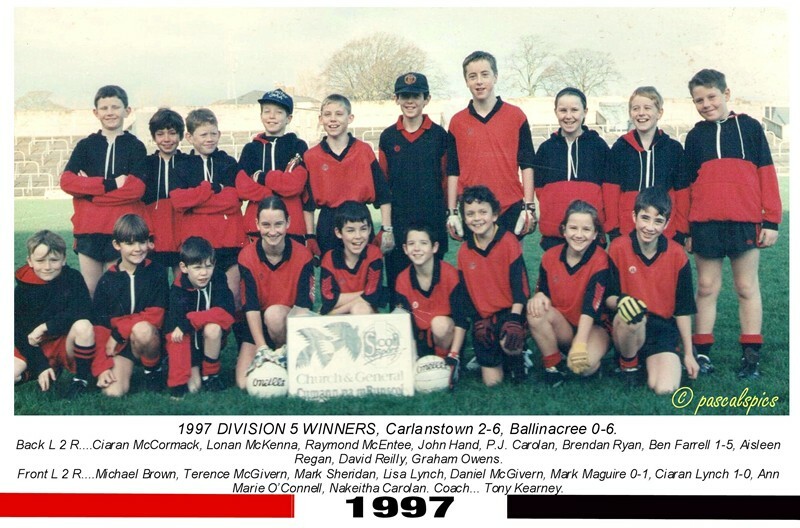 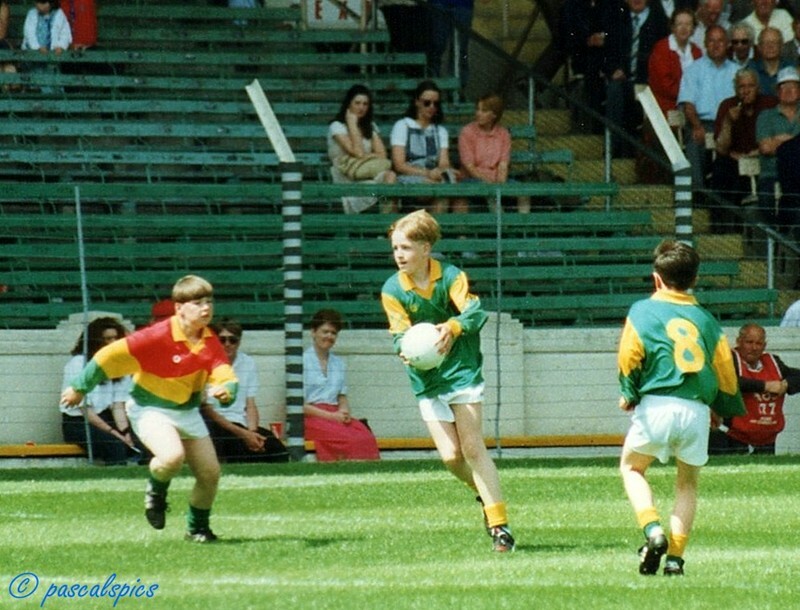 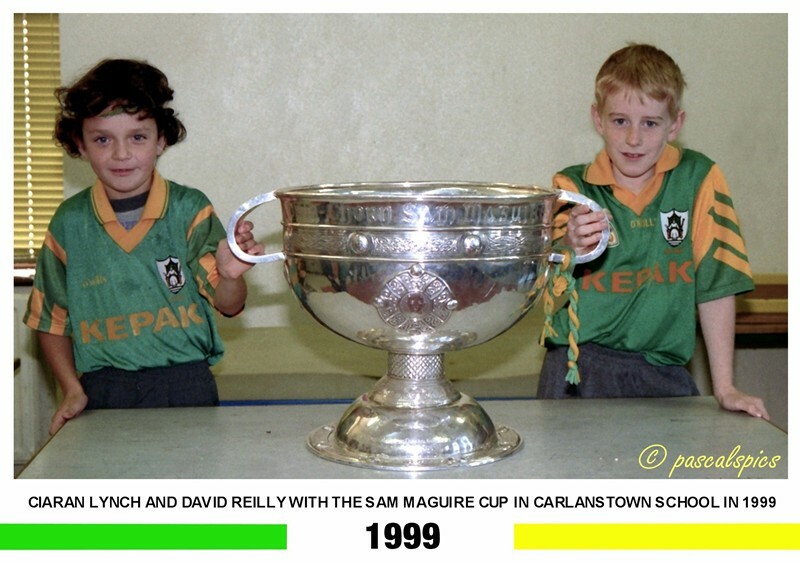 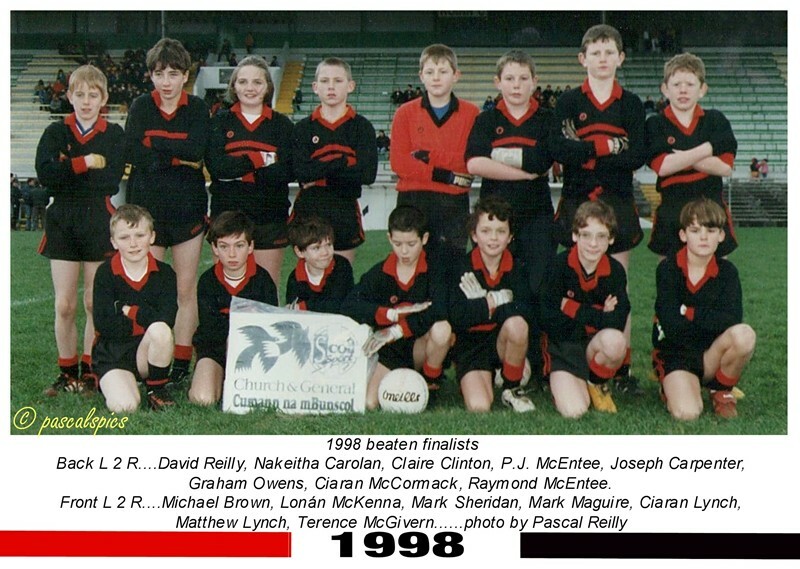 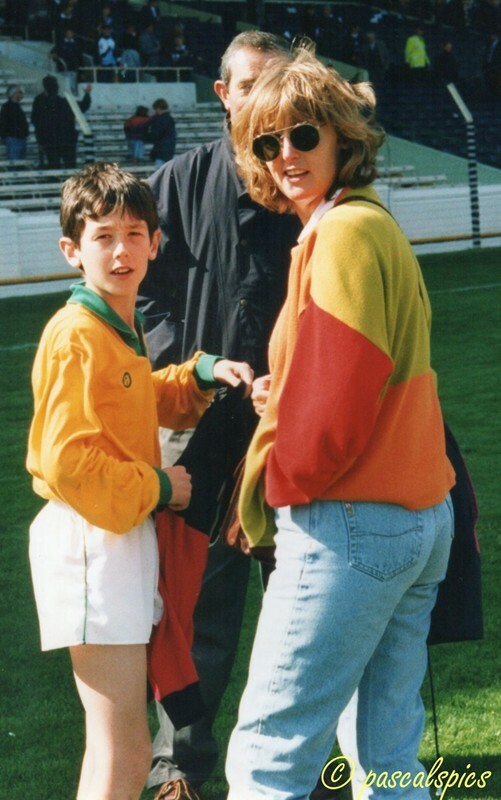 Unfortunately I could not resurrect any past photo’s from Kilbeg National School teams who were represented at Cumann na mBunscol apart from the one photo taken of the two schools together in 1999 at the final in Pairc Tailteann. 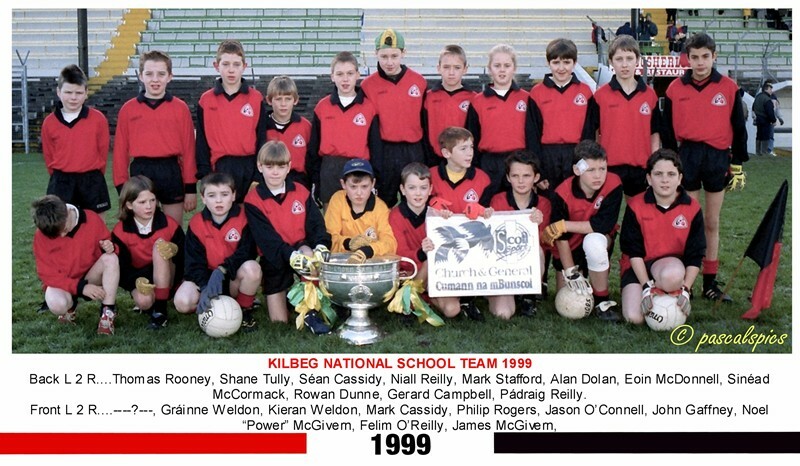 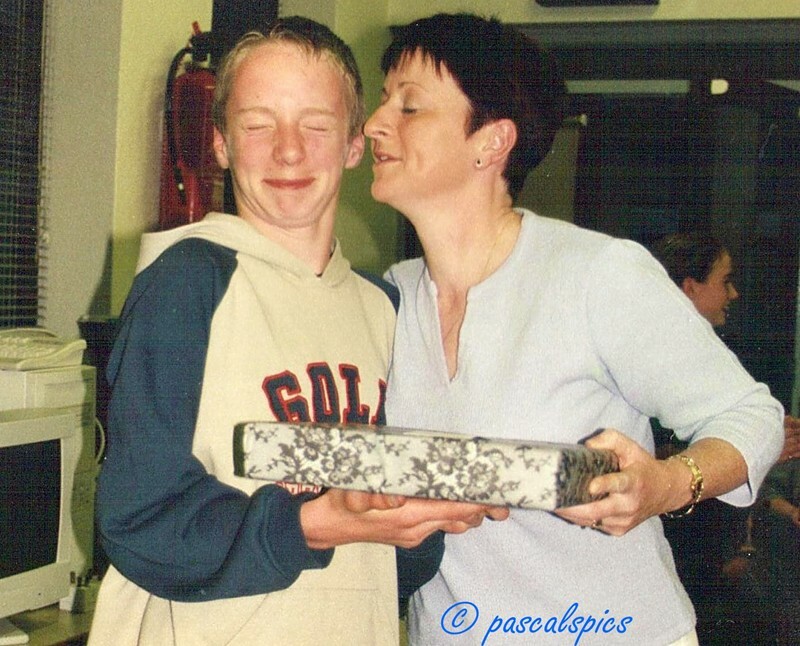 So if anyone out there possesses any Kilbeg school team photos email them on to me and I would be more than delighted to include them on this page. 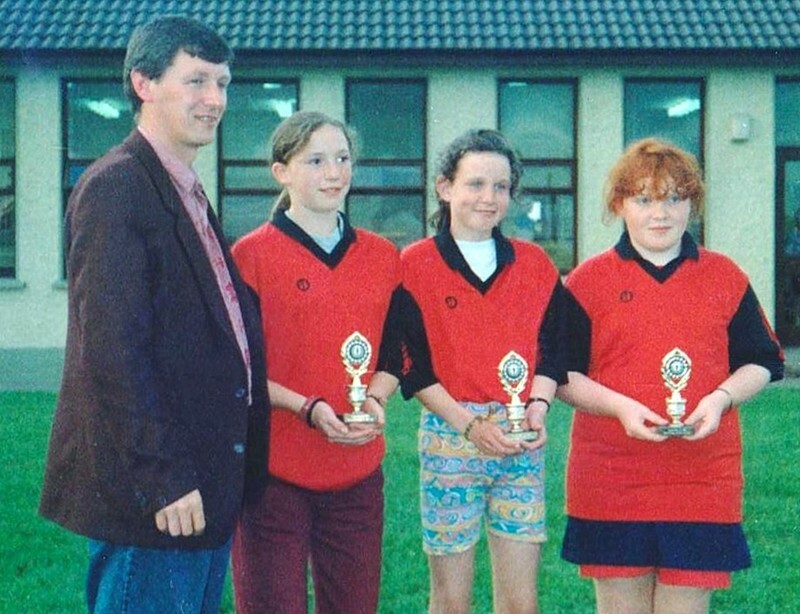 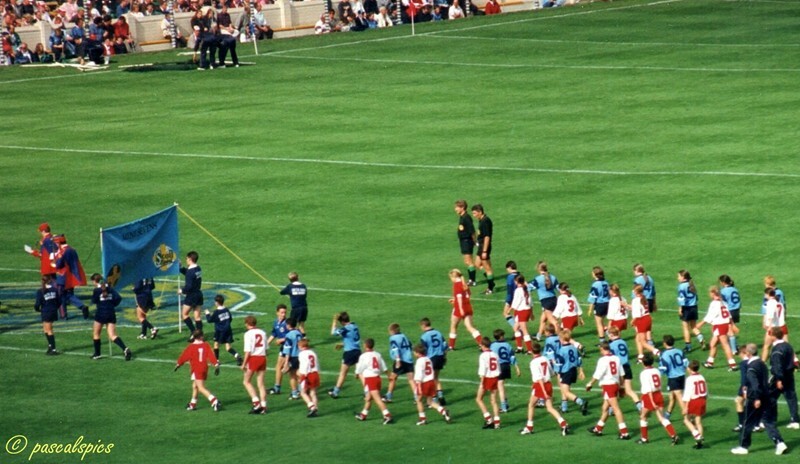 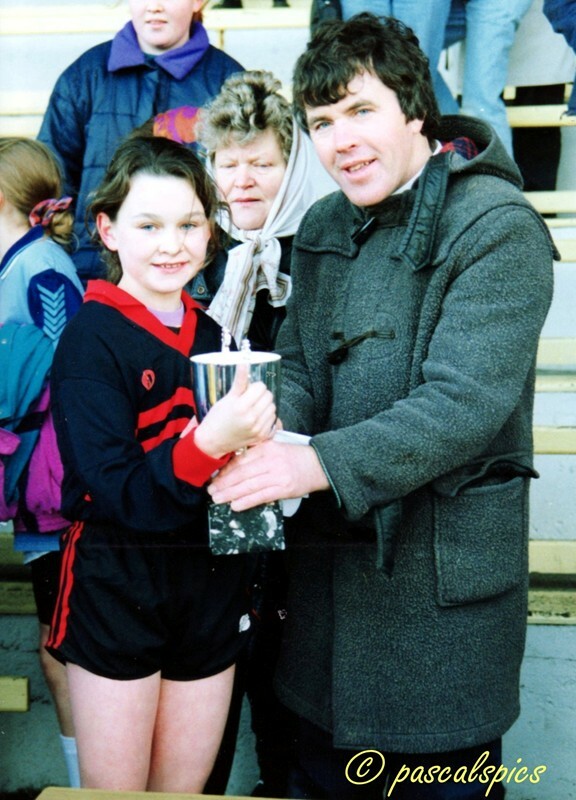 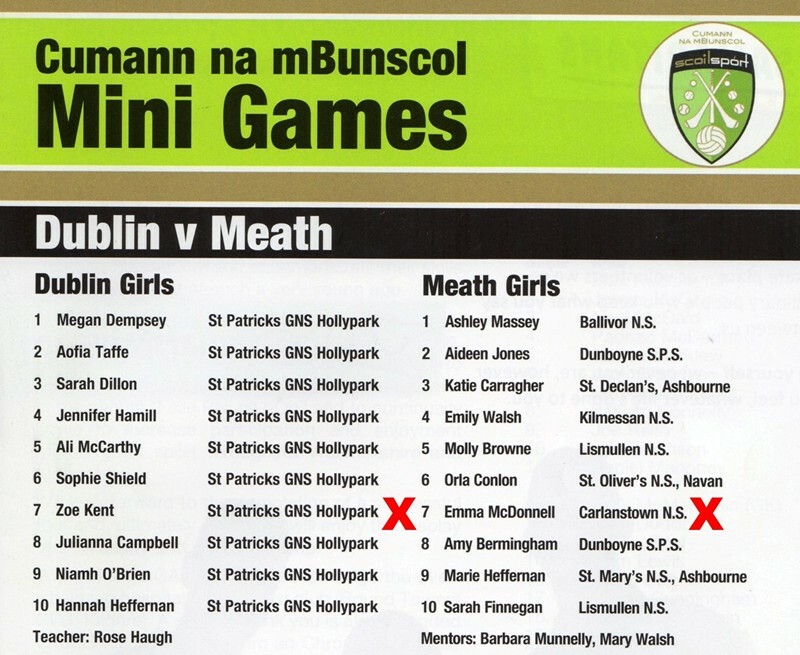 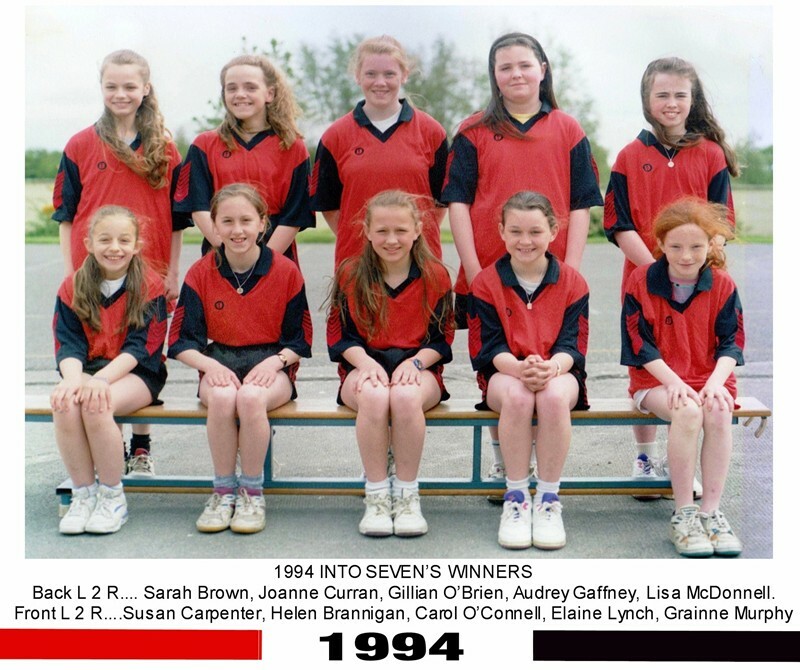 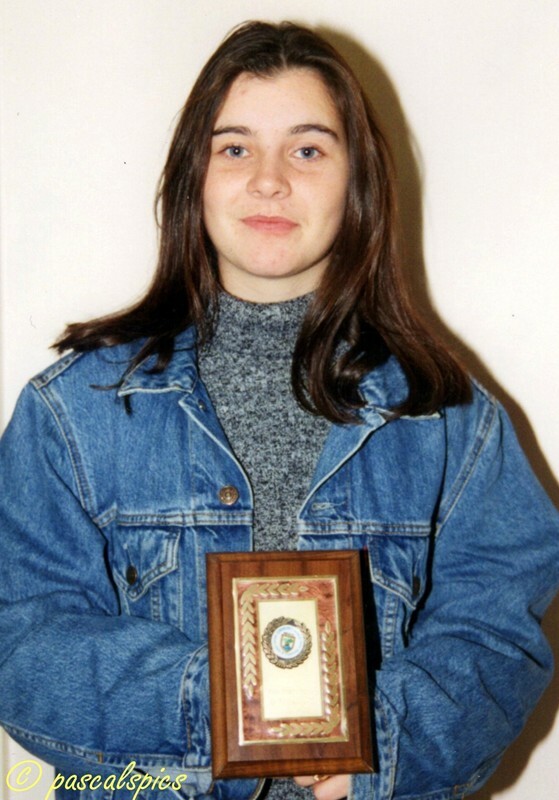 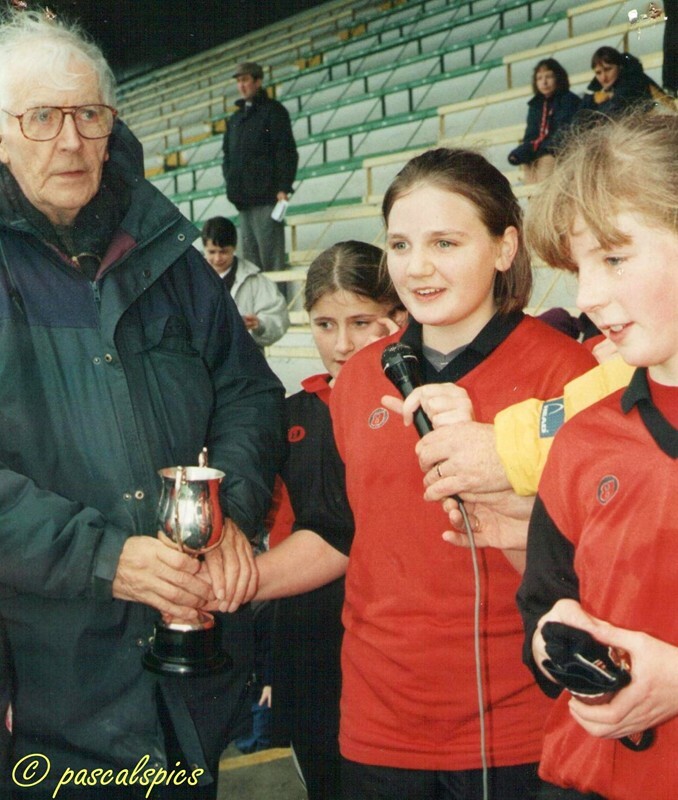 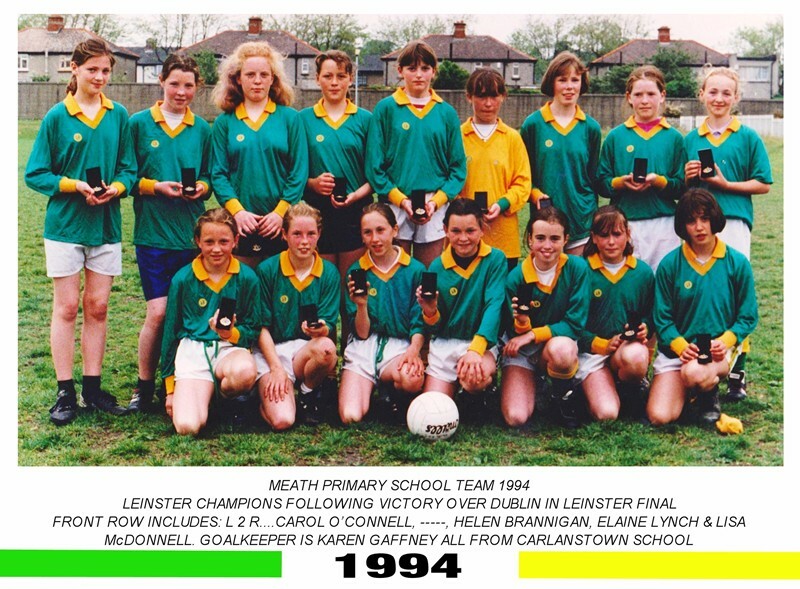 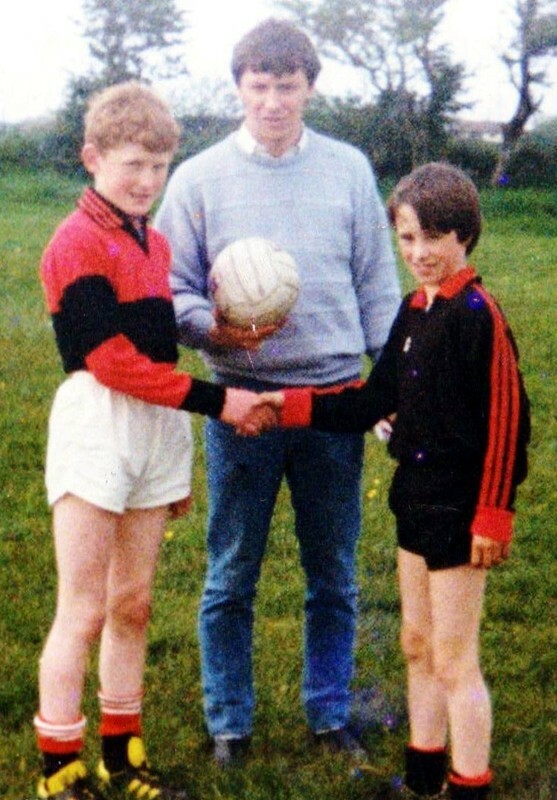 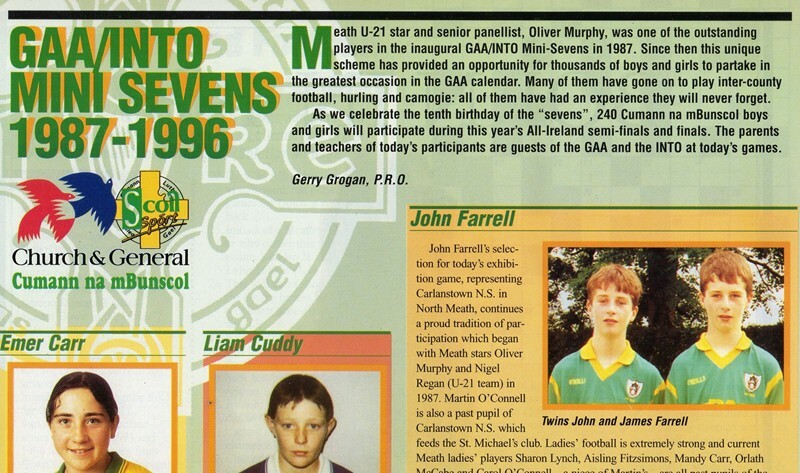 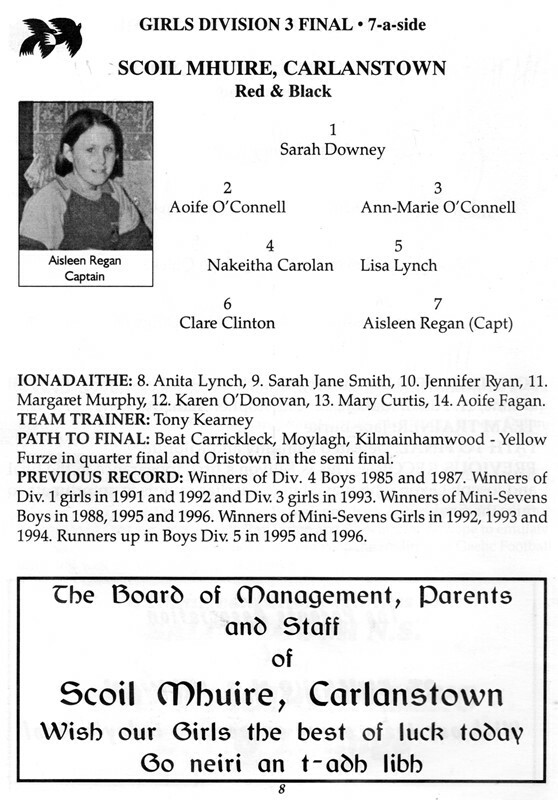 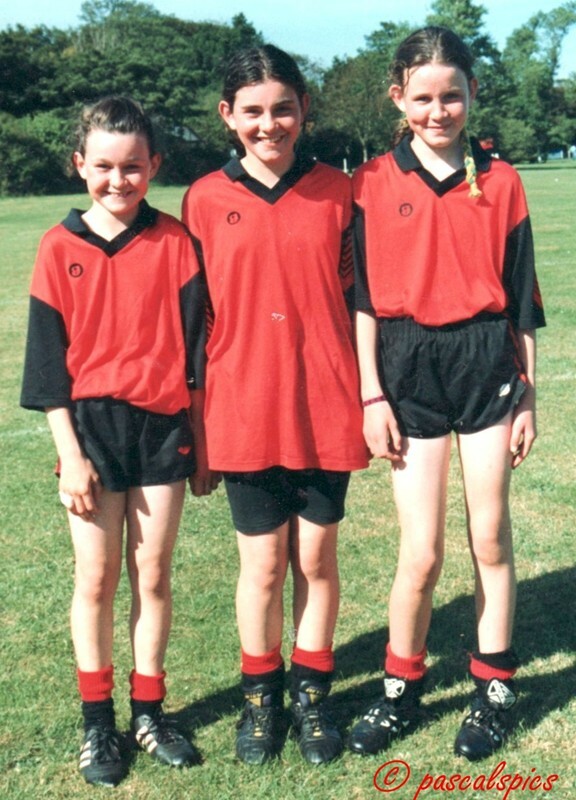 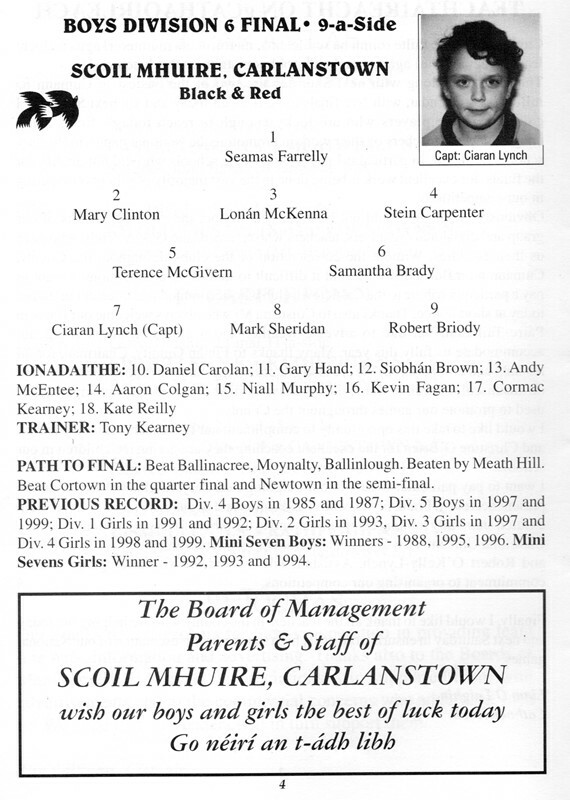 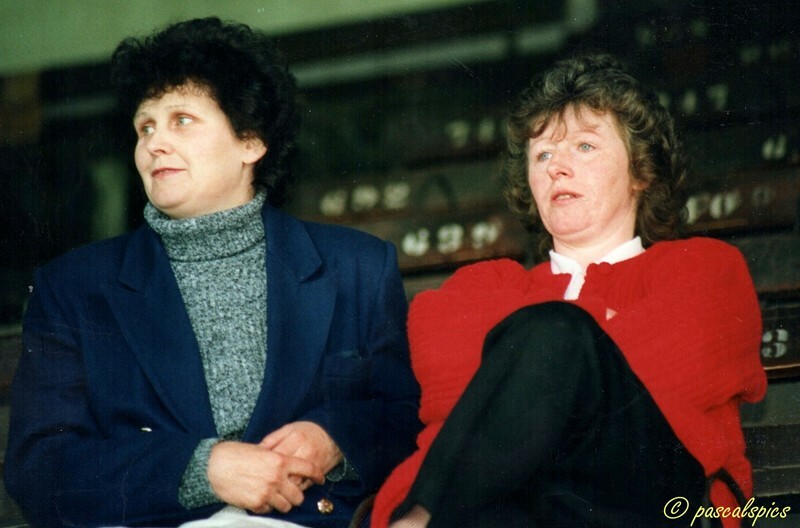 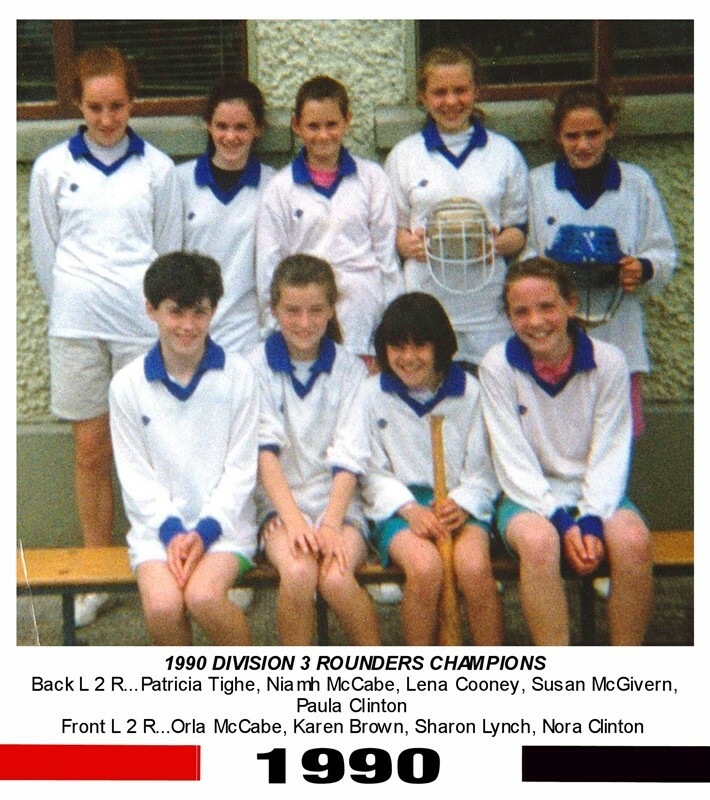 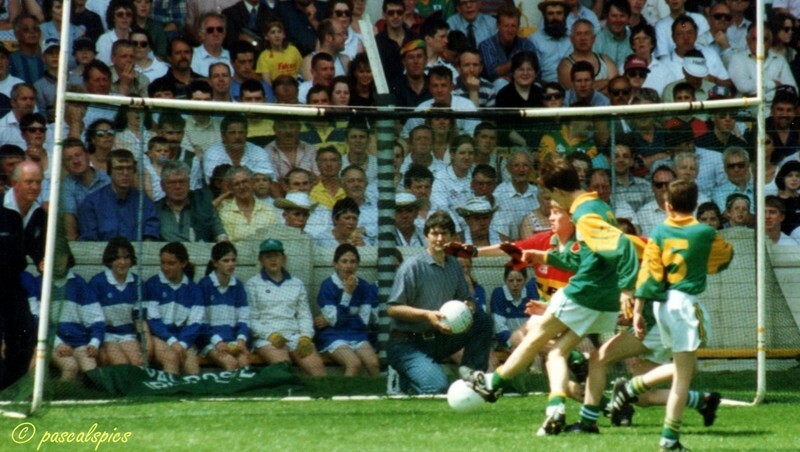 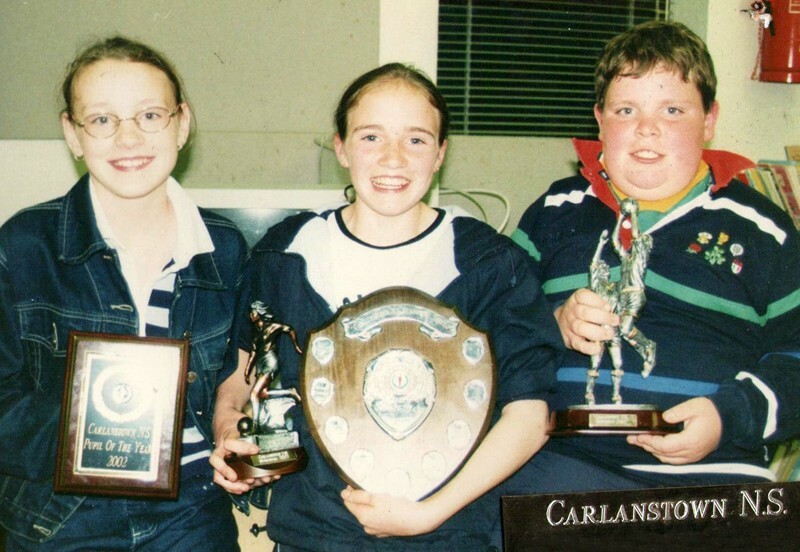 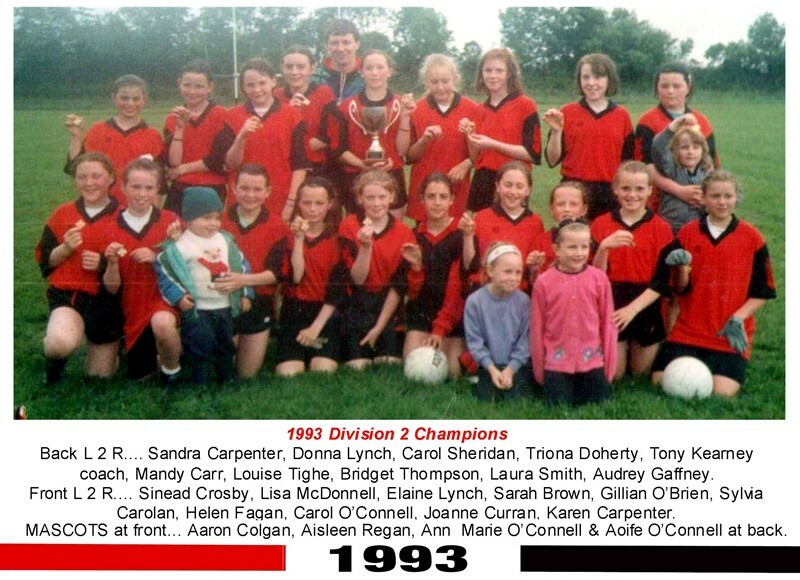 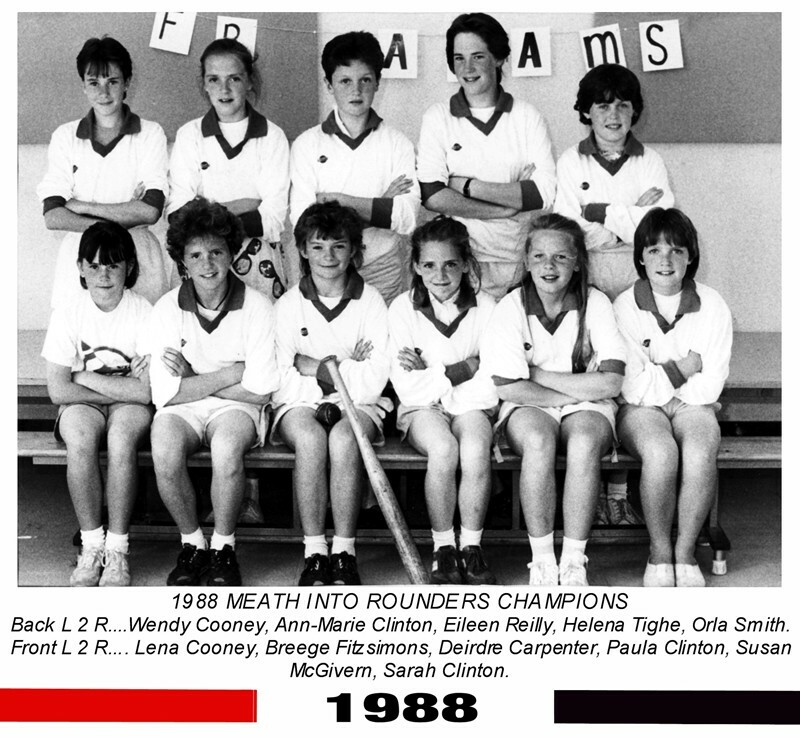 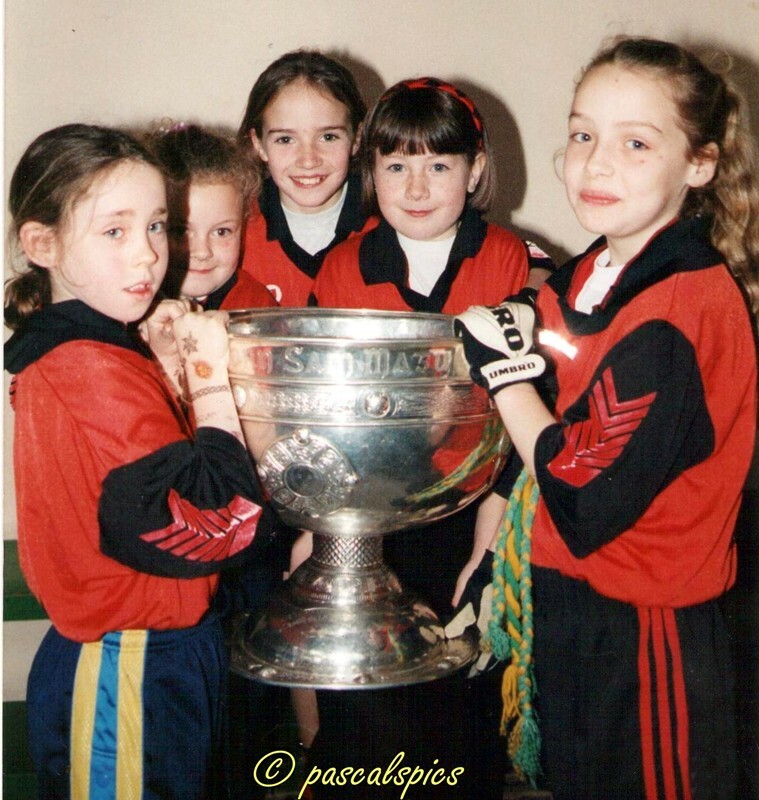 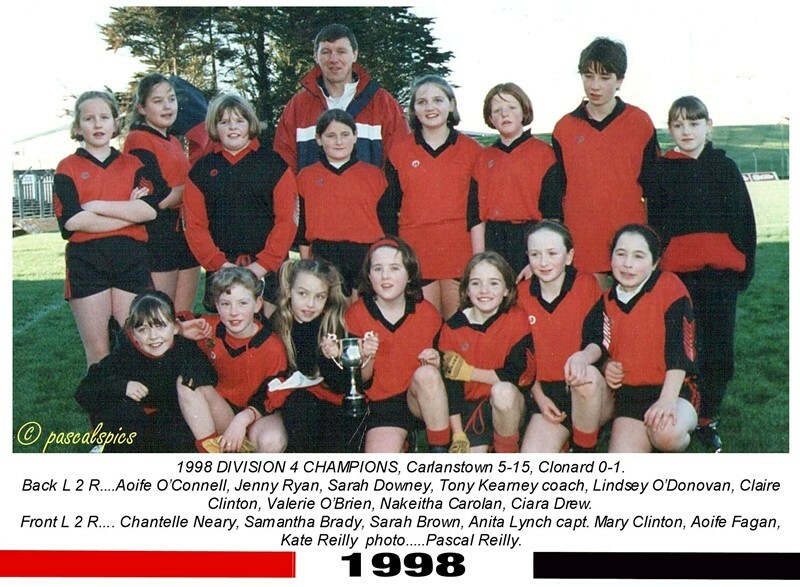 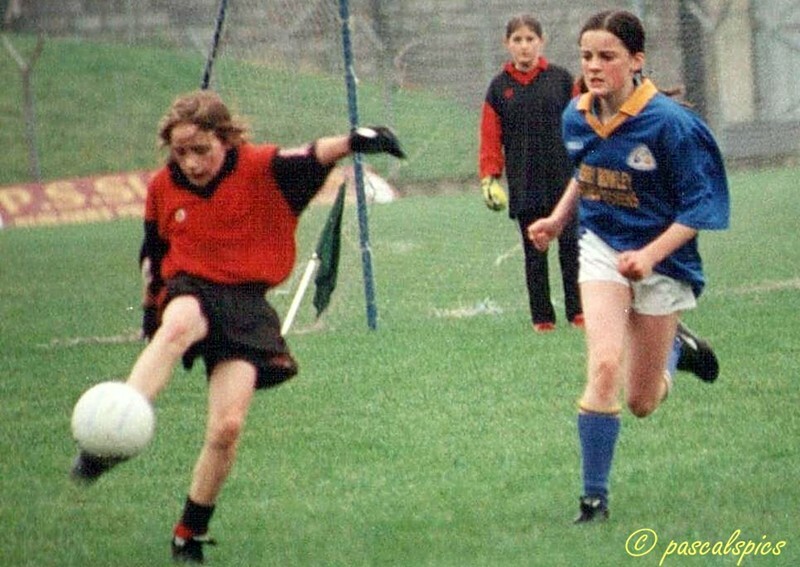 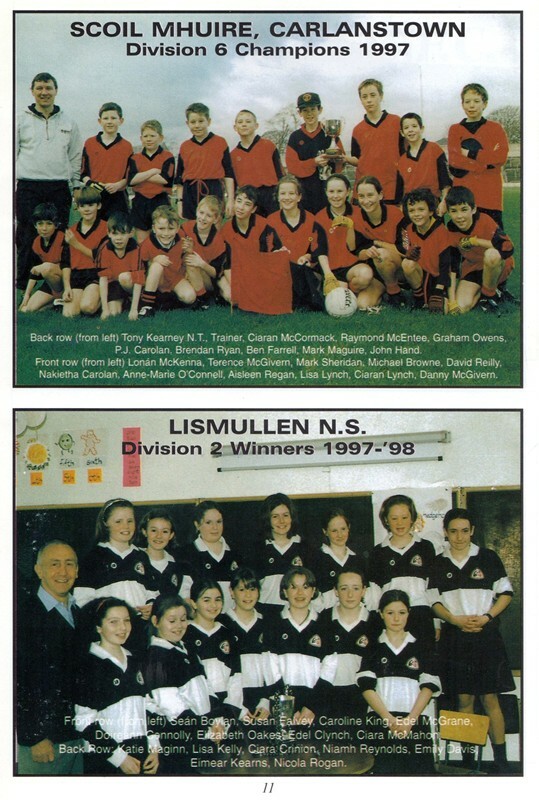 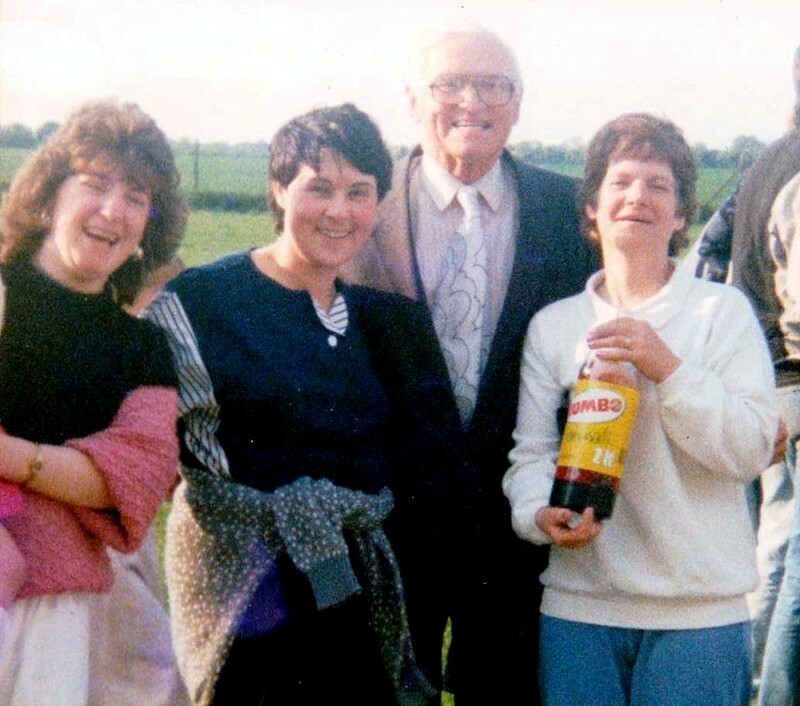 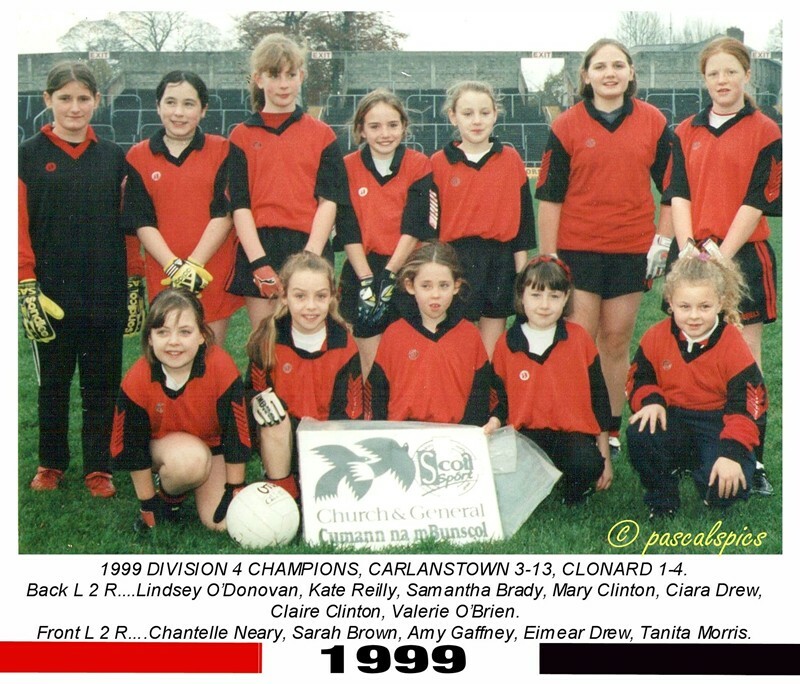 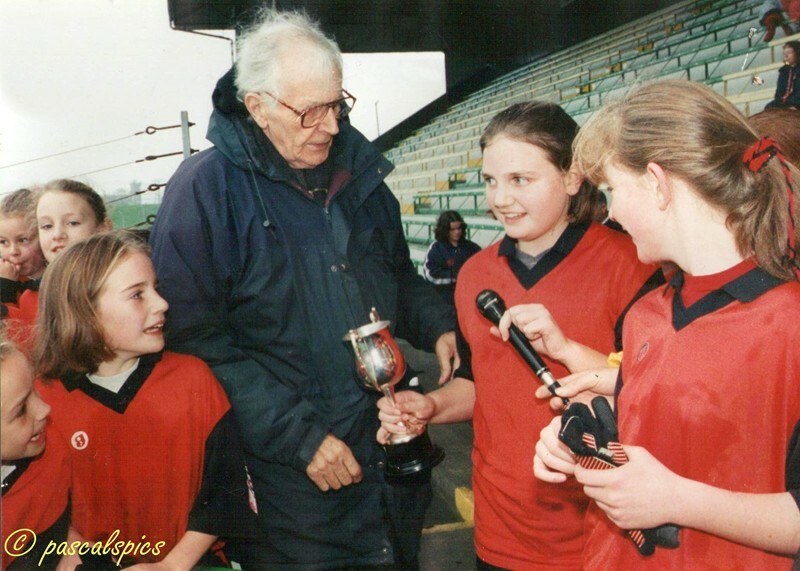 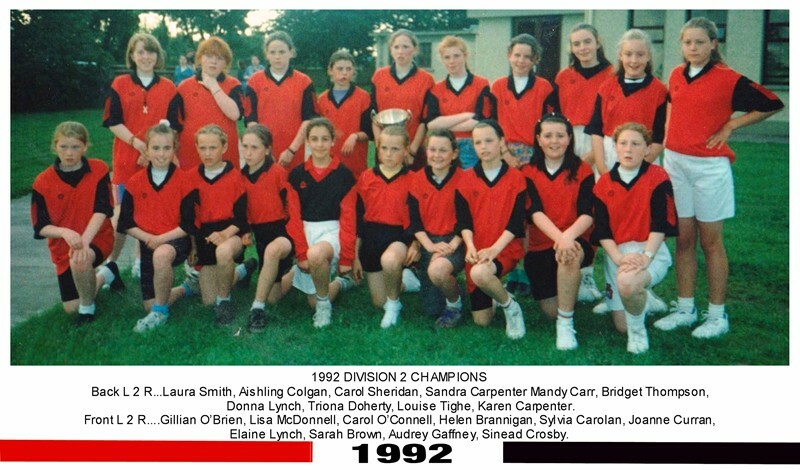 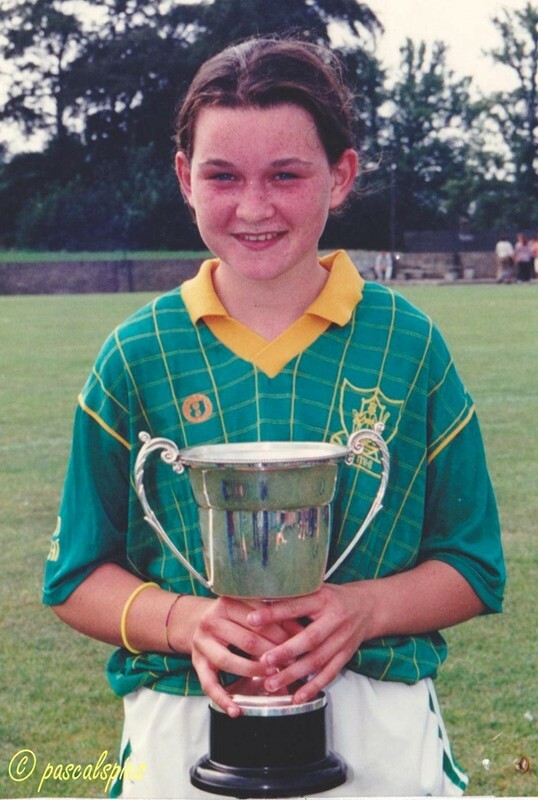 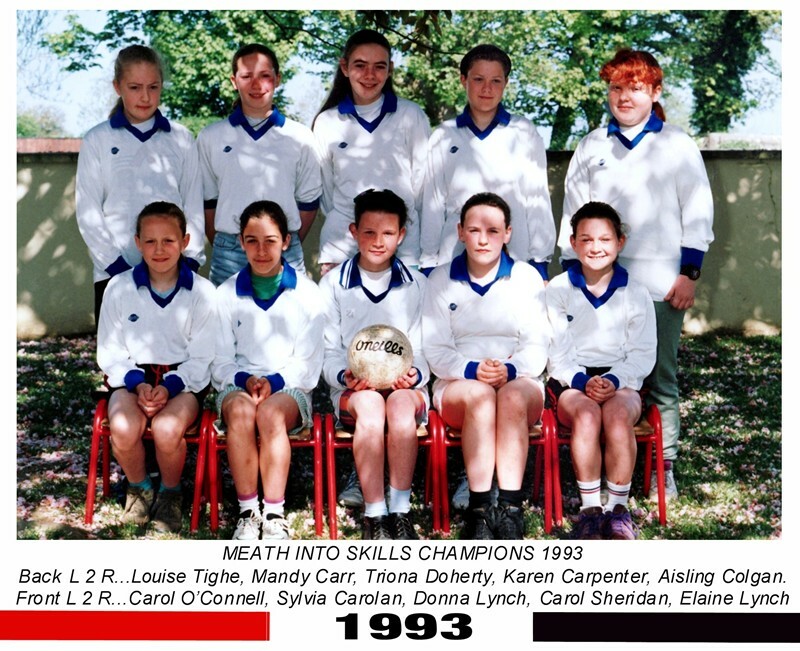 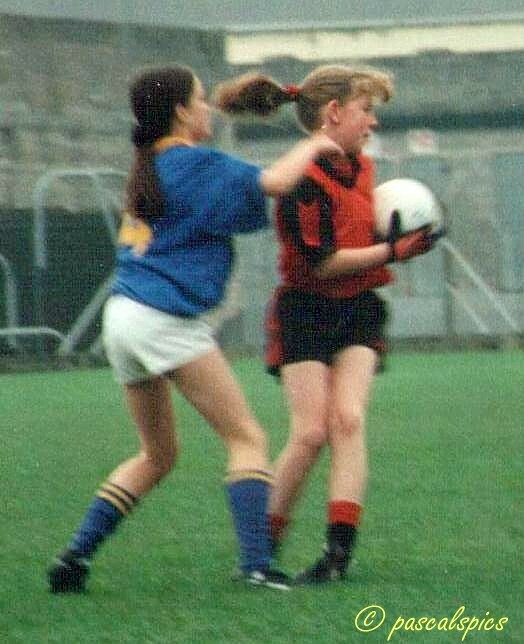 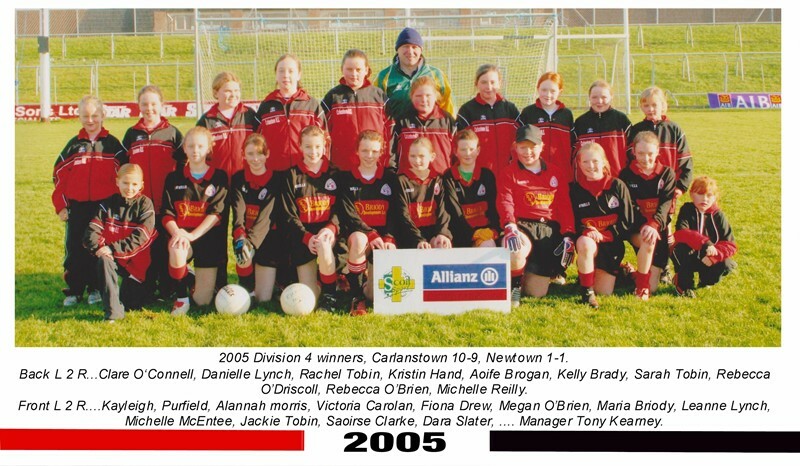 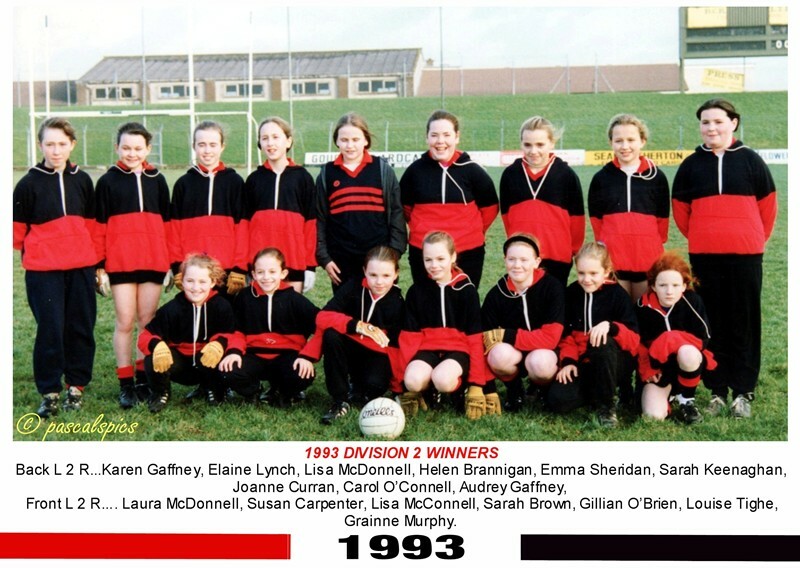 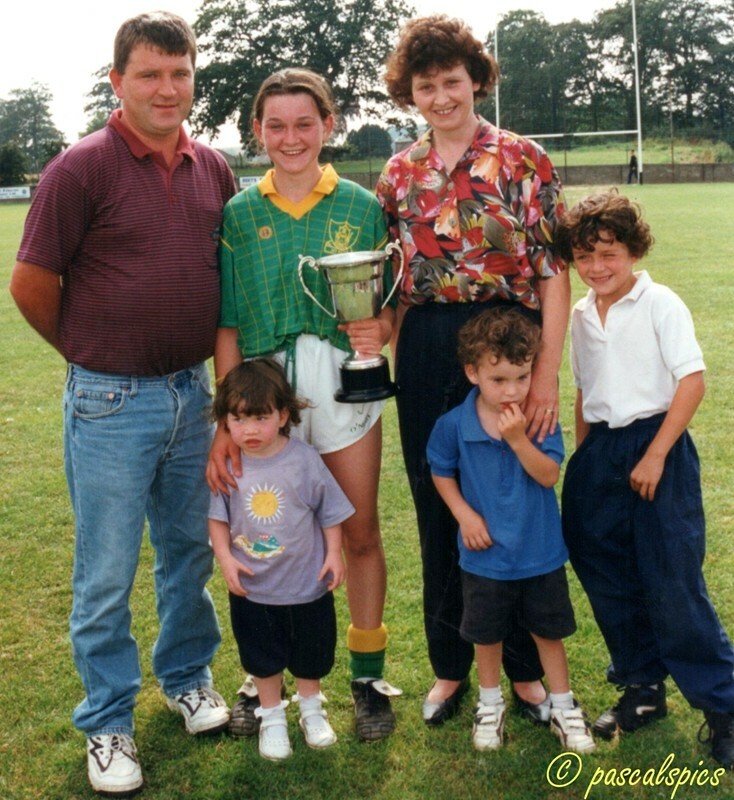 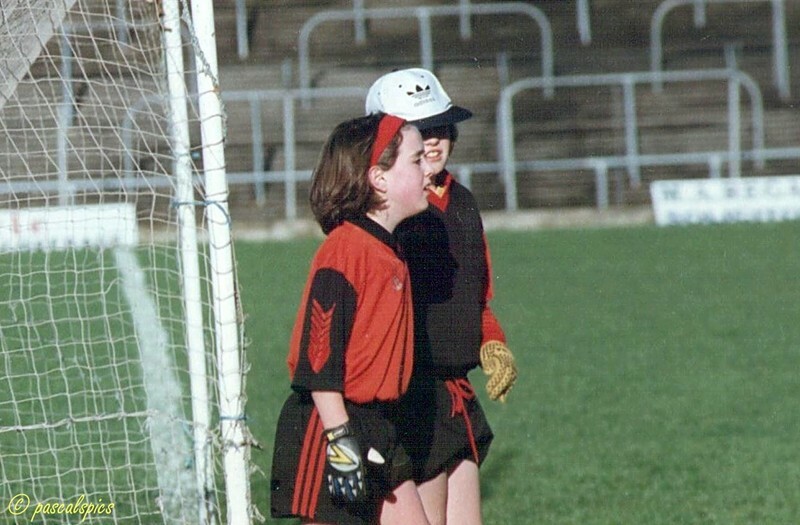 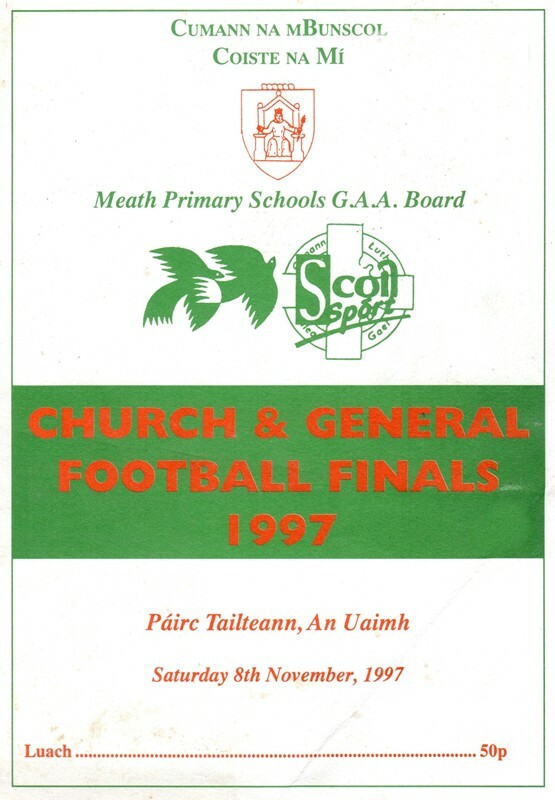 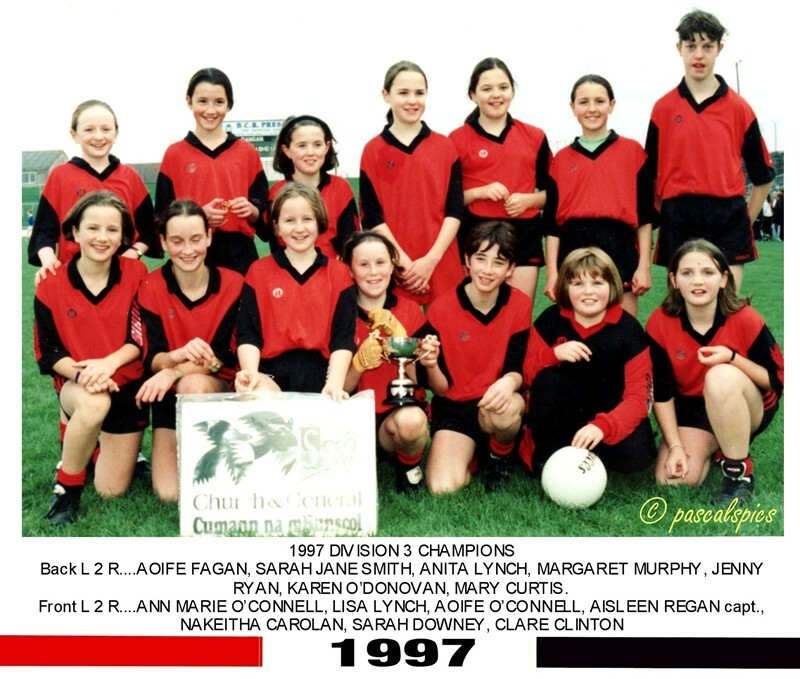 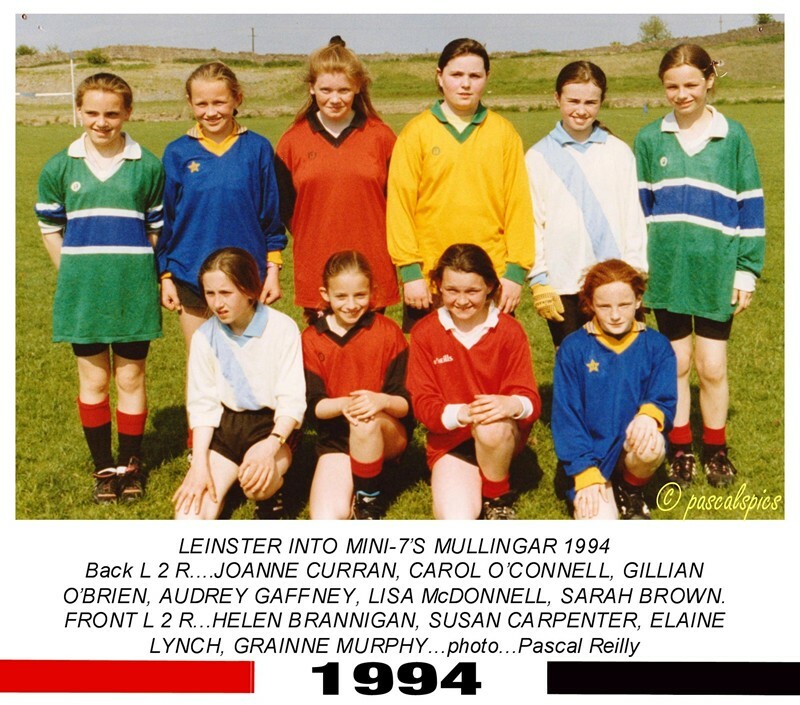 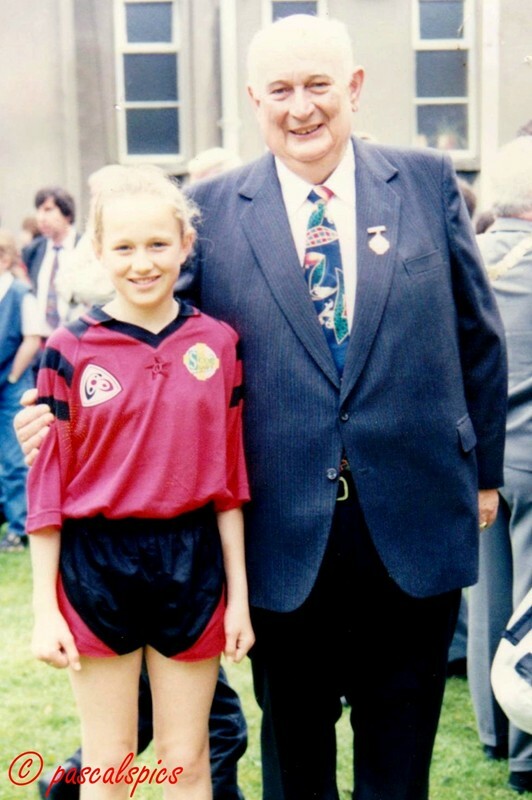 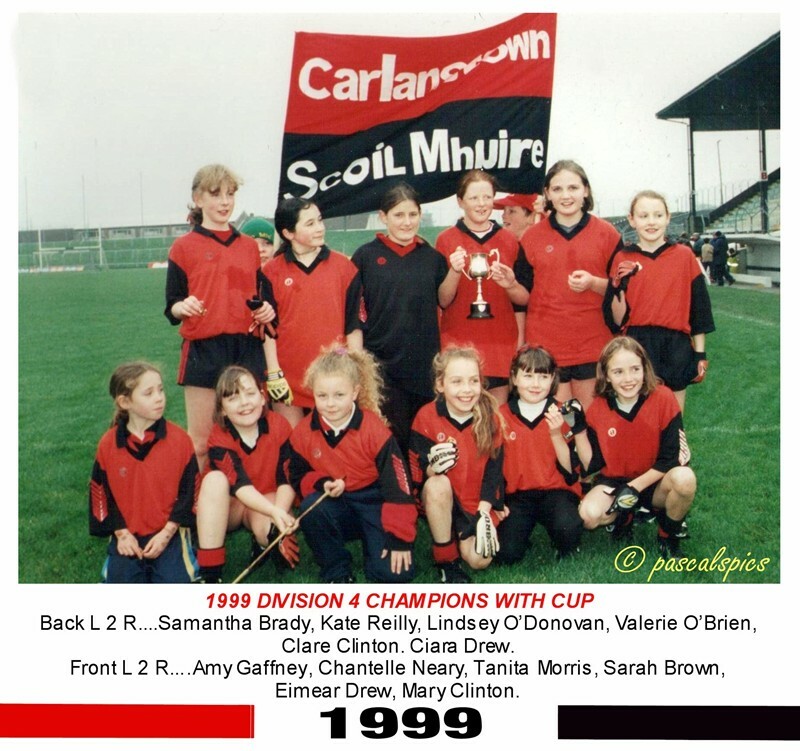 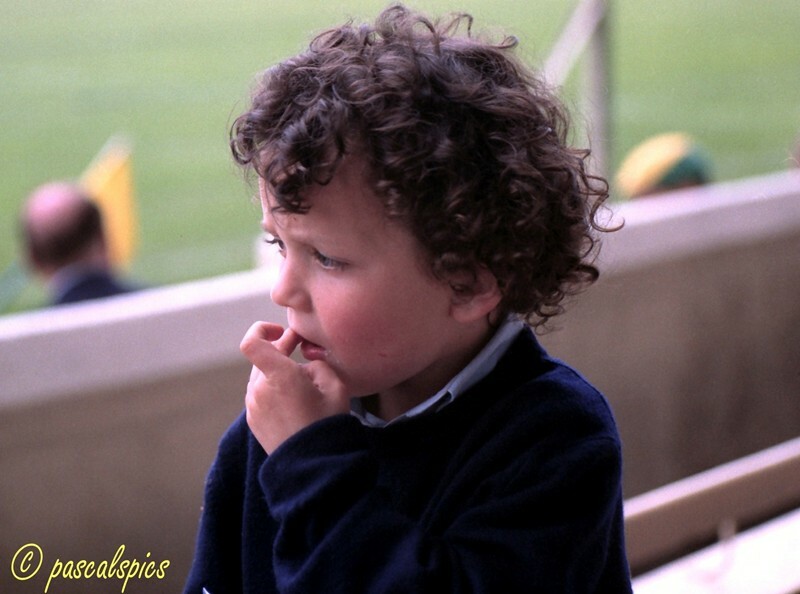 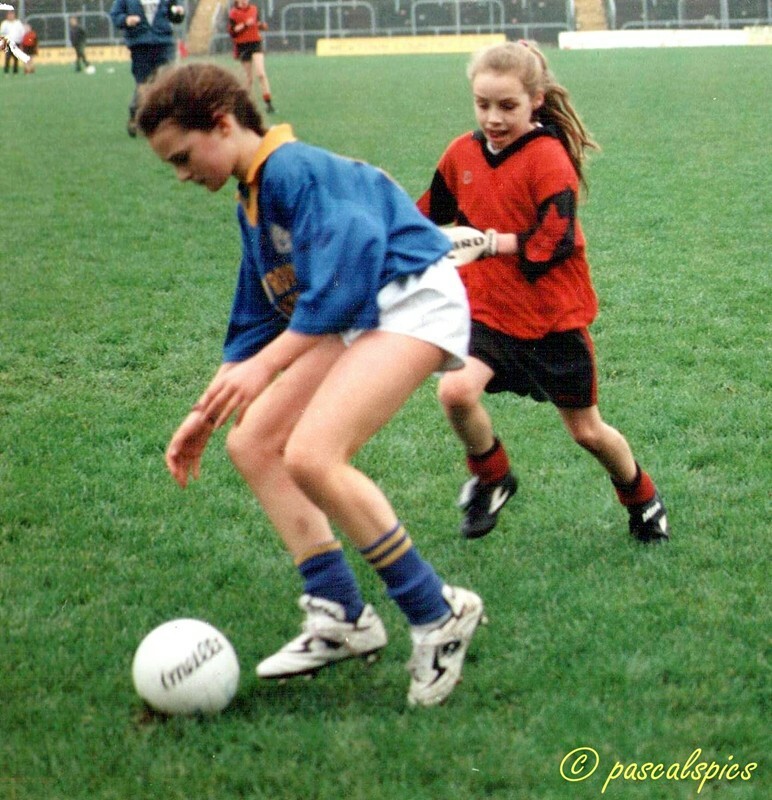 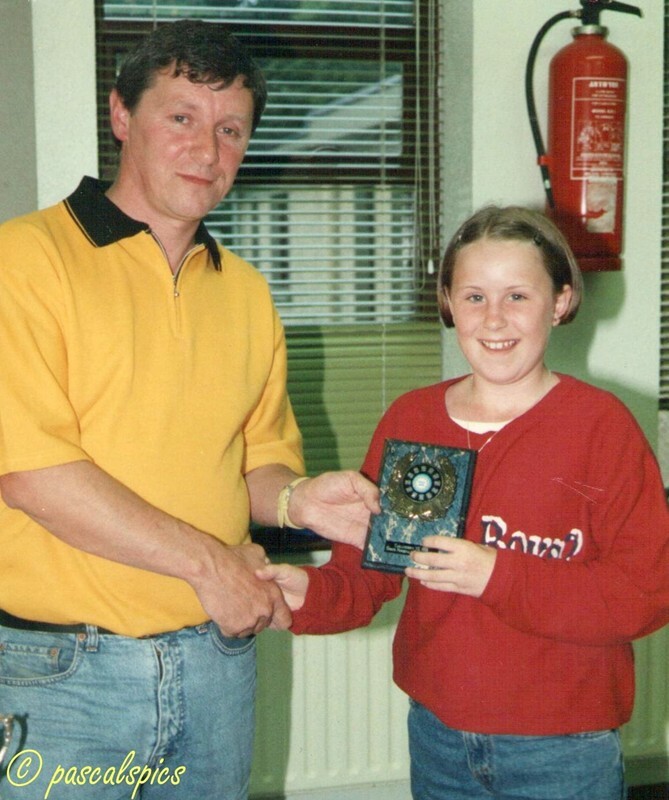 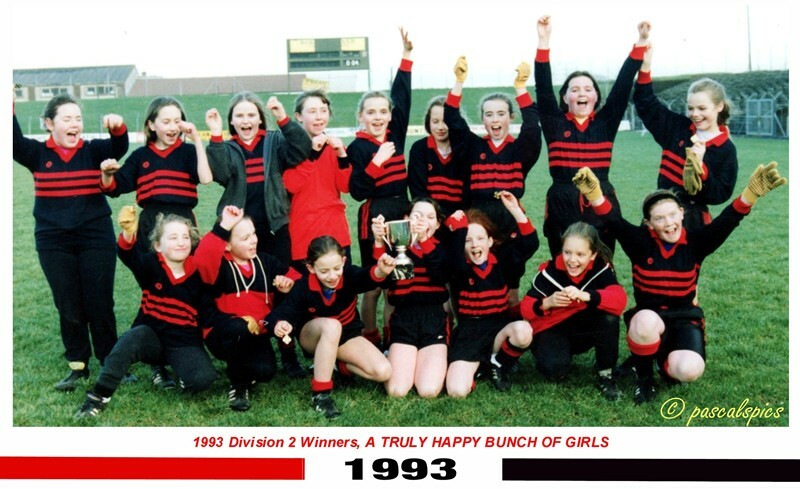 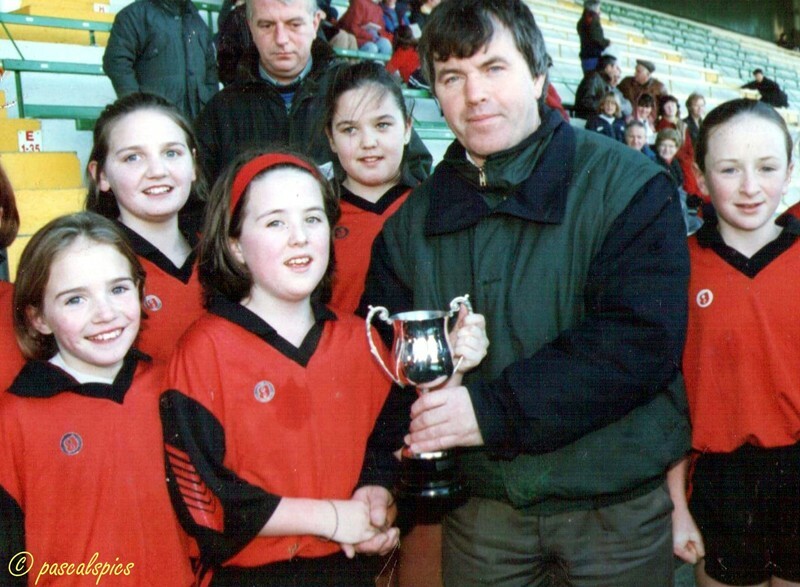 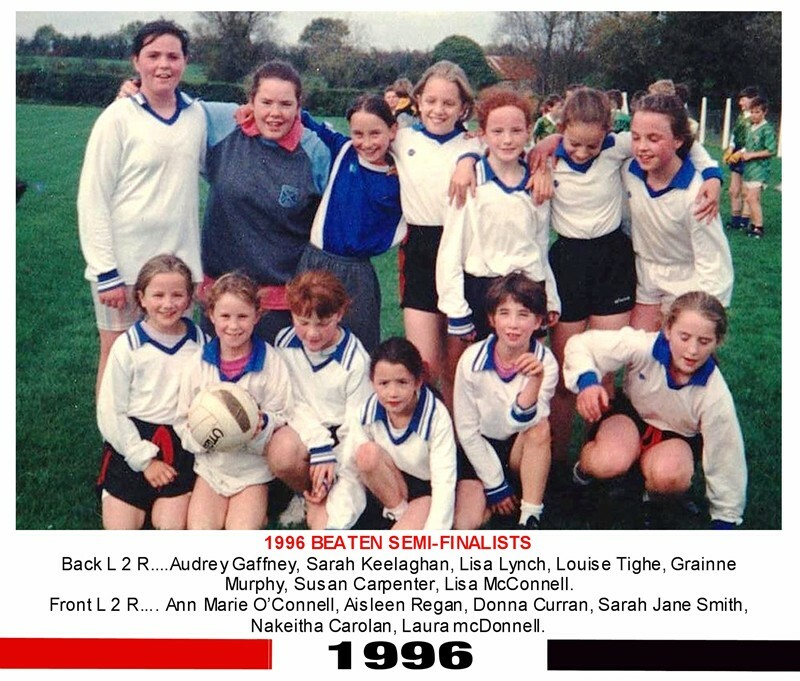 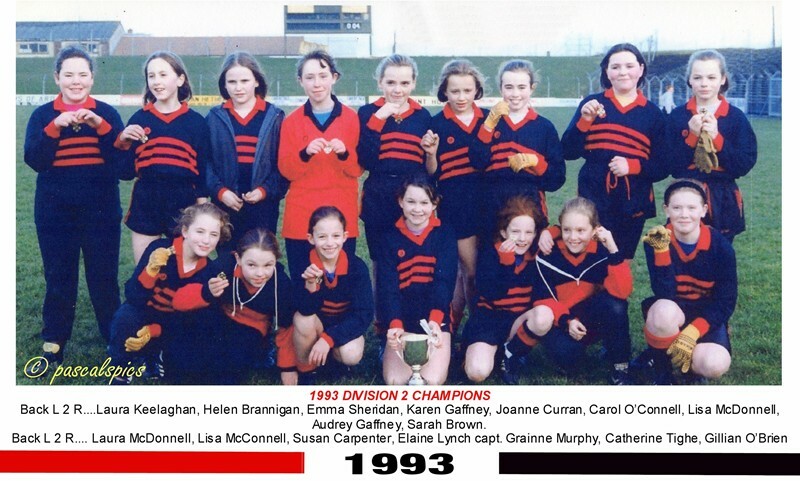 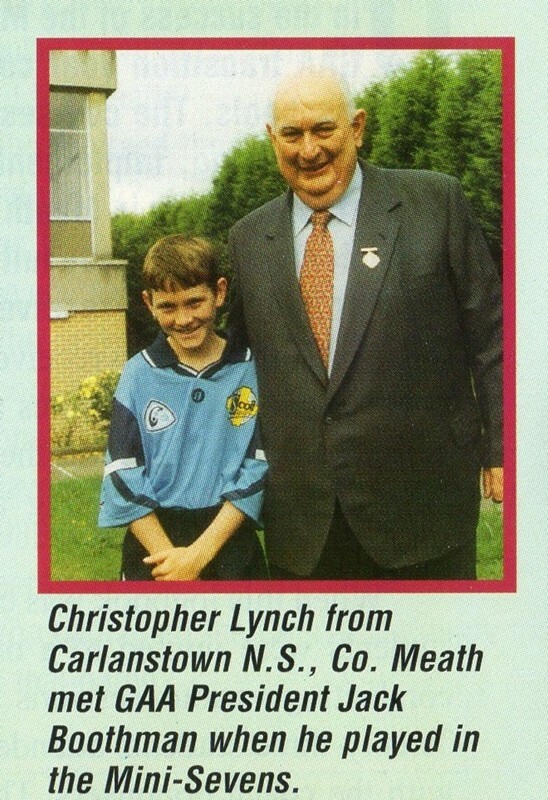 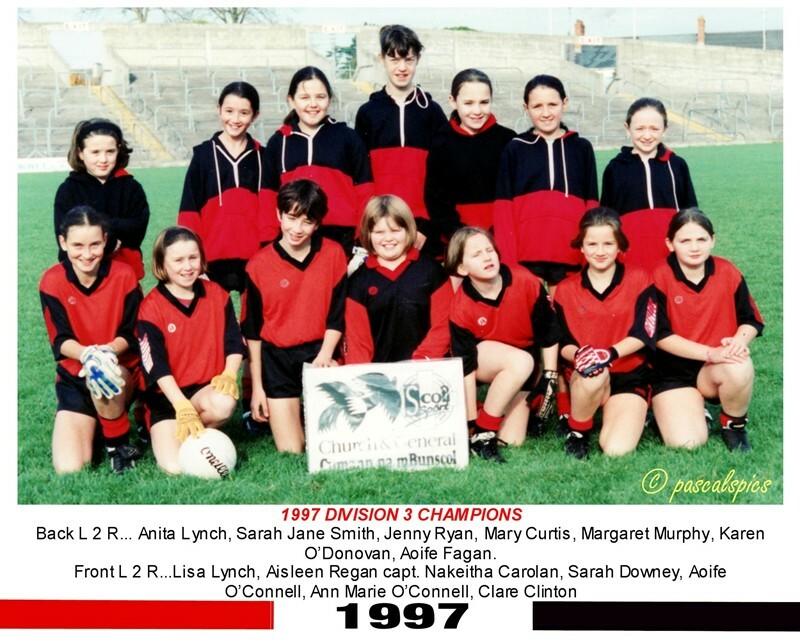 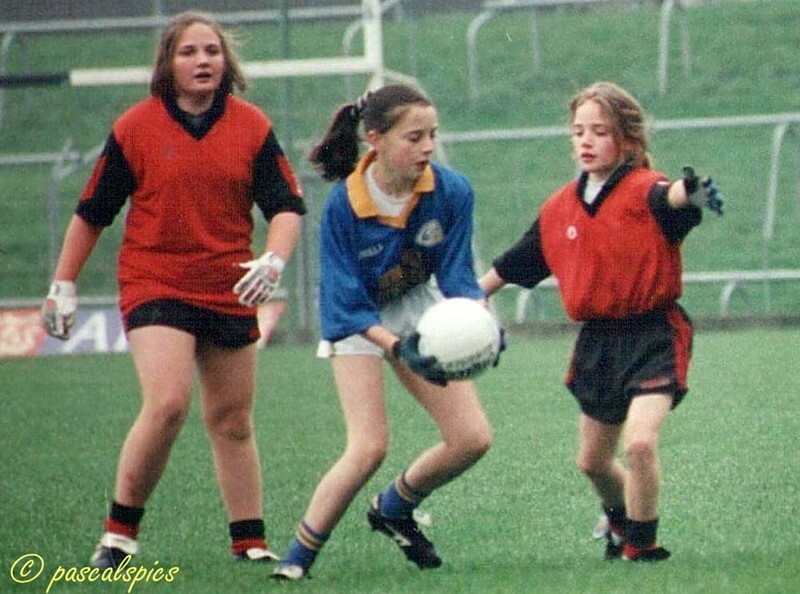 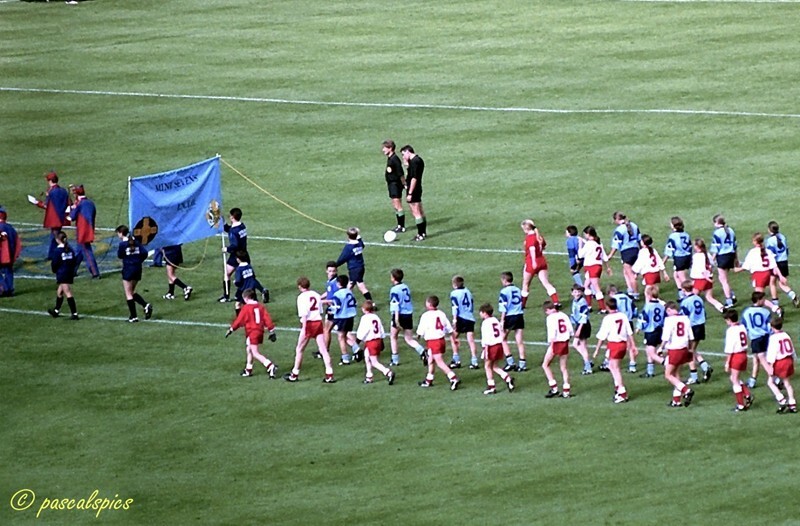 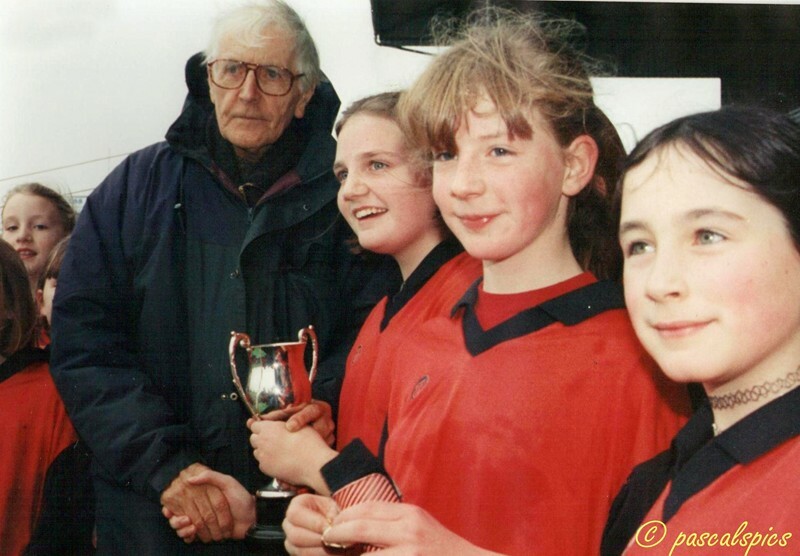 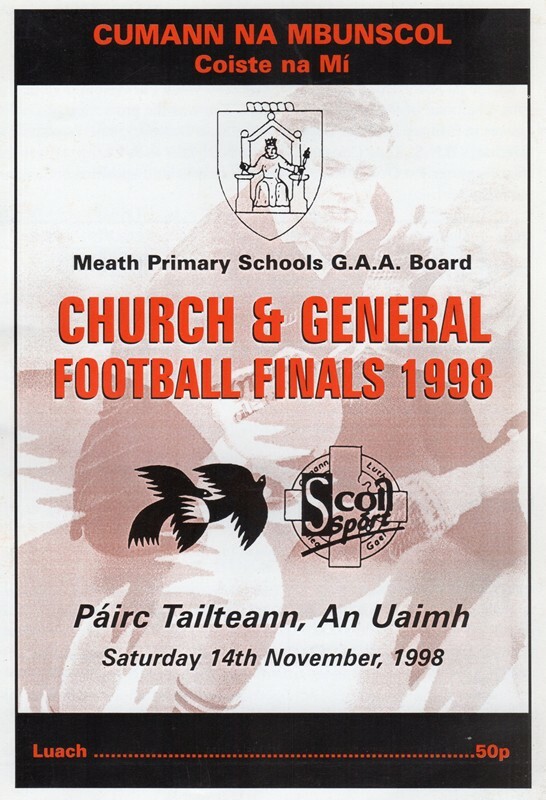 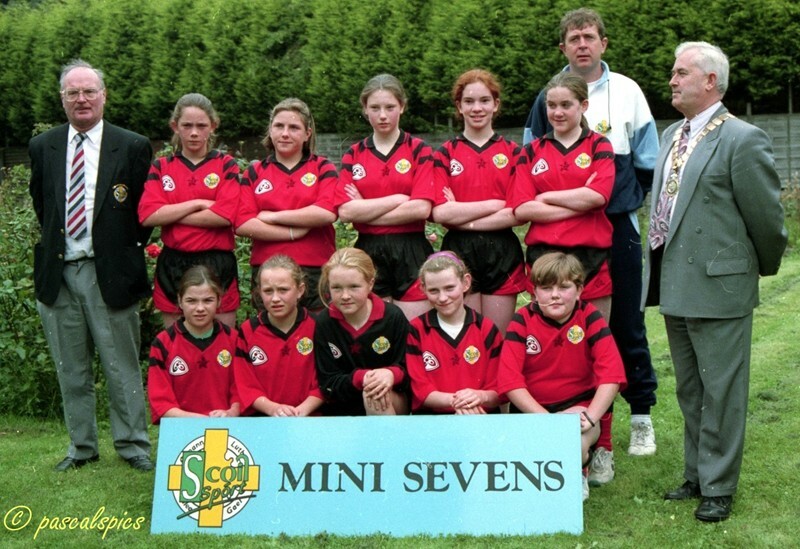 The Cumann na mBunscol competitions began in county Meath in 1981 however the girls team competition was not introduced until 10 years later in 1991 and up until that year the teams could be made up of both boys and girls. 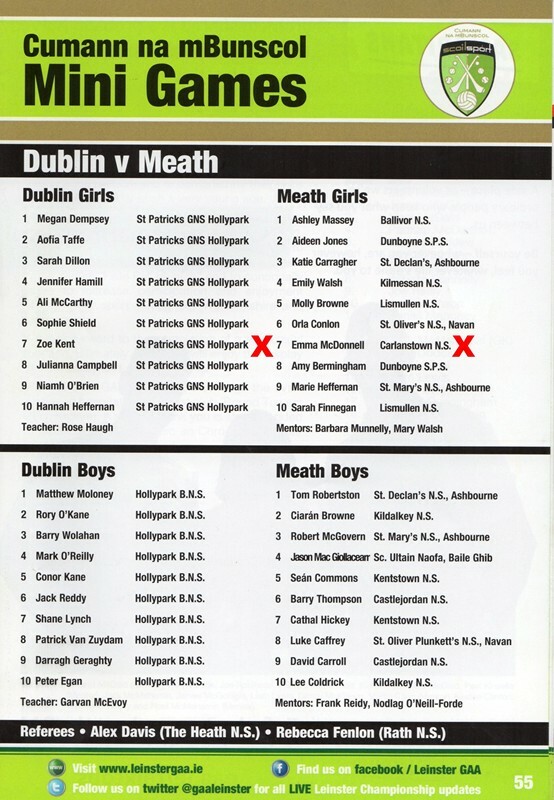 On March 6th 2015, on behalf of St. Michaels GFC, Sean Gaffney jnr. 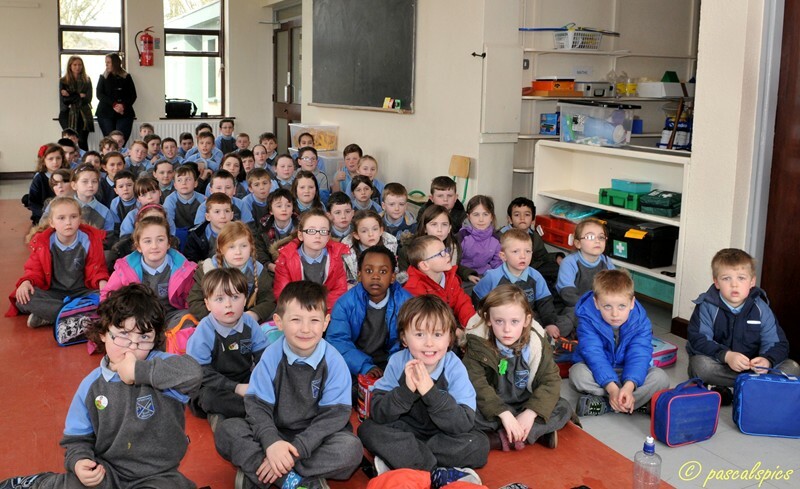 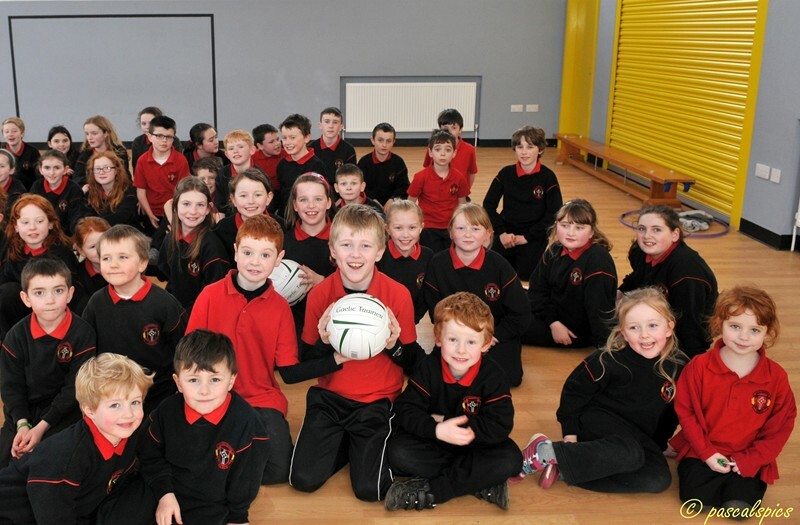 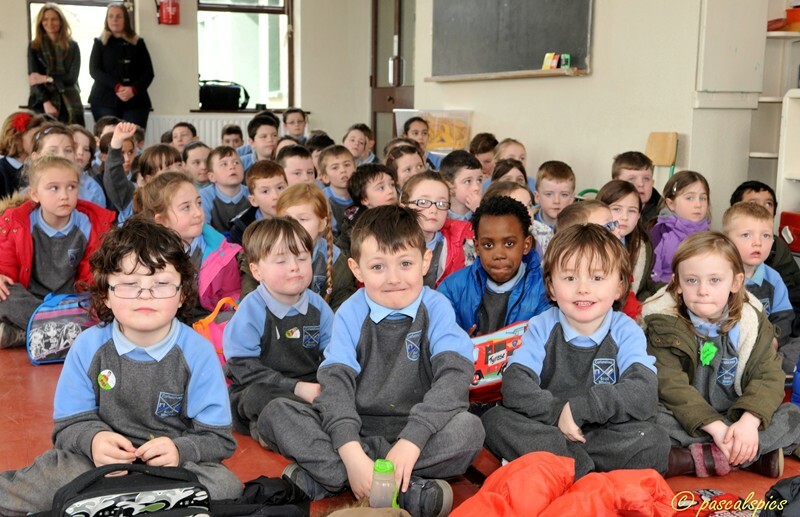 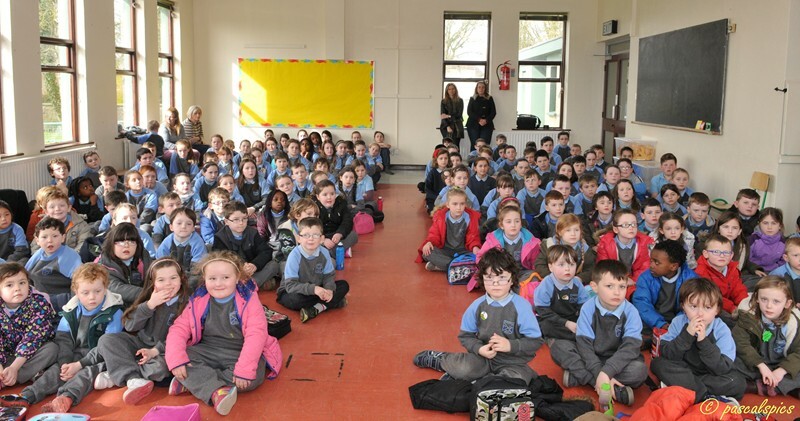 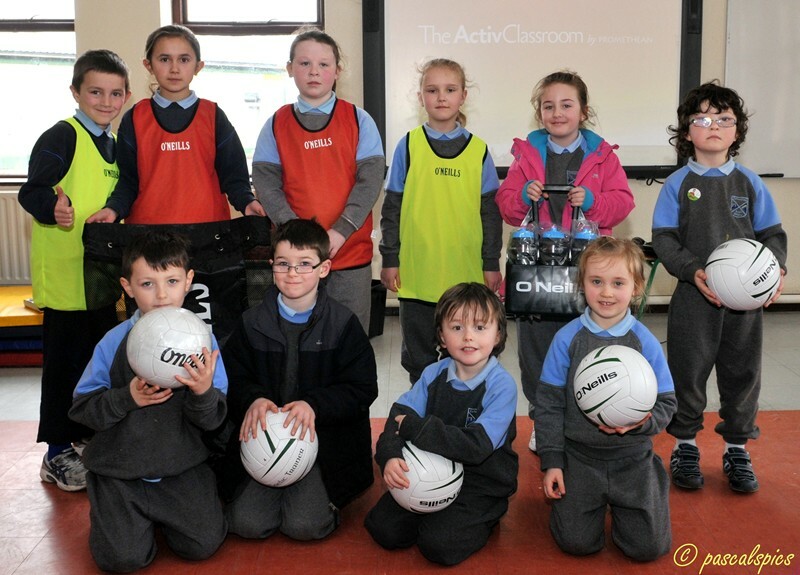 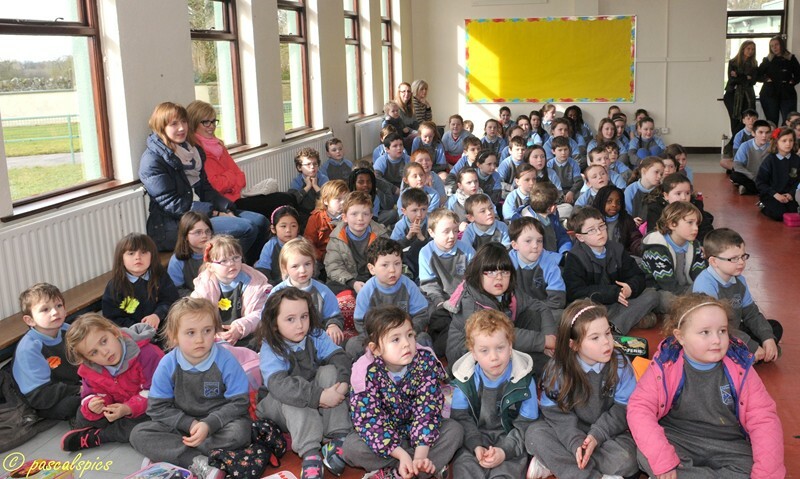 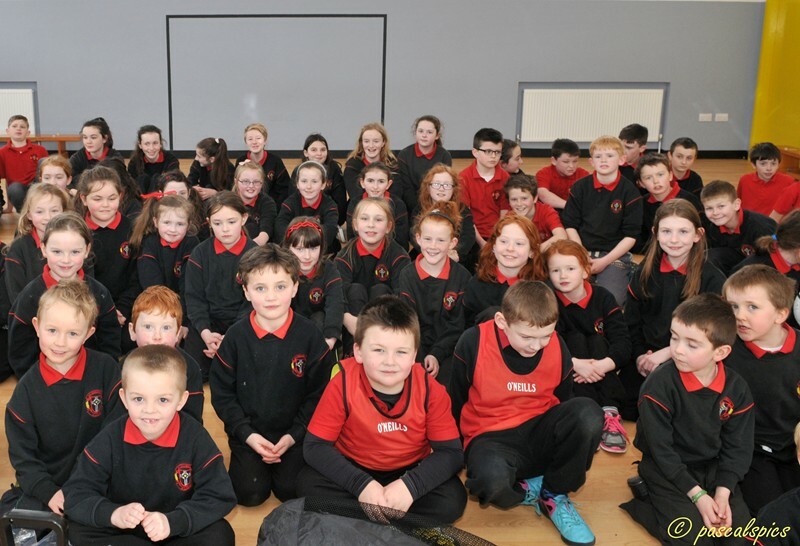 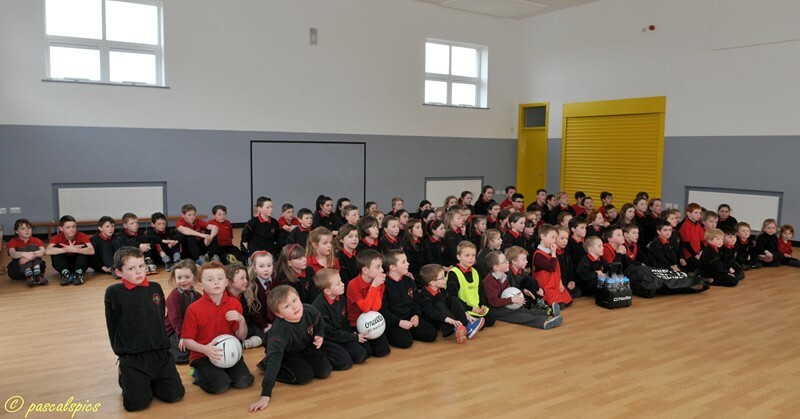 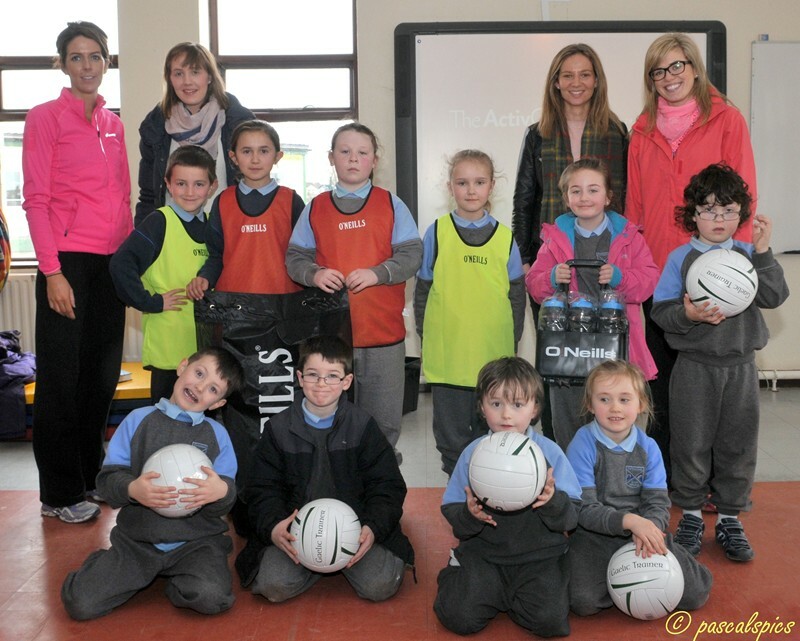 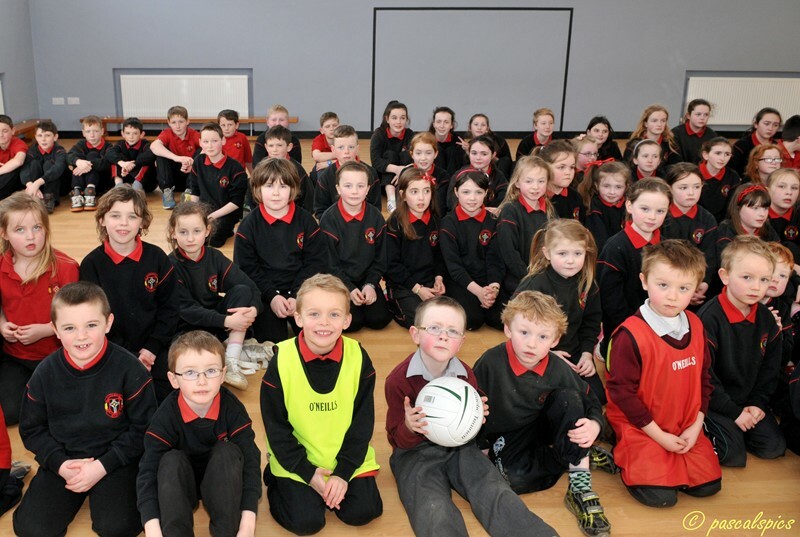 and Thomas McQuaid presented €250 worth of GAA gear which included footballs, bibs, water bottles etc to both Kilbeg and Carlanstown national schools. 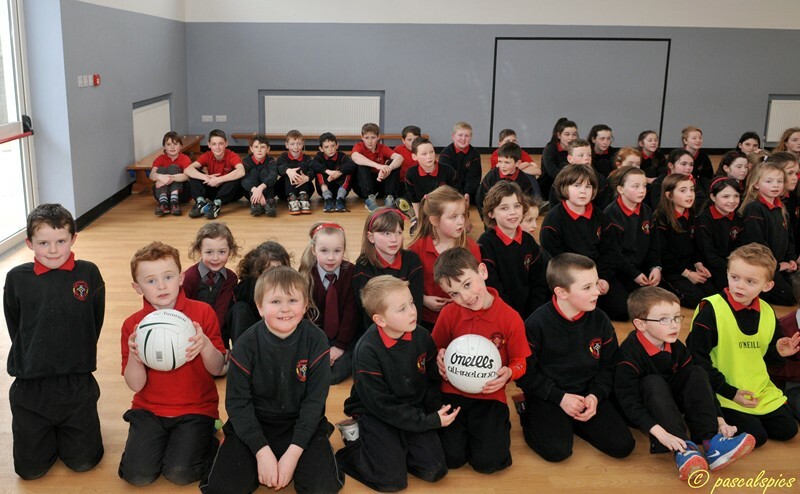 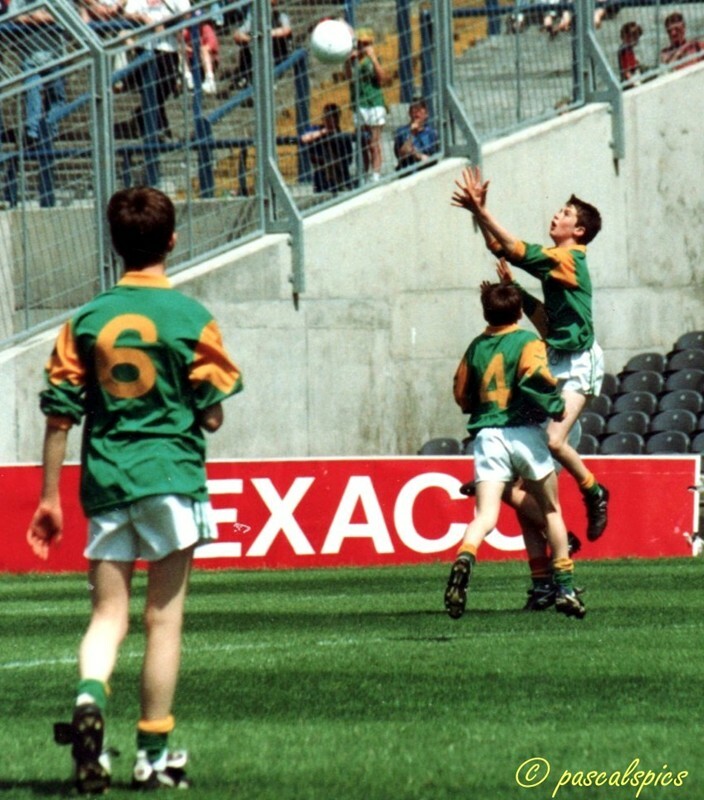 This gesture by the club was part of the clubs ongoing policy of promoting Gaelic football in our national schools.